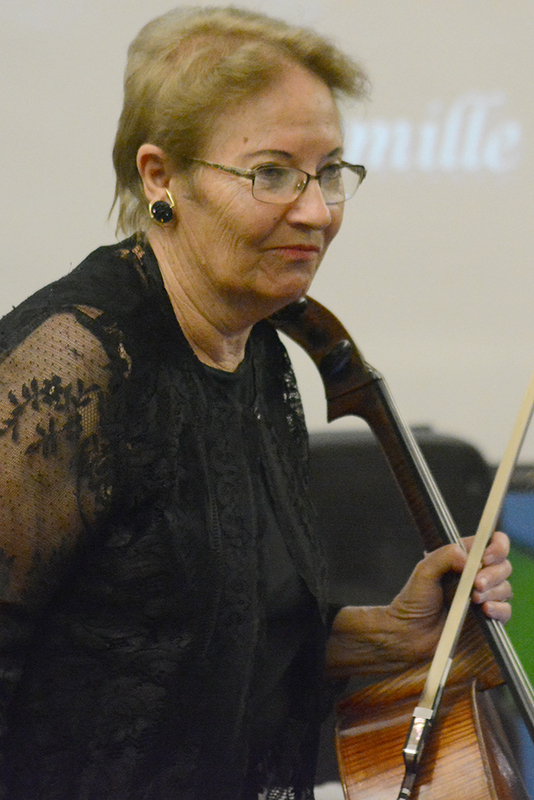 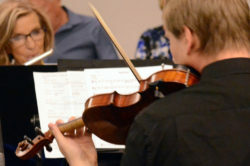 Home Tags Articles tagged with "Music"
Maricopa Music Circle performed its spring concert, “Masterworks: Music for Spring,” Saturday at Maricopa Agricultural Center. 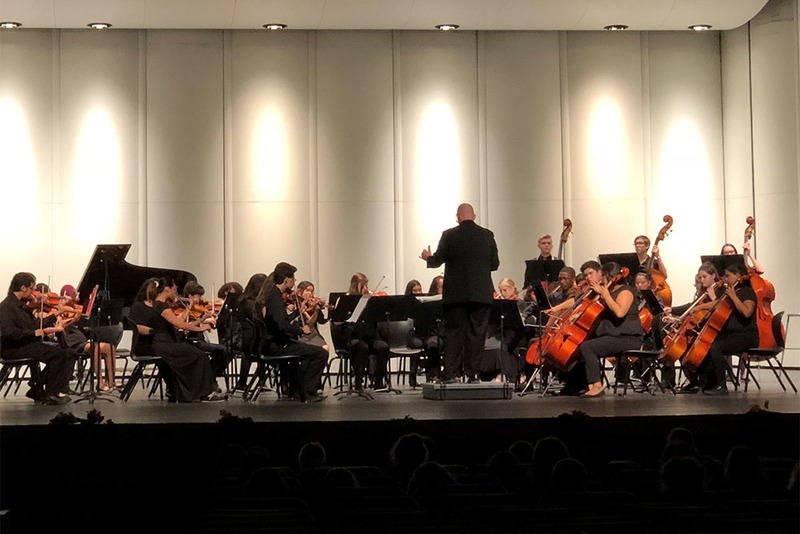 The 10-member chamber orchestra played Claude Debussy, Fritz Kreisler, Camille Saint-Saens, George Gershwin, Mozart, Modest Mussorgsky and more. 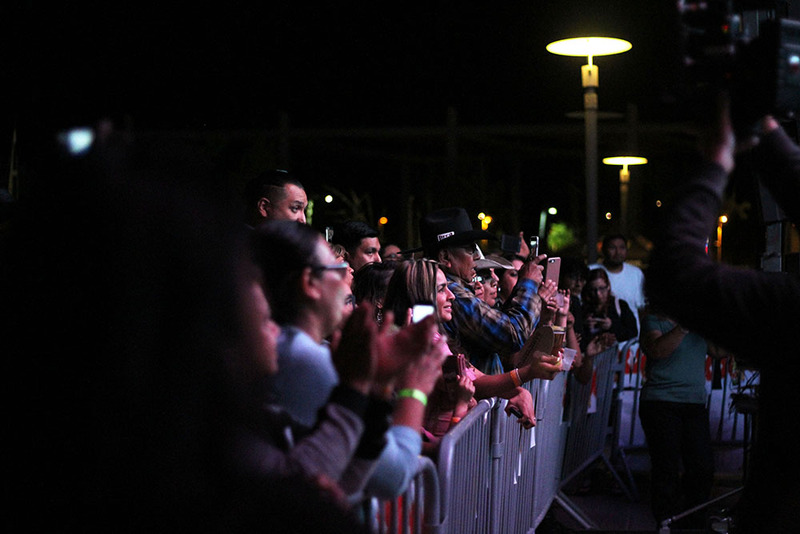 When: May 11, doors open 7 p.m., showtime 8 p.m.
Dwight Yoakam will bring his chart-topping music to Harrah’s Ak-Chin Casino May 11 at 8 pm. 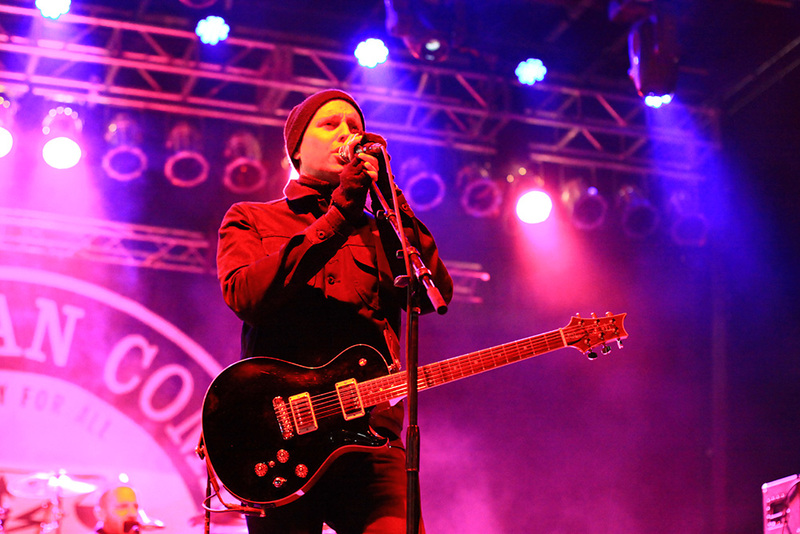 Tickets go on-sale to the public on Friday. 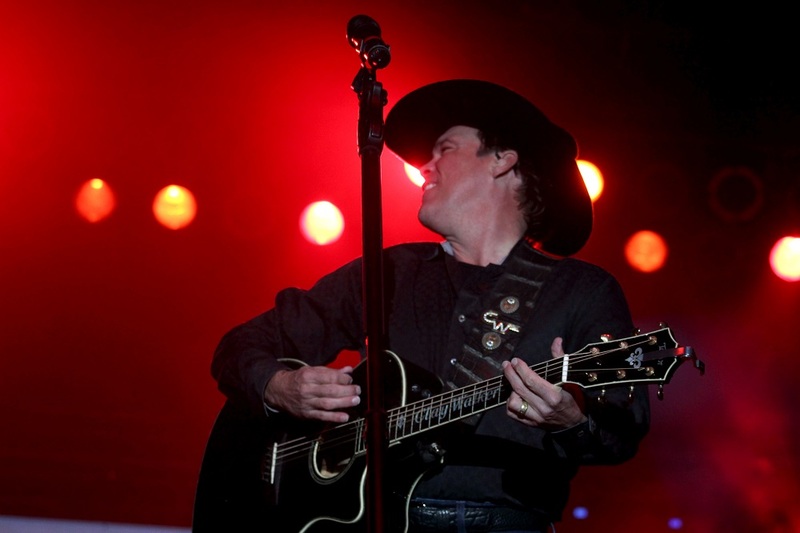 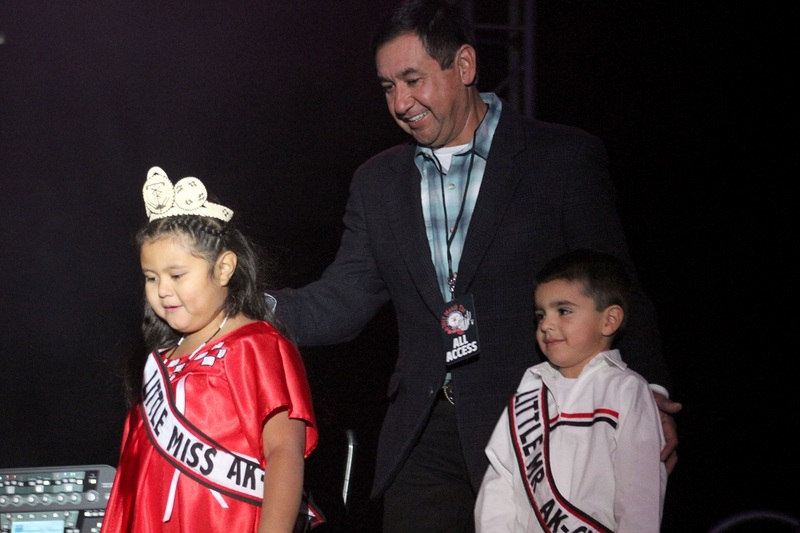 Yoakam previously performed an outdoor concert at Ak-Chin Circle in 2015. 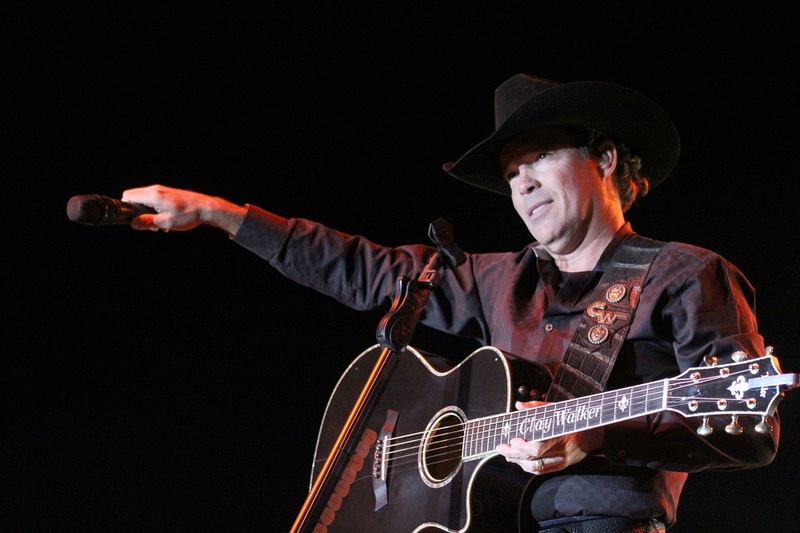 In addition to his musical career, Yoakam has appeared in more than 40 feature films including Sling Blade and Panic Room. In 2016, he recurred in David E. Kelley’s Amazon series “Goliath.” Recently, he appeared in director Steven Soderbergh’s film Logan Lucky with Channing Tatum and Daniel Craig. 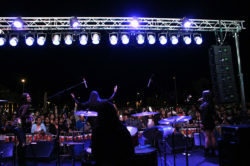 The Harrah’s Ak-Chin Concert Venue seats 2,000 and is part of the property’s multi-million-dollar expansion. A midlife crisis usually means buying a new sportscar, but Bob Ledbetter is singing a different tune in his mid-40s. 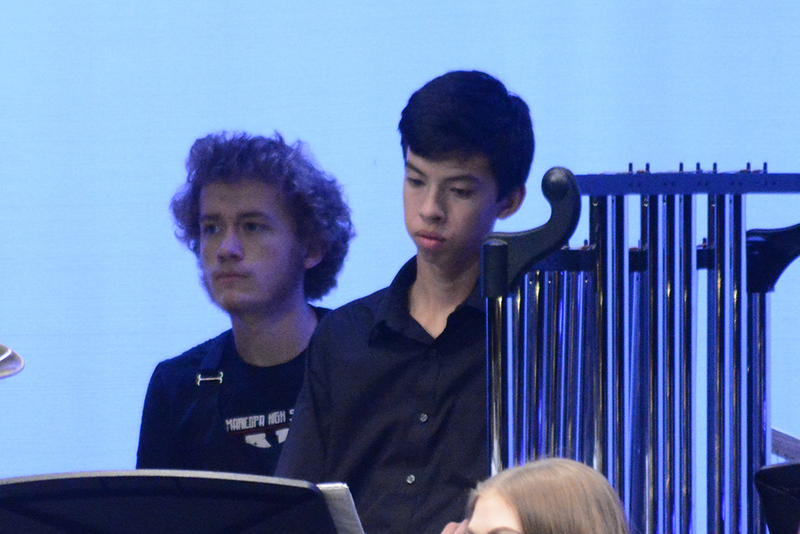 Ledbetter decided to take on a new career as a sound engineer. 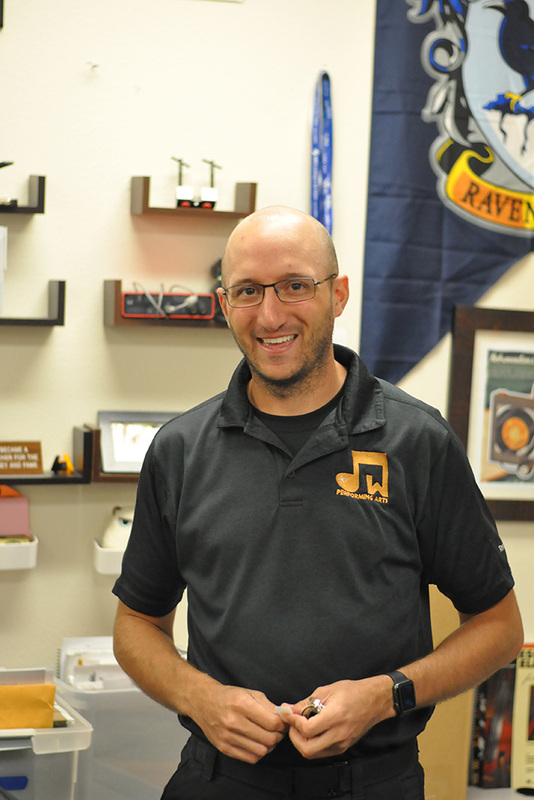 After working for years as an IT guy, he just wanted more out of life. 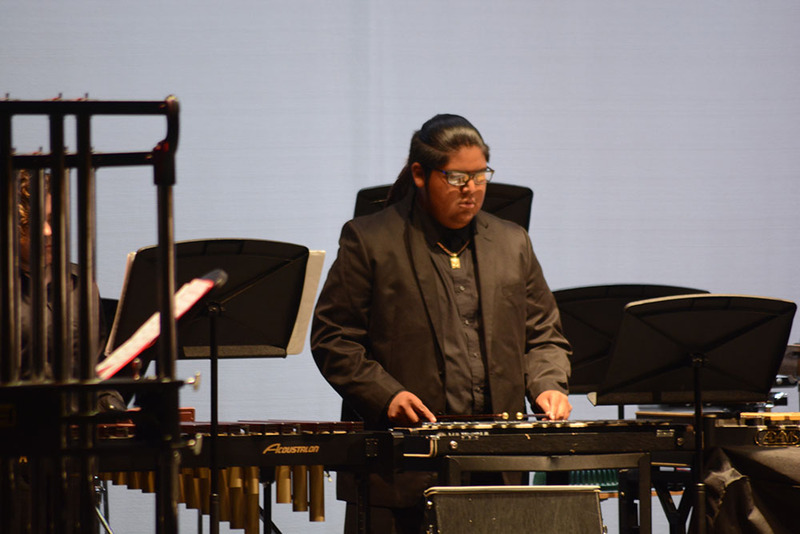 With his daughter moving out and going to college, the single-parent was left with an open mind, musical talent and deep knowledge of technology. It all combined into a soon-to-open recording studio named MuthaSuckaSound. 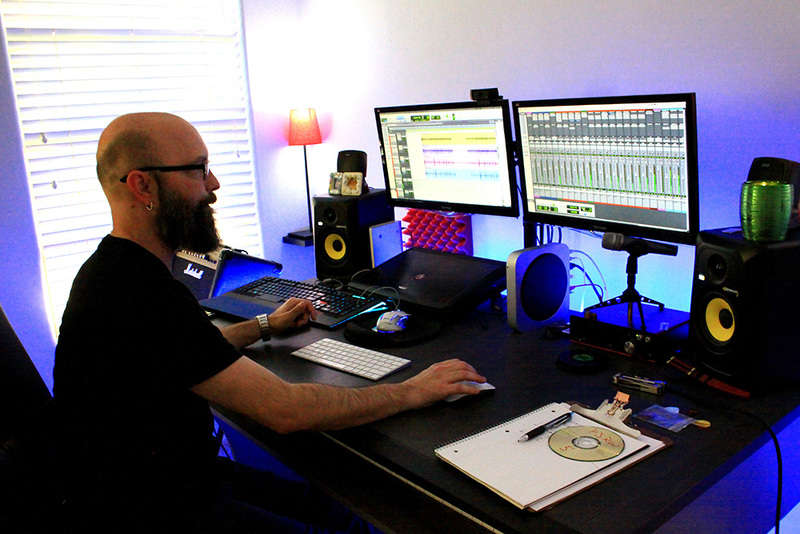 Ledbetter has the beginnings of his studio up and running in his Maricopa home. His main studio is a nicely converted bedroom in his house, complete with a rack of guitars, a drum set, keyboard and computerized, multi-track sound mixing station. 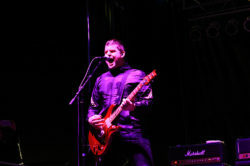 Ledbetter said he was motivated to open his recording studio by his love of music. 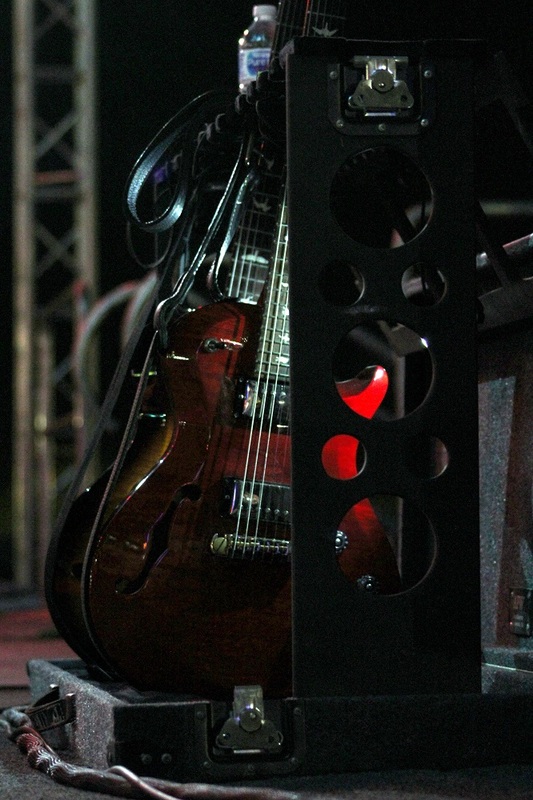 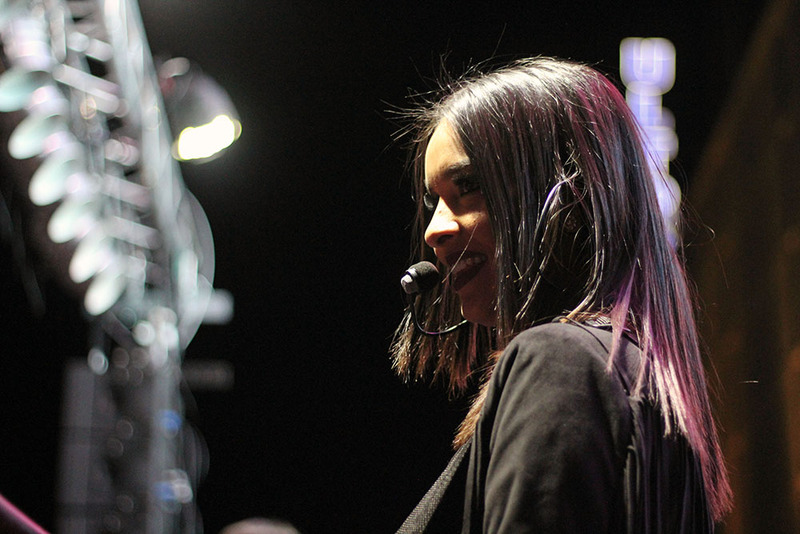 “I have always dabbled a little bit with recording – as a musician and as an IT nerd. 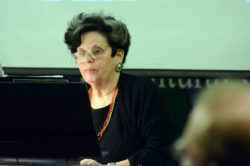 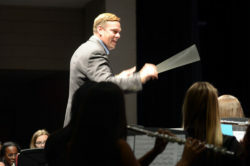 I have always been fascinated by the process,” Ledbetter said. 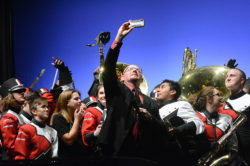 About four years ago he decided to go back to school to get a degree for business management at Central Arizona College. 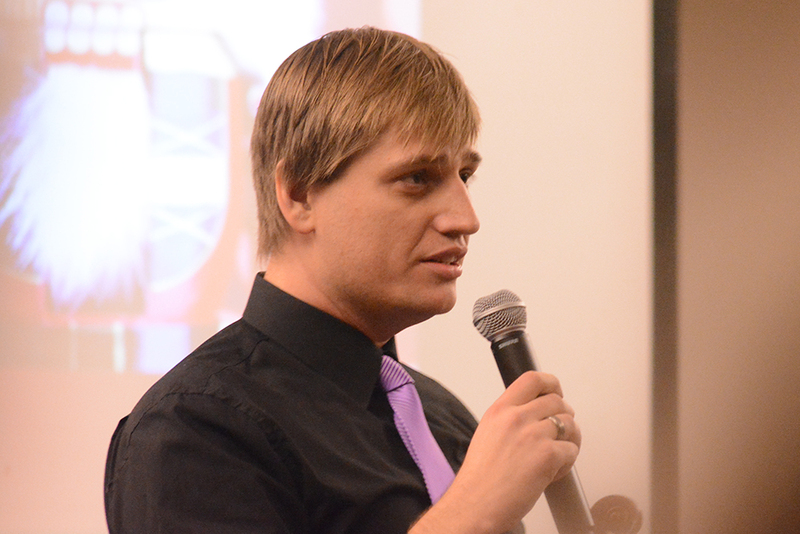 “I had been an IT contractor for 12-plus years and working in IT in some form for over 20,” he said. Retirement just wasn’t a goal in his life. 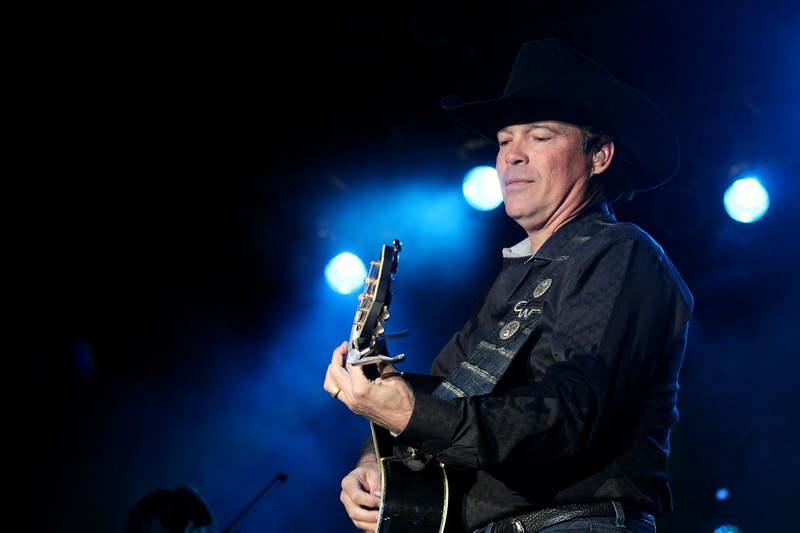 “When I hit 40, retirement is not really an option, not as a contractor. I change companies every couple years, which means the 401Ks change every couple years. 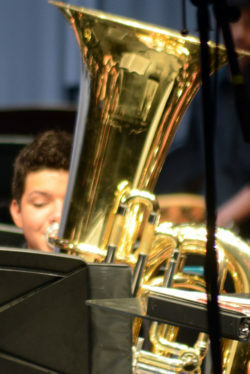 Some companies match, and some don’t. It’s a joke. 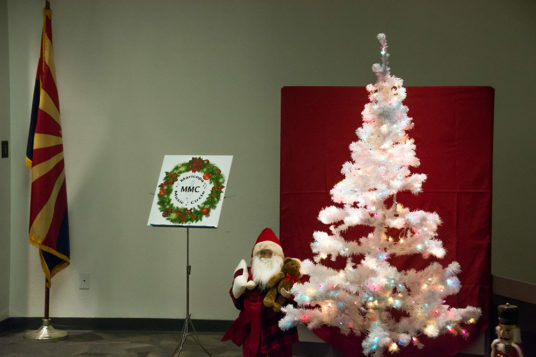 By the time the government allows me to retire, Social Security will be gone,” he said. 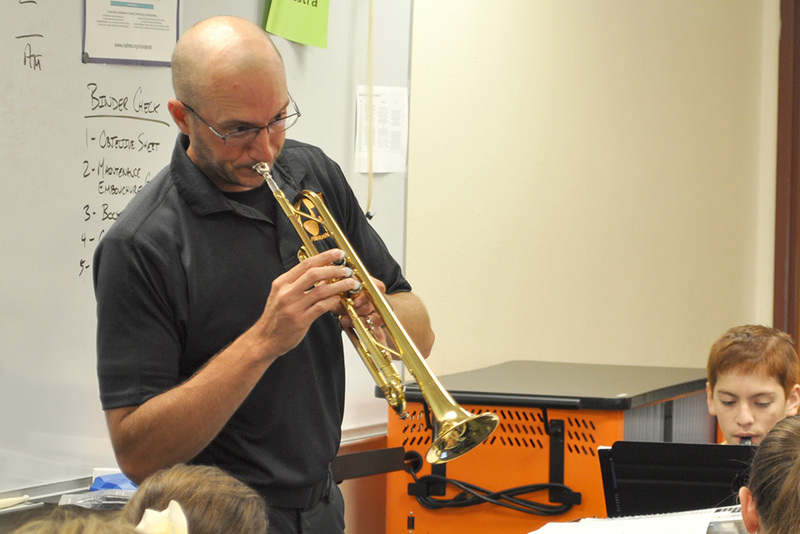 Instead of looking at retirement, Ledbetter set his mind on doing something he loves to do that can sustain his lifestyle. While going to business management classes, one of the elective courses he took was the history of rock ‘n’ roll. 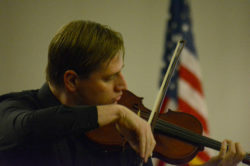 Ledbetter did very well in the class. Education in sound engineering is something Ledbetter takes very seriously. 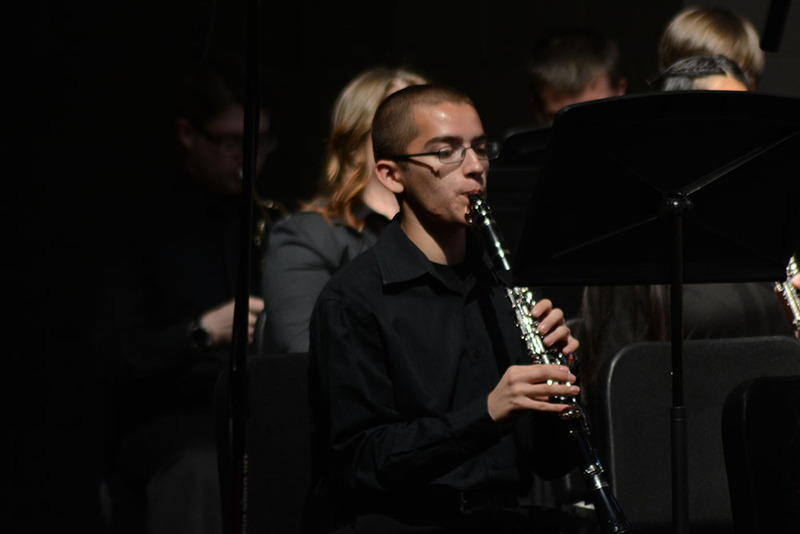 “Bob Ledbetter is a shining example of a student who takes full advantage of what the EIT program has to offer,” said Dan Bush, professor of Recording Engineering at Central Arizona College and E.I.T. 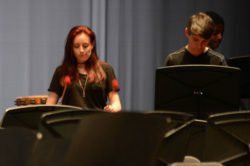 coordinator. 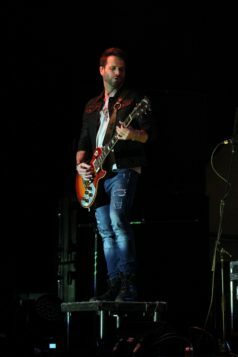 After talking to his daughter, Ledbetter jumped into being a recording engineer a little more than two years ago and changed his major at CAC. 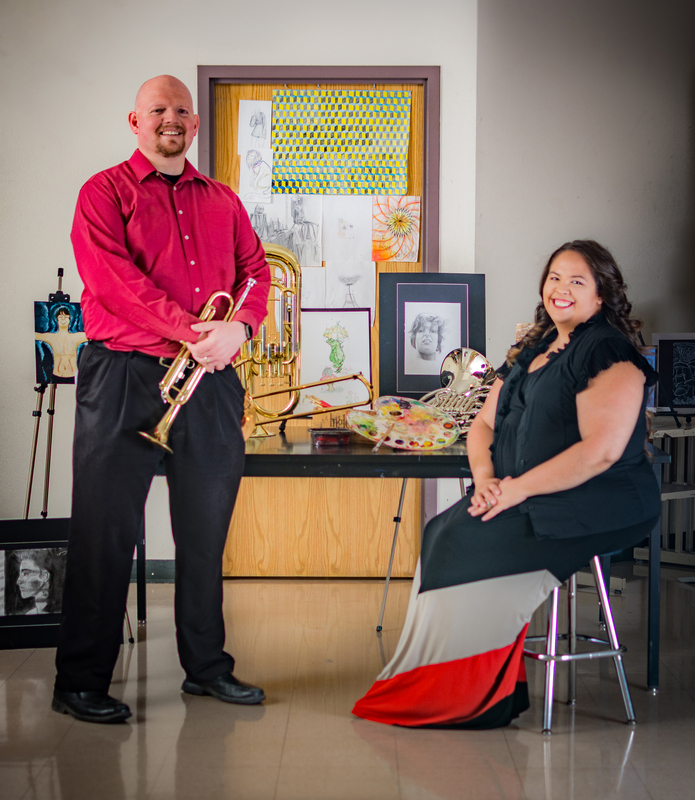 She has been part of his music since she was a toddler. 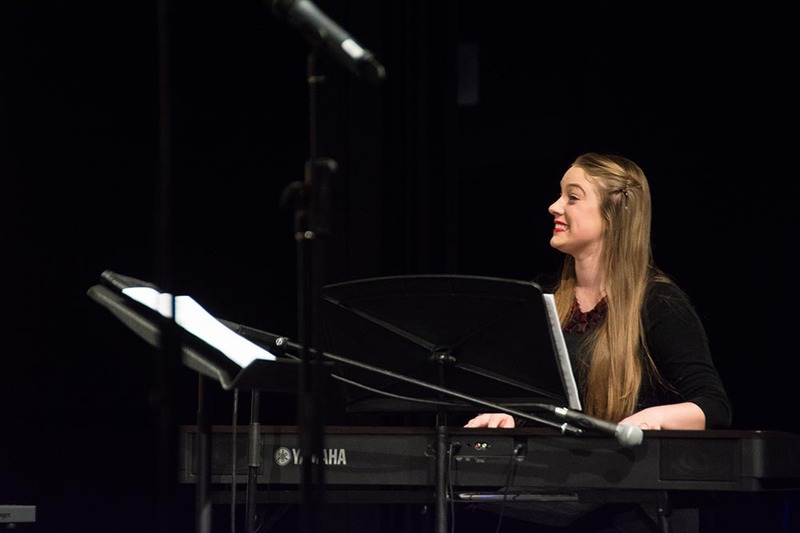 While living in Washington, D.C., he would take her with him to perform at “open-mic nights” at local venues when she was 3 or 4 years old. 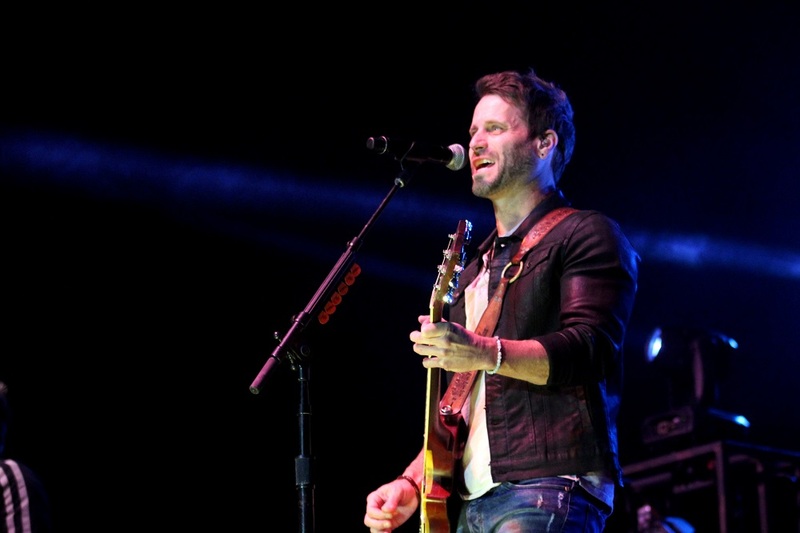 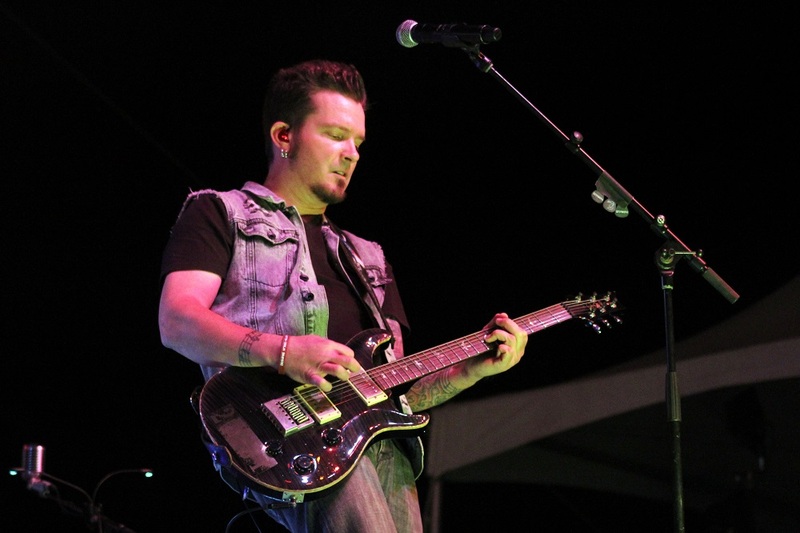 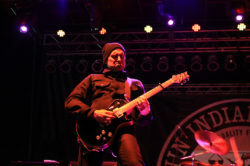 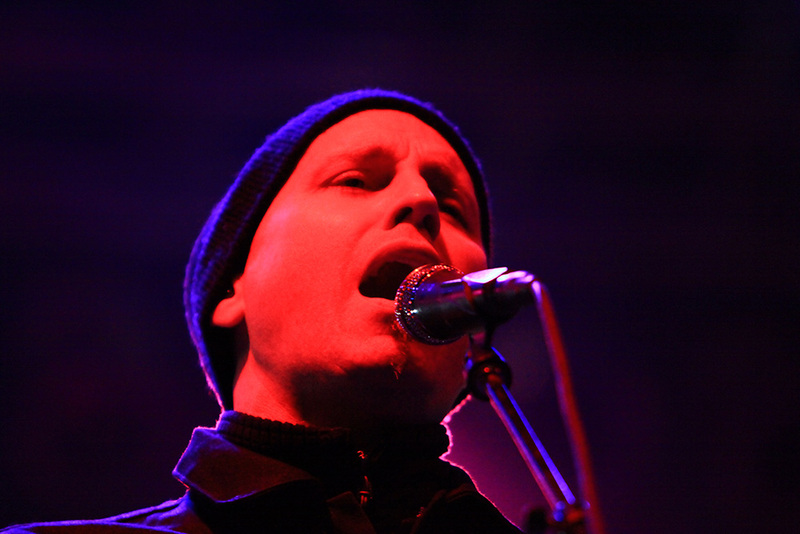 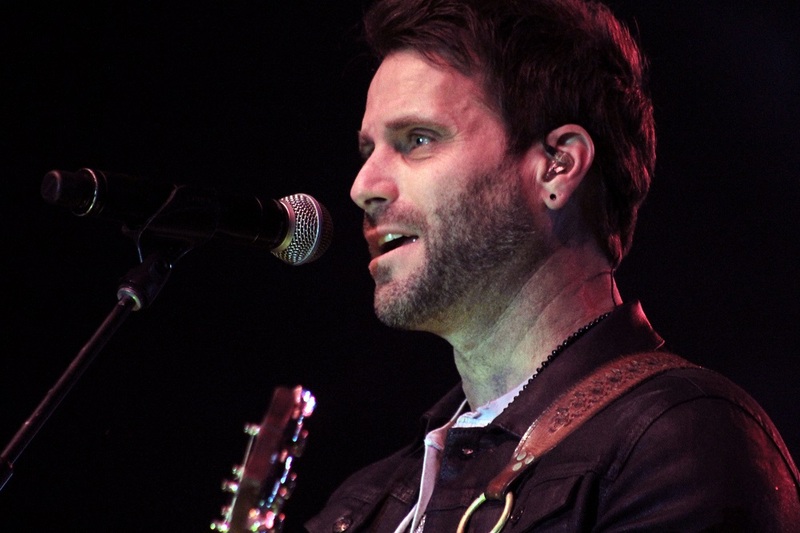 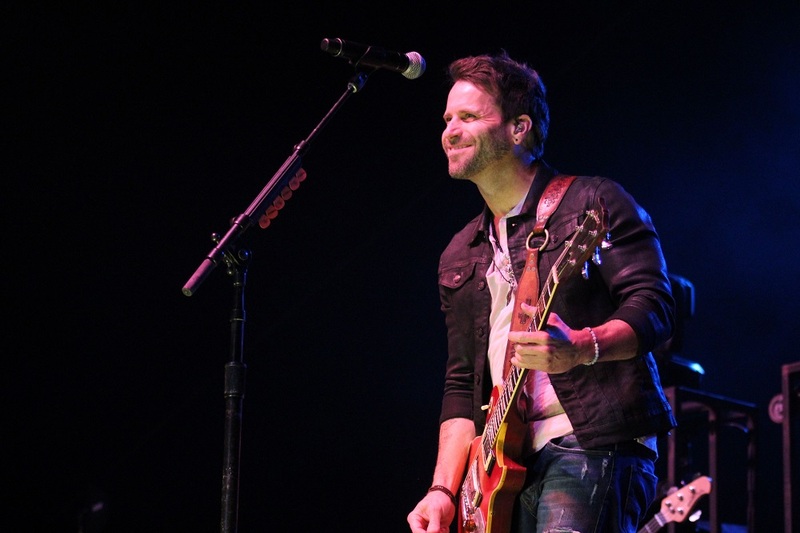 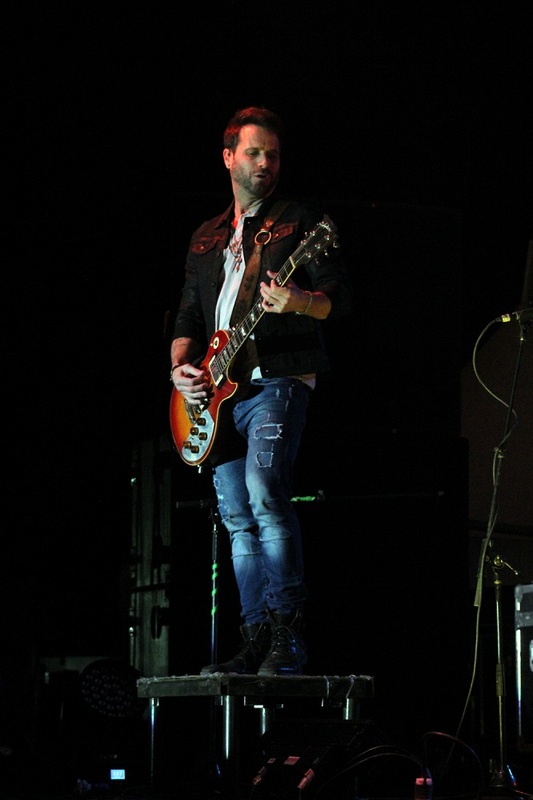 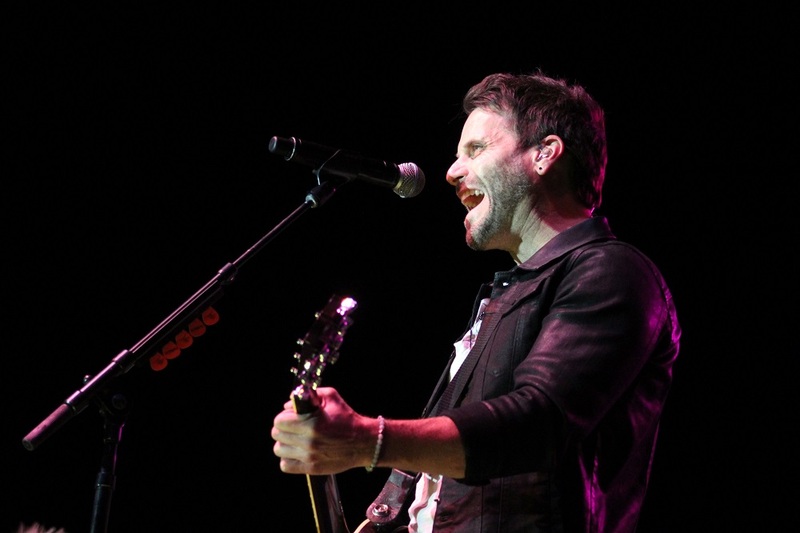 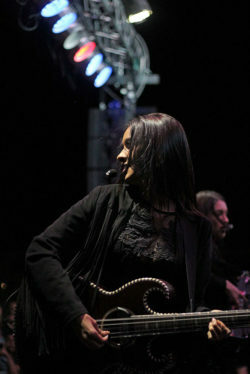 As a musician, Ledbetter plays guitar and sings as a solo act. 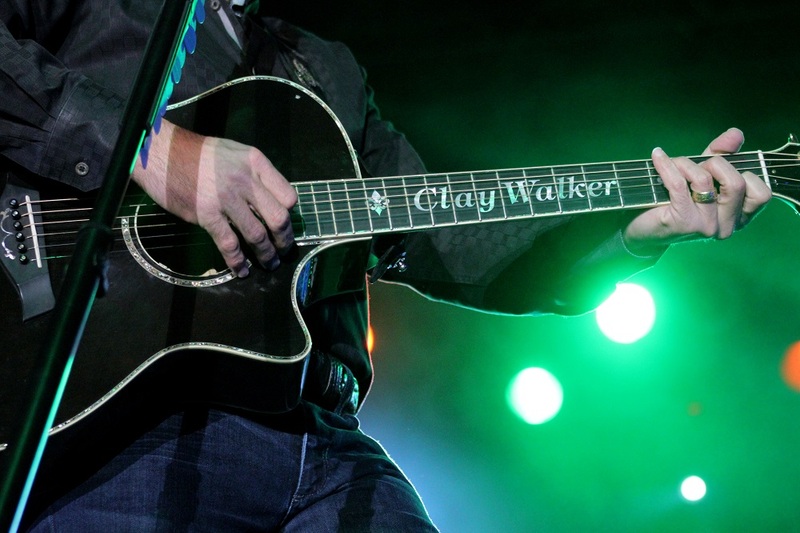 He’s his own recording client as well. 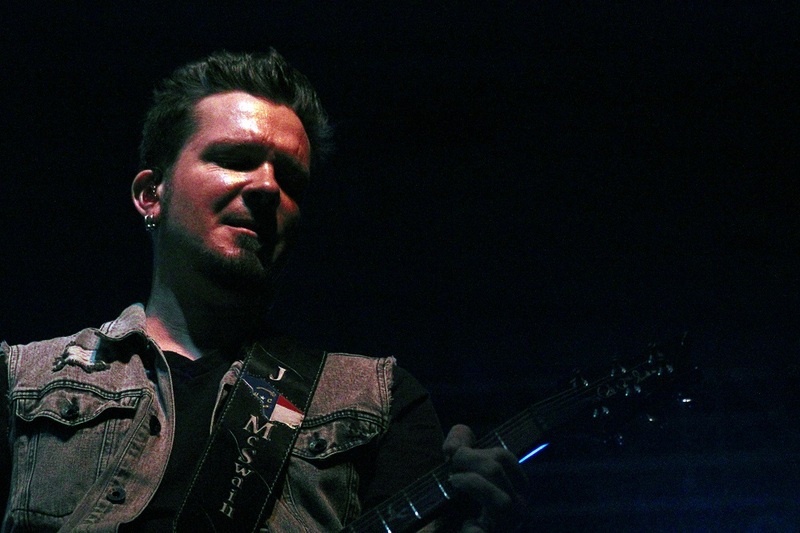 Recording is only one of the skills needed to be successful with a studio, according to Bush. 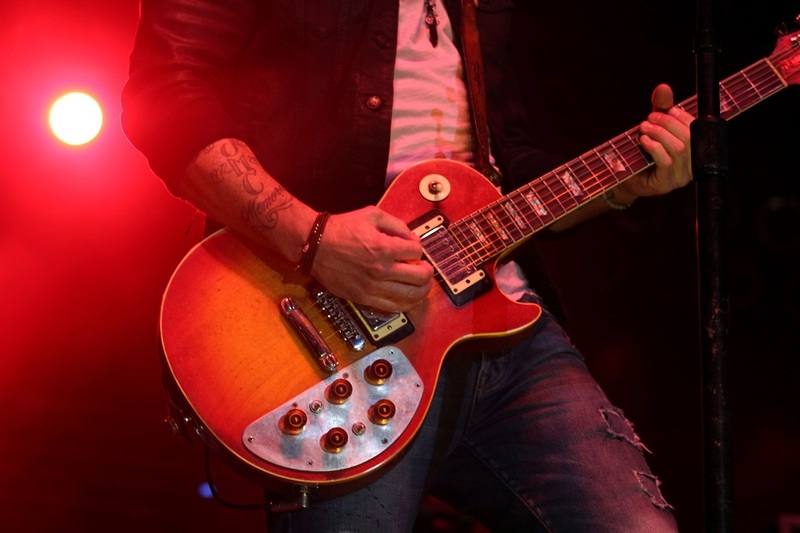 “Bob has also learned the ‘business side’ of the music industry, particularly entertainment law, copyrights and how to actually make money by leveraging performance rights organizations to generate income from music royalties,” Bush said. 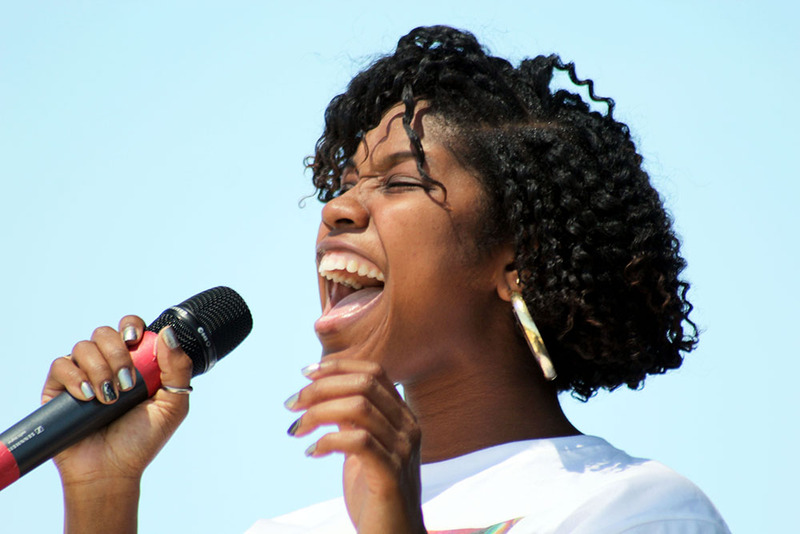 A 27-year-old custodian is seeking to make some noise in the rap world. 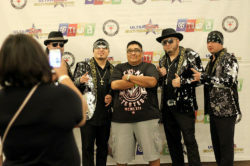 Alex Medrano spends his days as a janitor at Butterfield Elementary, a job he really loves, but his real passion is rap music and love for his city. 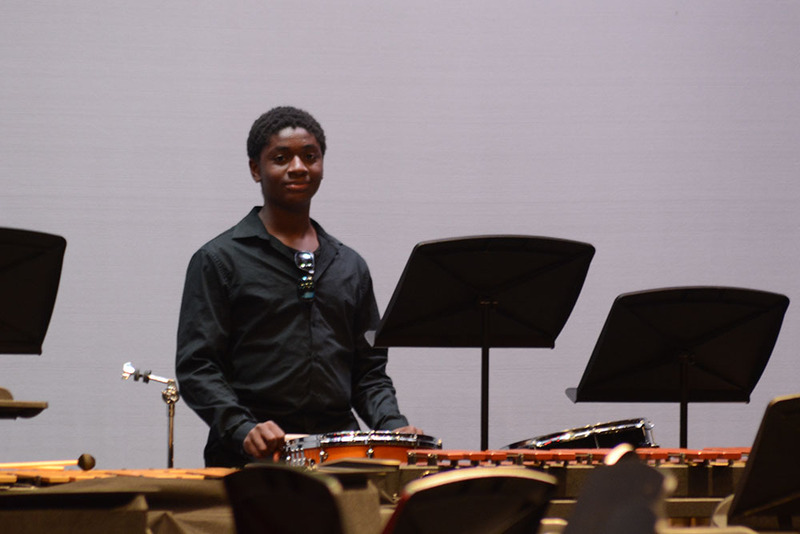 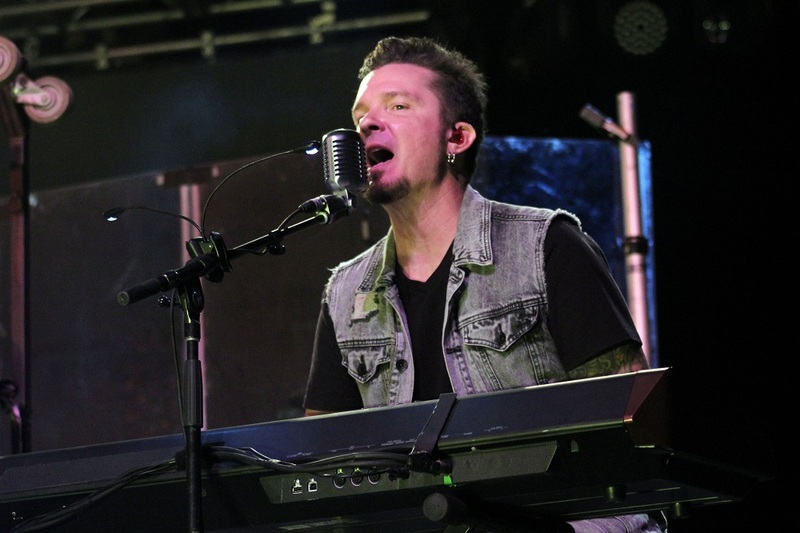 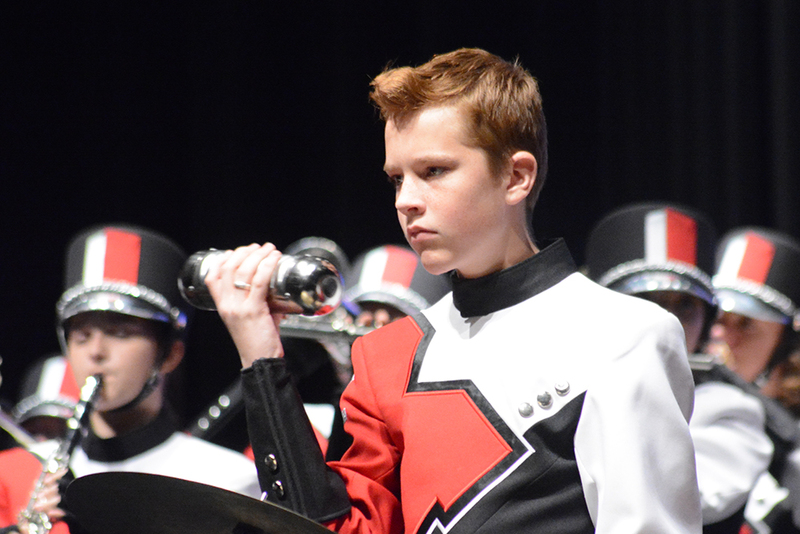 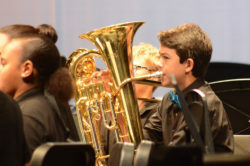 His passion for music is beginning to propel him onto stages and into awards. 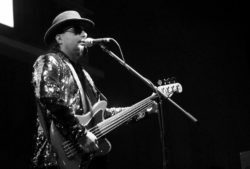 His music is bright, catchy, interesting and flowing. He’s quickly becoming an inspiration to those who love rap. 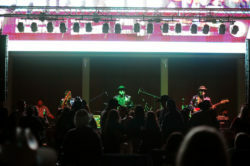 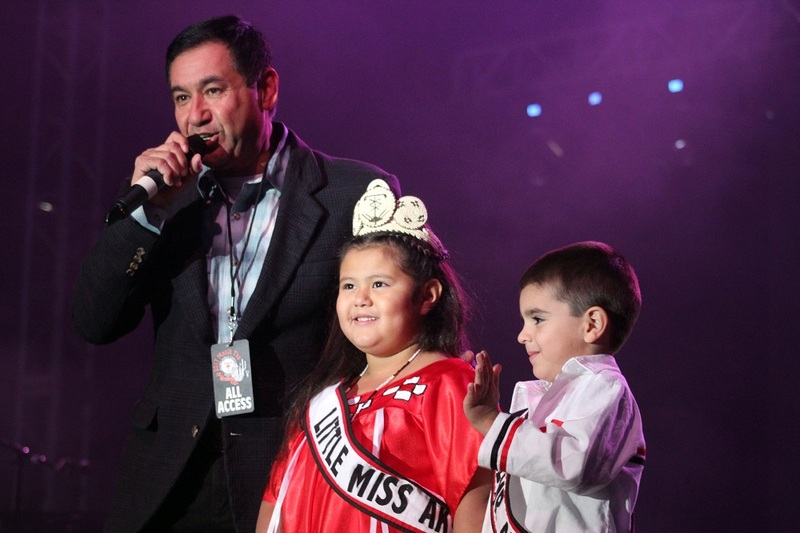 Medrano, known as BG Boss on stage, said rap fills his soul. 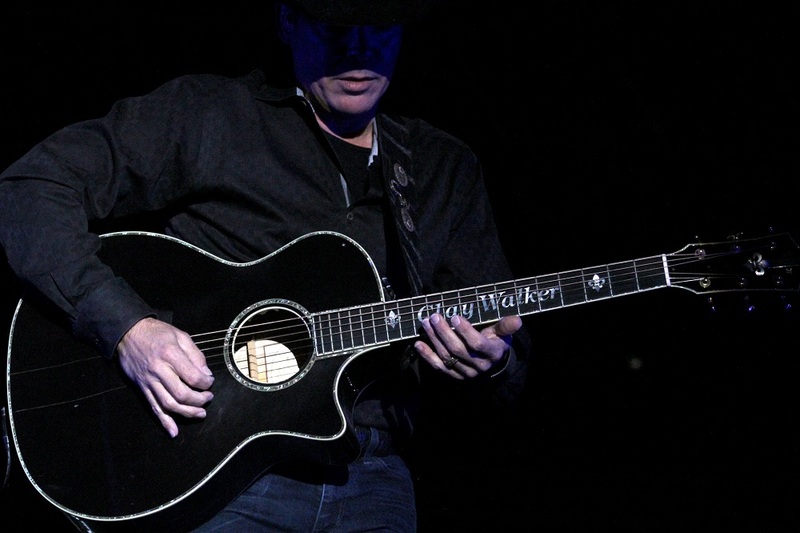 He’s been honing his craft for the past decade. Alex’s older sister, Yuri Medrano, said her brother has always been musical. 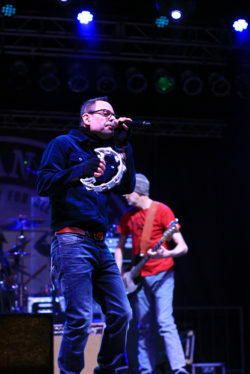 “He is very passionate about rapping. He has always been into music. 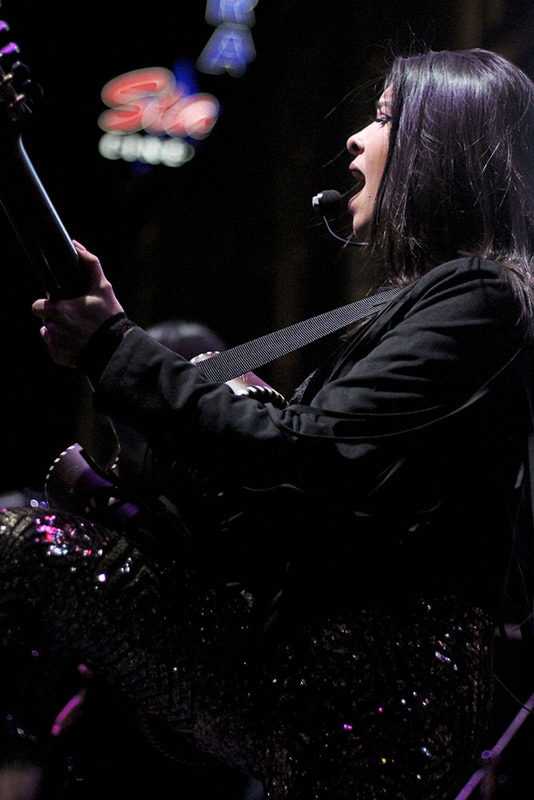 When he raps he is more comfortable with himself and more confident. It helps him a lot. 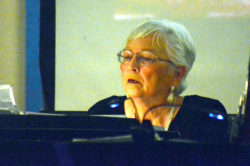 It is his way of communicating with the world,” she said. 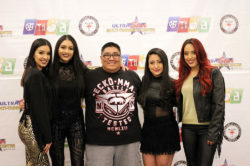 Alex Medrano is an MC rapper, and he’s got a deep message. 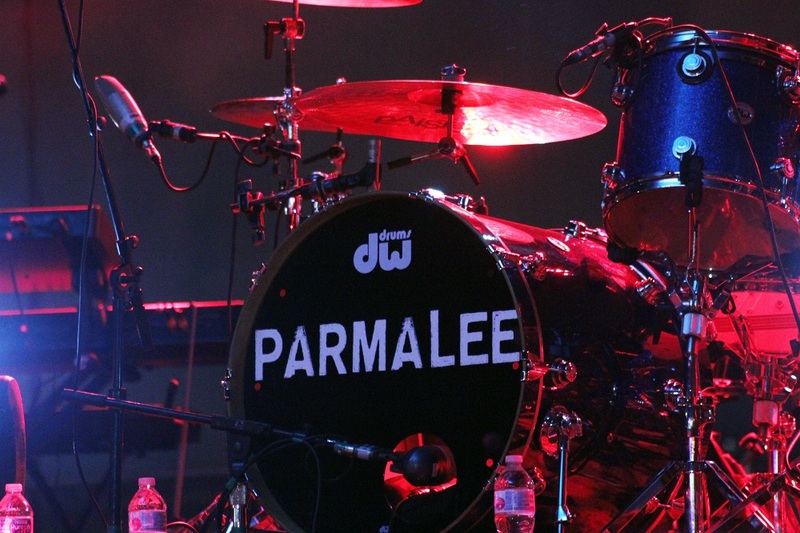 He just “dropped” an independent album titled “Highly Anticipated” in a deal with Rockstar Entertainment. 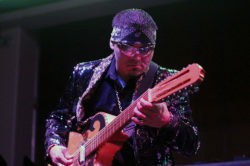 The album is available through Reverbnation.com. 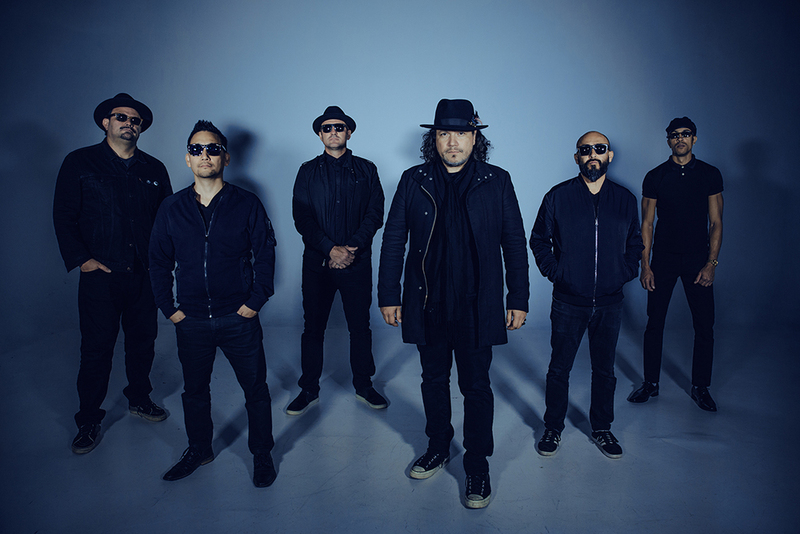 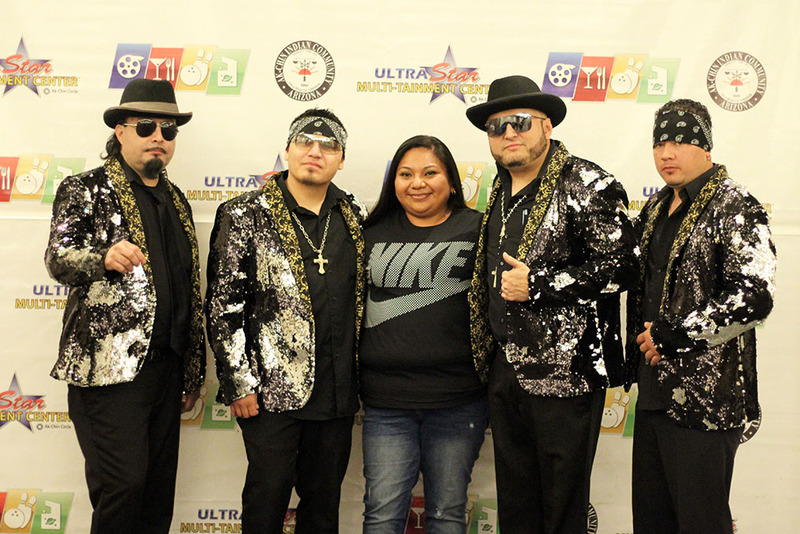 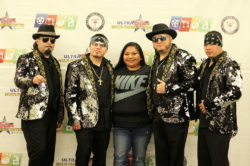 According to Arizona Mixtapes (AZMT) in Phoenix, Medrano’s album was nominated for Lyricist of the Year and Album of the Year in its annual awards voted on by the public in December. 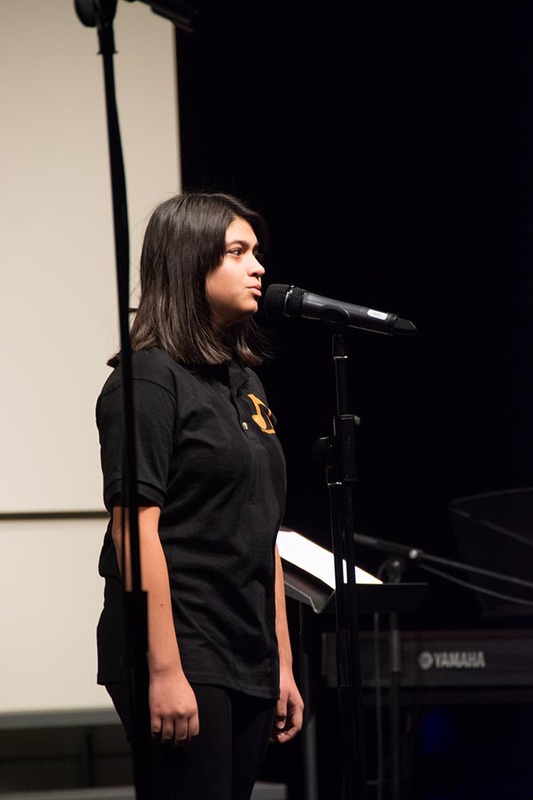 “When I was younger, I used to get bullied a lot. 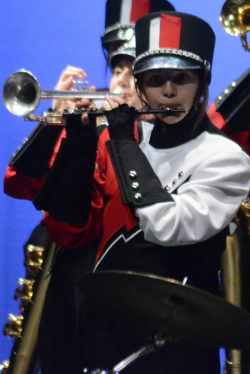 Basically, I took the anger and put it on paper instead of doing action. 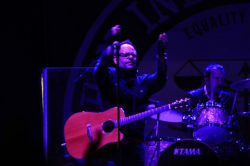 That’s how I released my feelings at that time. I was actually a good kid, you know. 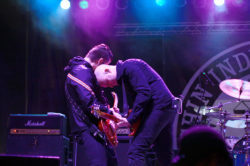 My brother is the one who kept me out of trouble,” he said. 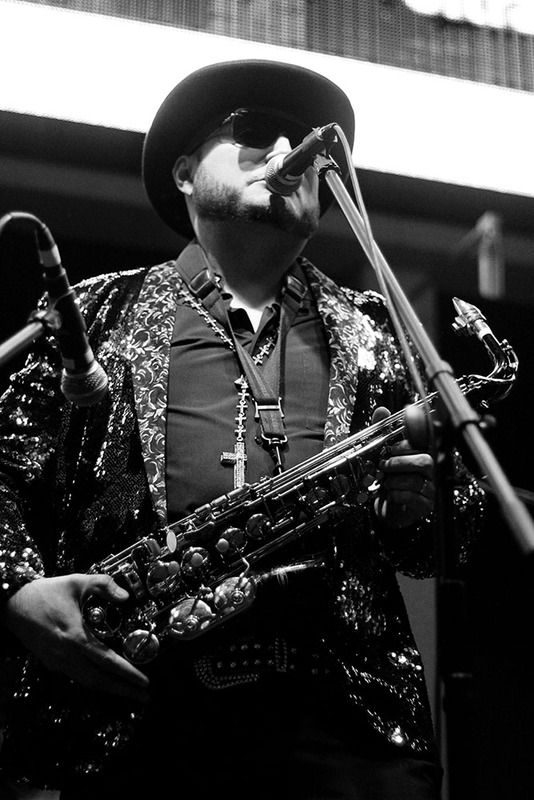 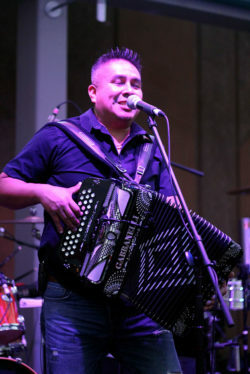 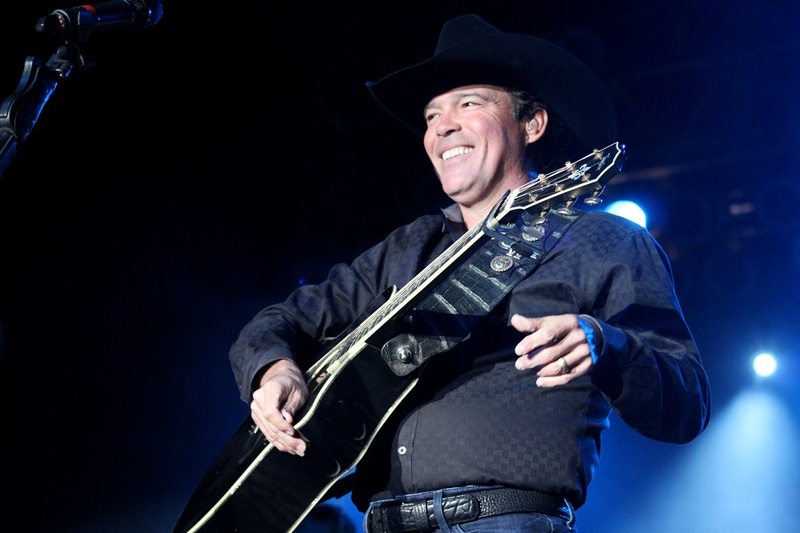 Medrano writes songs about a lot of different subjects, including “metaphor-” and “true life-” inspired songs. “Real-life songs about the struggle and what is going on in our society as well. 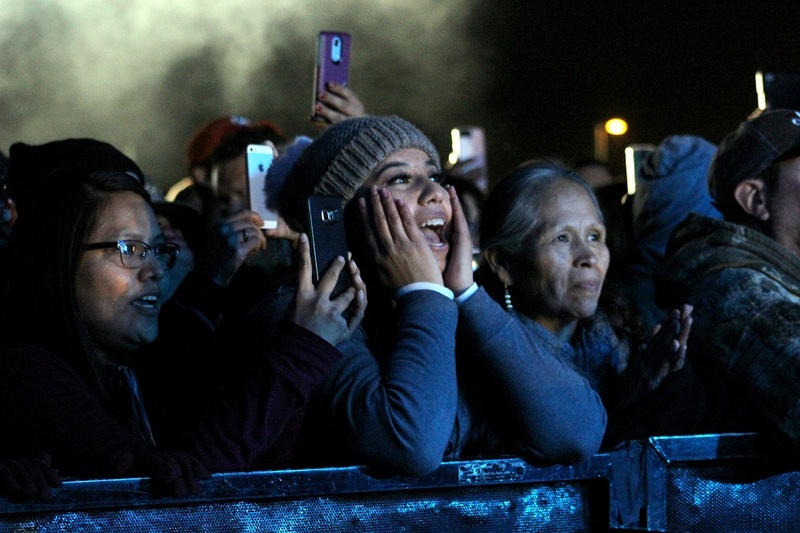 It opens people’s minds. It’s kind of like saying, ‘wake up,’” Medrano said. One of his songs on the new album is “520 in Arizona,” which is very much about something he dearly loves, the city of Maricopa. 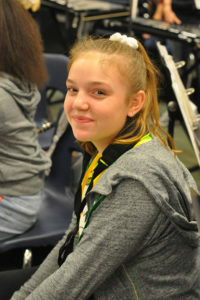 “I’m originally from California. Once I moved down here, it opened a lot of doors. 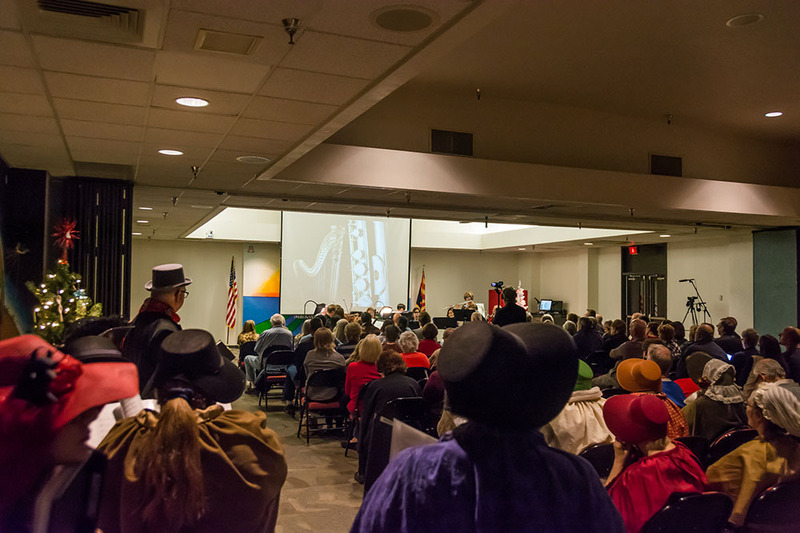 That’s why I represent Arizona. Now it’s about my family. They opened a lot of opportunities as well. I feel good when I’m in Maricopa. 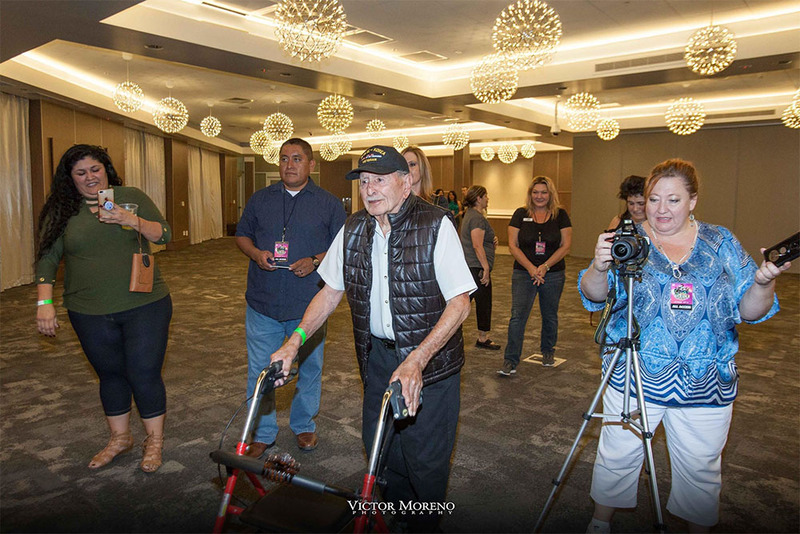 Maricopa is like my home,” he said. 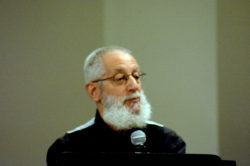 He did weekly rapping videos while producing his album. 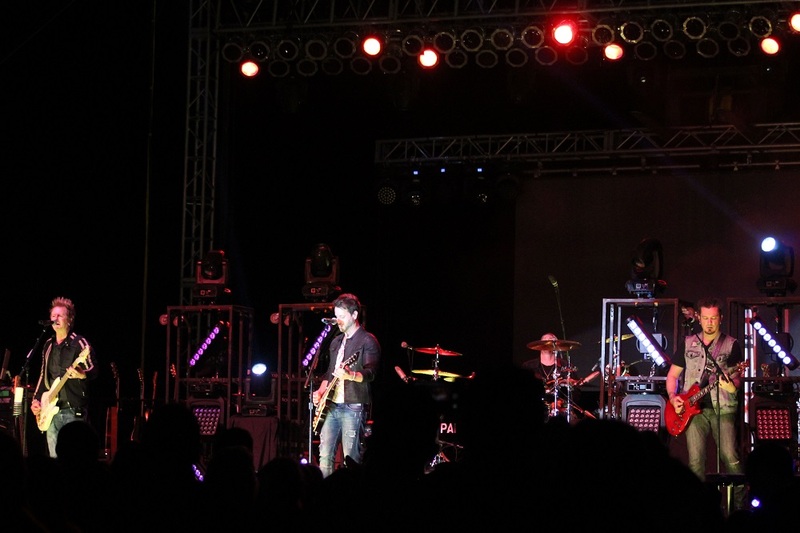 After he released the album, he did his own show in Phoenix. 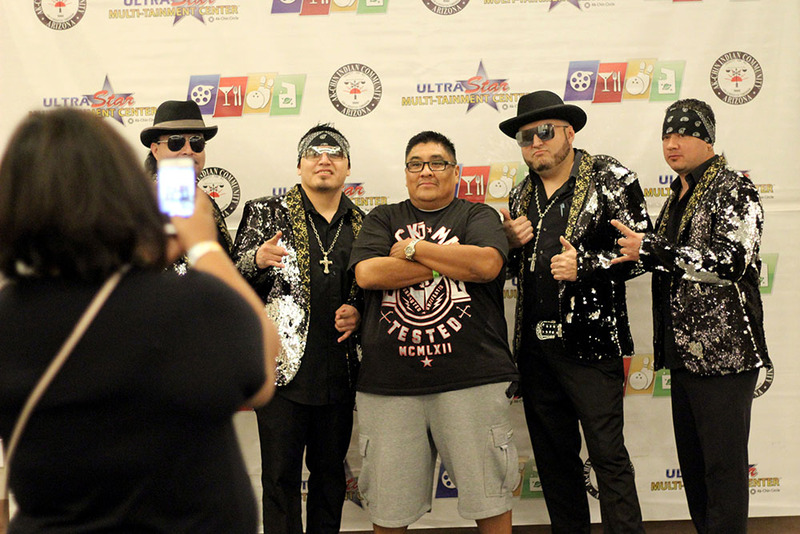 He said Rockstar Entertainment is teaching him moves behind the scenes. 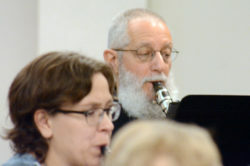 He usually performs “a cappella” but sometimes to a beat. 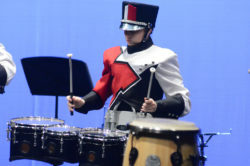 When he was younger Alex was bullied for being blind in one eye, a condition he was born with. She added that Alex is pretty good at what he does and is also a nice guy. “He loves to help others. His rapping helps him communicate and helps him overcome a lot. 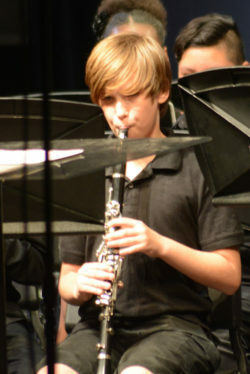 He’s always been into music, even when he was little. 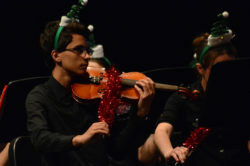 All his toys were always (musical) instruments. He’s always been into singing. 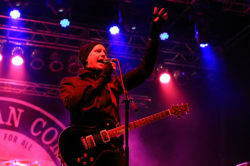 When he was 3 or 4 years old he would use a toy microphone. Now that I see him rapping I knew he was something and I hope that he becomes bigger. 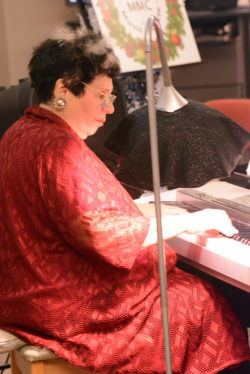 He is so passionate and so good at it,” she said. Alex said he is grateful for the support he receives from his family, fiancée and son. “Even my little son, he supports me. 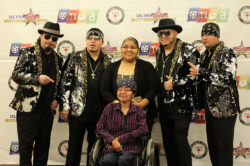 He looks up to me and he gives me motivation,” Medrano said. 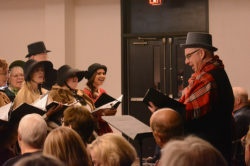 Maricopa Music Circle and Maricopa Chorus Carolers performed a Grand Winter Holiday Concert on Saturday at Maricopa Agricultural Center with guest dancers from ONYX Dance Company, part of Desert Sun Performing Arts. 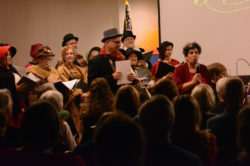 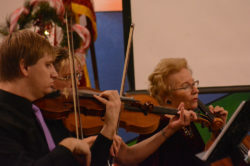 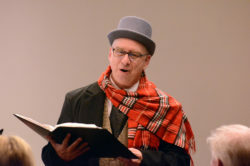 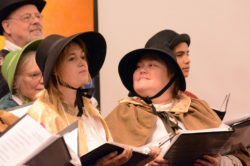 Besides traditional songs of the season, they performed classical and ragtime music on a theme. 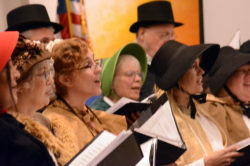 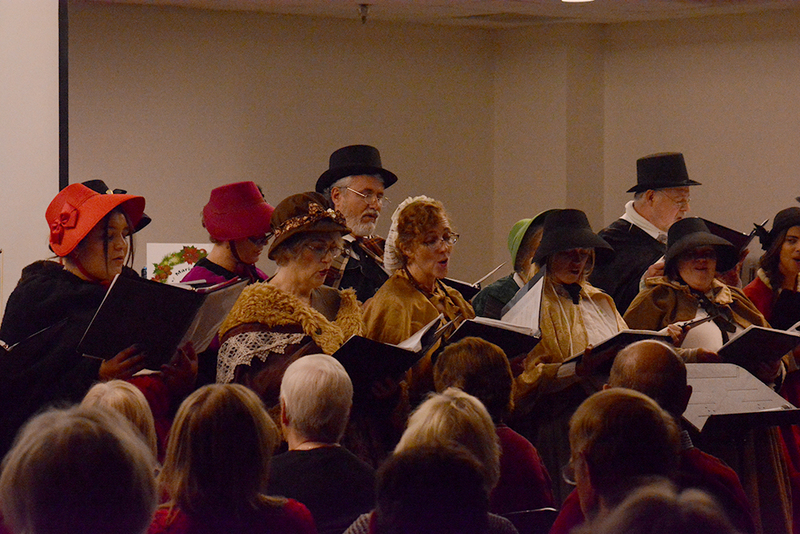 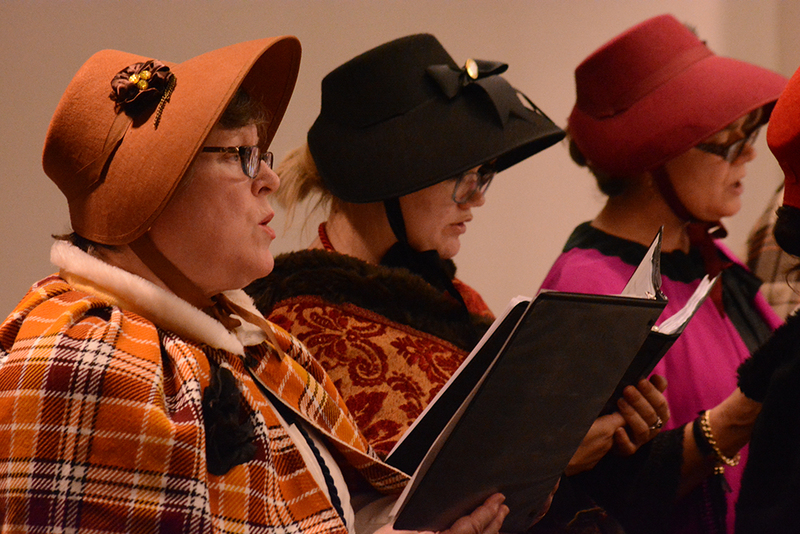 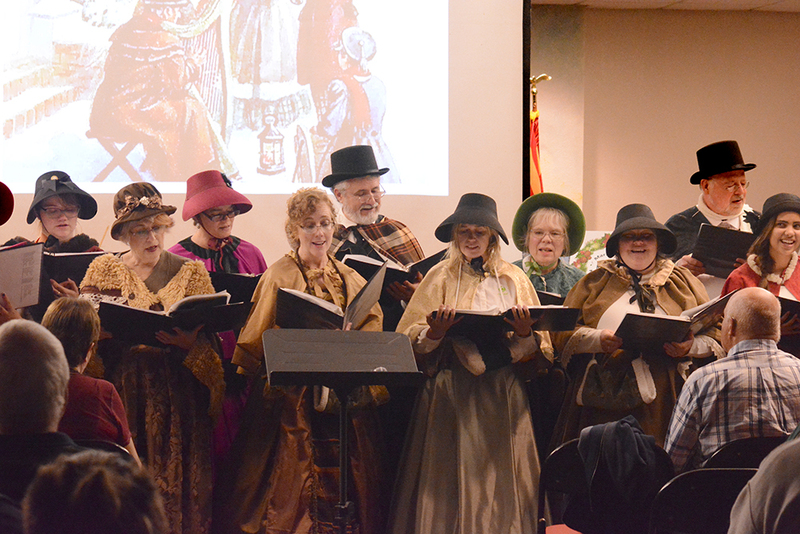 Members of the audience joined the performers for Handel’s Hallelujah chorus. 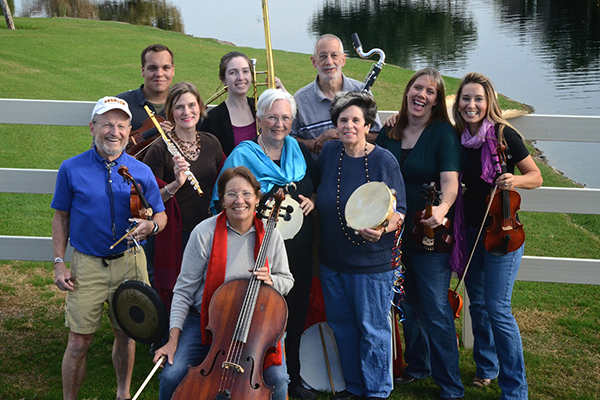 Members of MMC are Isabel Holden, David Kordahl, Holly Kordahl, Suzette Moe, Mary Mullarky, Laura Olivieri, Josh Siegel, Gary Zaimont and Judith Zaimont. 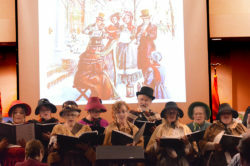 Members of Maricopa Chorus Carolers are Judy Figgins, Mandy Fisher Christine Fruchey, Amanda Gerros, Joey Lee Henkel, Cindy Kennedy, Carol Machovec, Mike Otis, Don Raflik, Kari Raflik, Connie Scheidt, Christina Smalley, Christina Surber, Priscilla Thomas and Music Director/founder John Jenzen. Guest dancers from Onyx were Tatum Roeske and Hannah Struckmann. 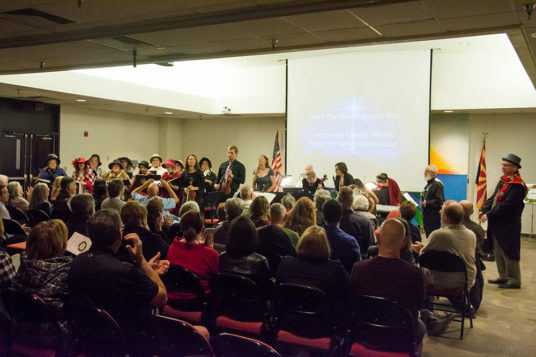 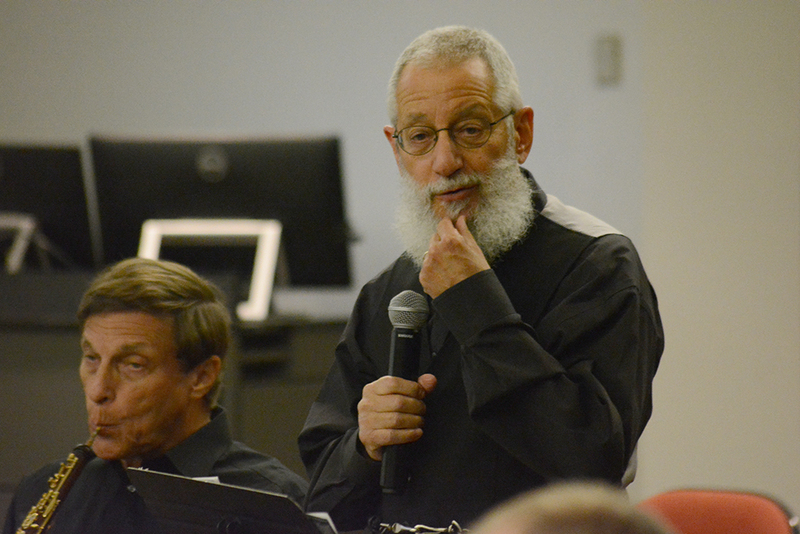 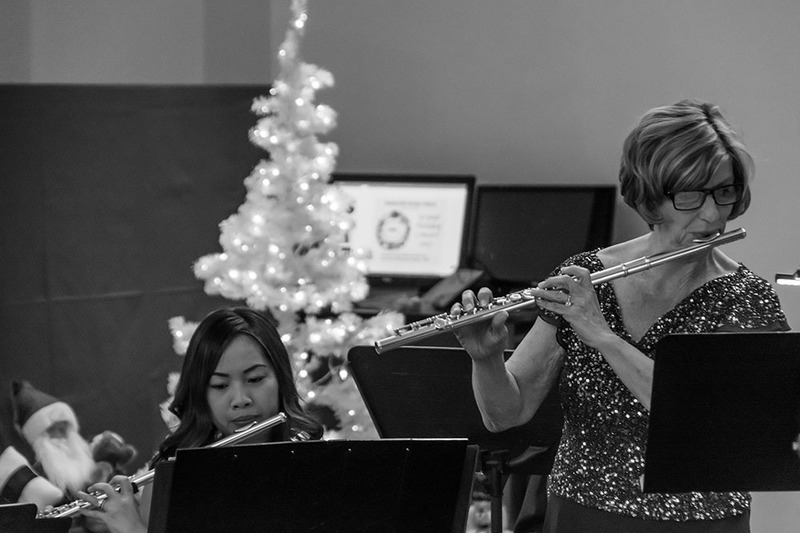 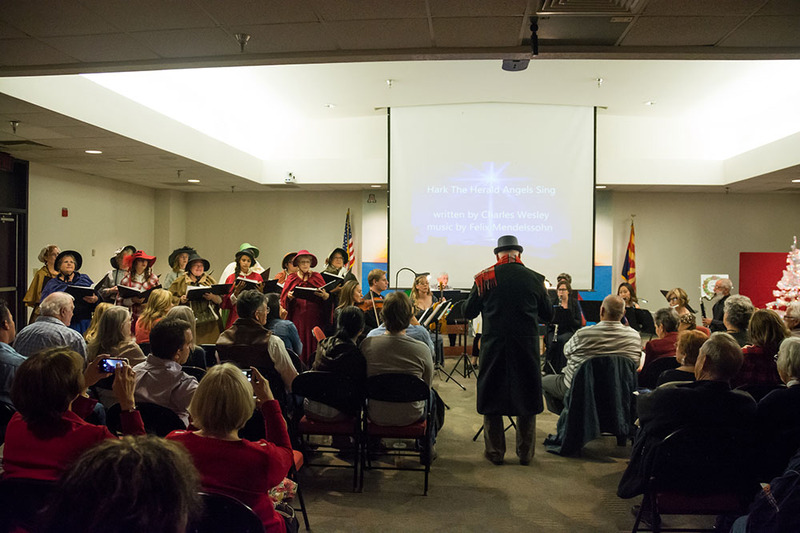 Maricopa Music Circle performs its winter concert Dec. 8. 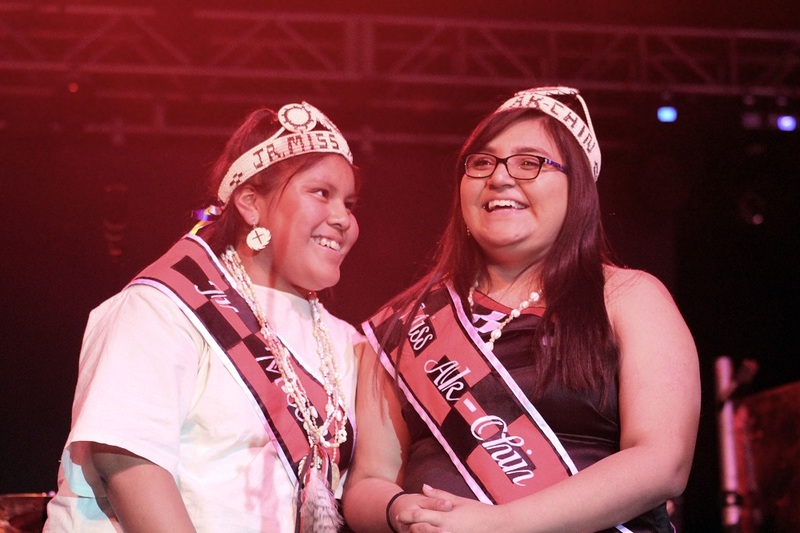 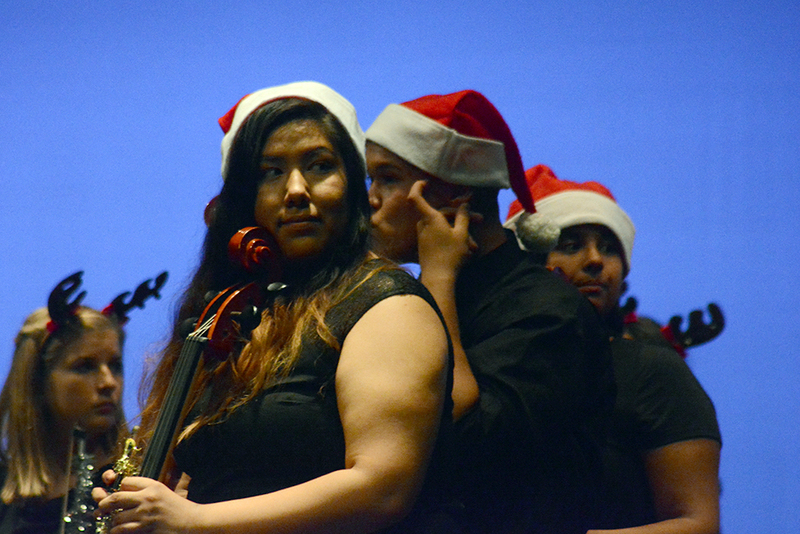 December is a musical month for Maricopa. 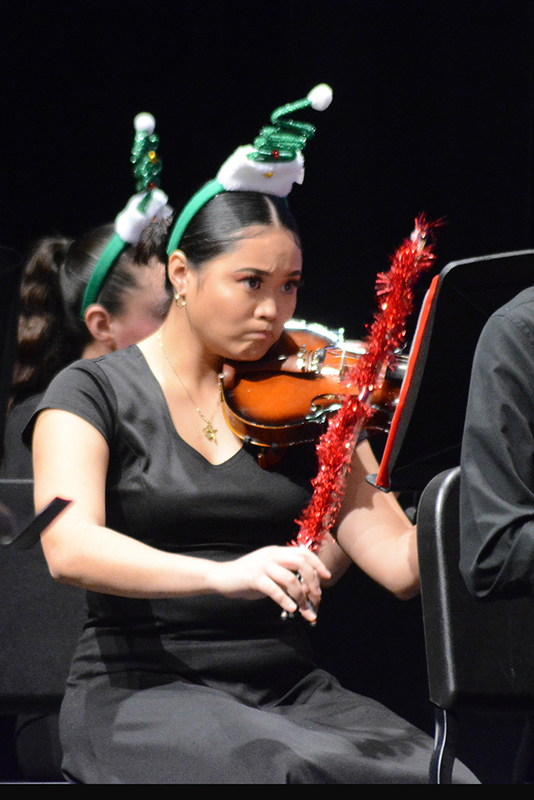 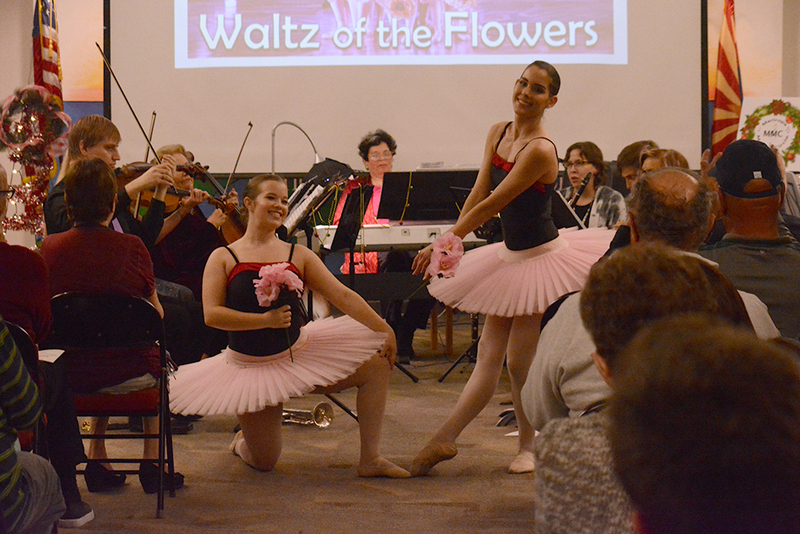 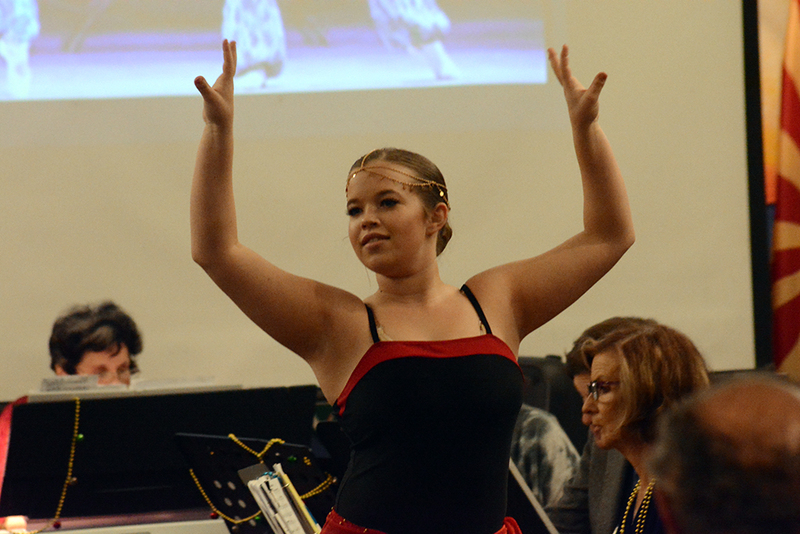 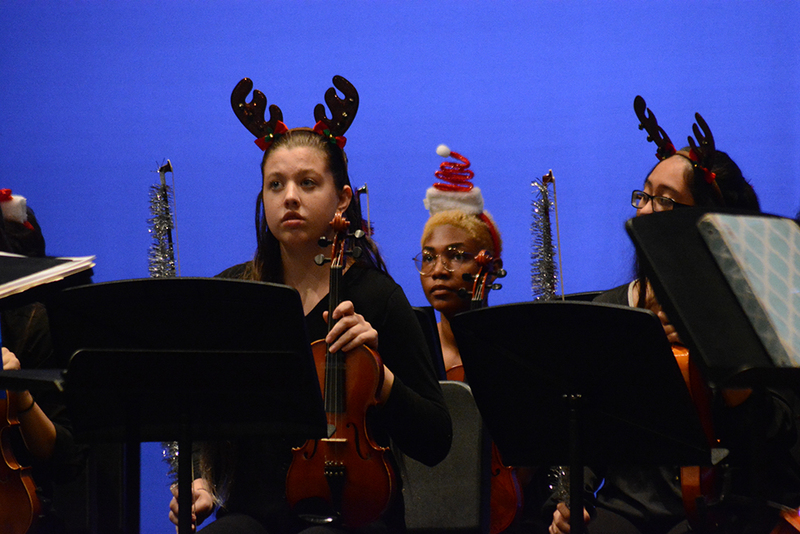 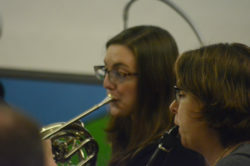 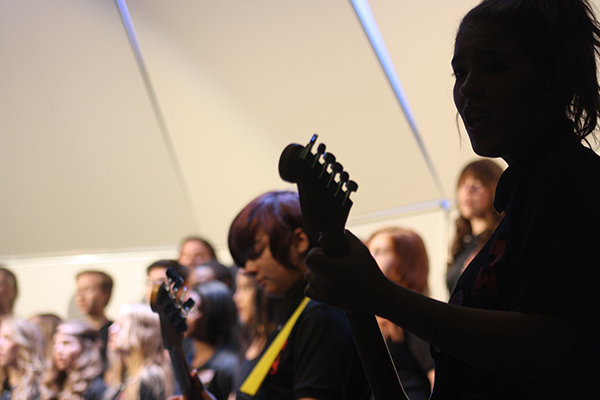 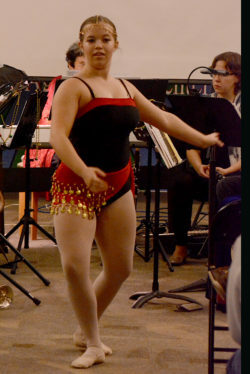 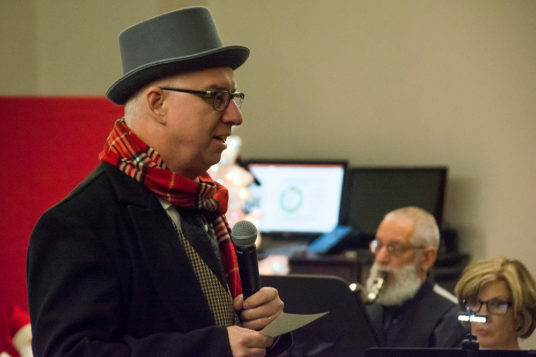 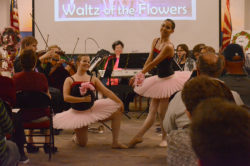 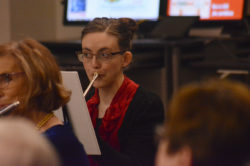 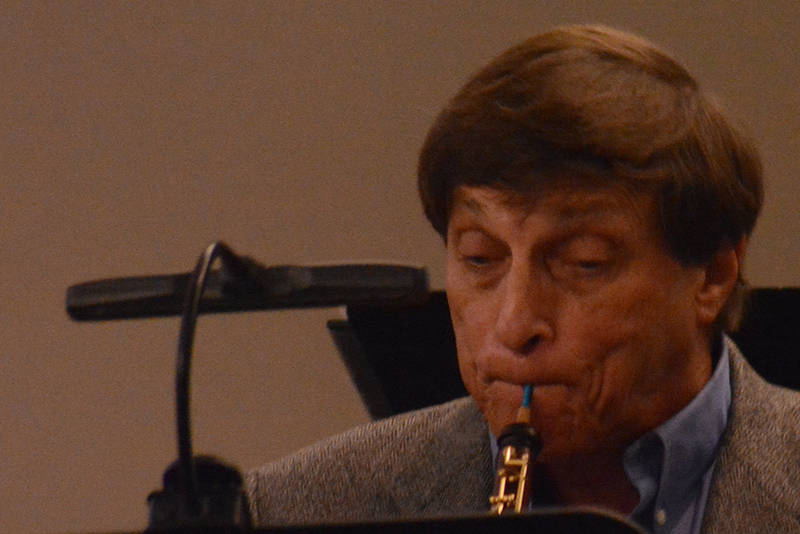 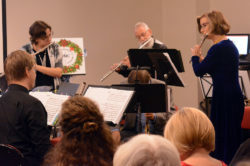 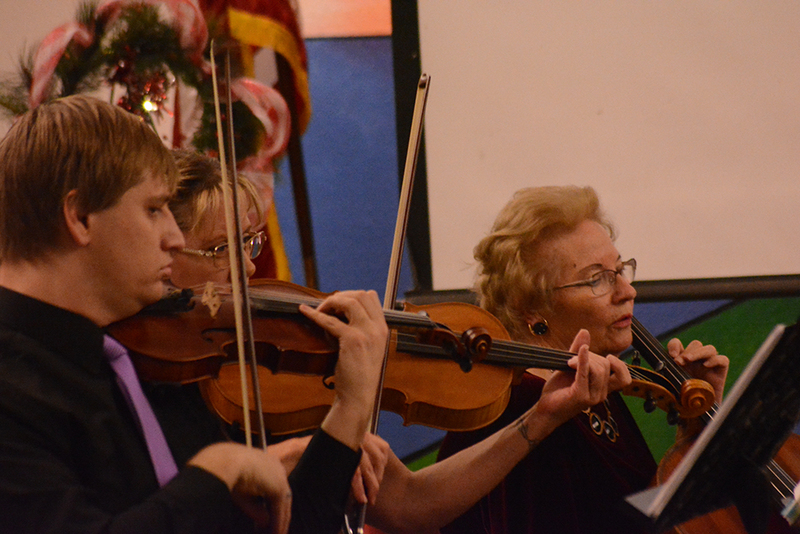 Student performers and veteran musicians alike are tuning up for holiday programs. 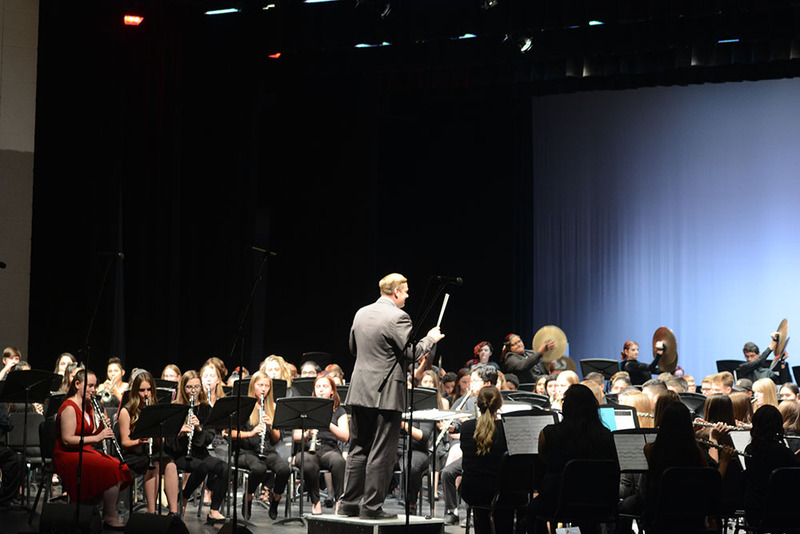 MHS bands will present their annual “Pass in Review” concert highlighting symphonic band, marching band, percussion and intermediate band. 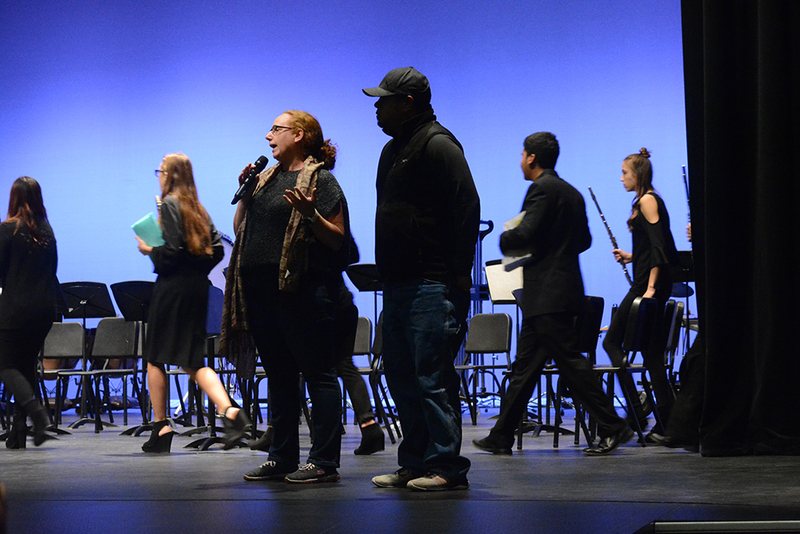 “Pass in Review” is at 7 p.m. in the Performing Arts Center. Admission is free. 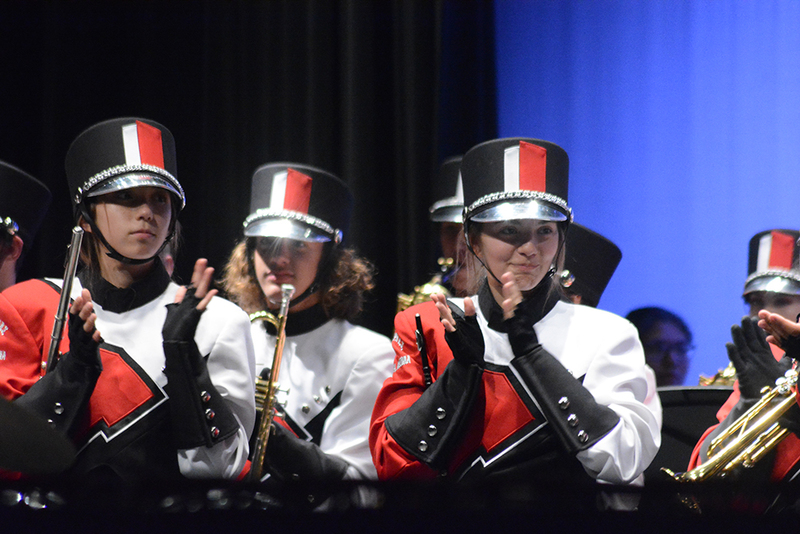 Catch up with the MHS Marching Rams again at 7 p.m. when they perform in the Light Parade for Ak-Chin’s Masik Tas on Farrell Road. Also that night, Maricopa Music Circle will be joined by soloists from ONYX Dancers and Maricopa Chorus for the “Grand Winter Holiday Concert.” The concert will be at the University of Arizona’s Maricopa Agricultural Center at 7:30 p.m.
Bizet’s cathedral bells ring in the evening, followed by Berlin’s “White Christmas,” Tchaikovsky’s Nutcracker Suite, “I’ll be home for Christmas,” “Hark! 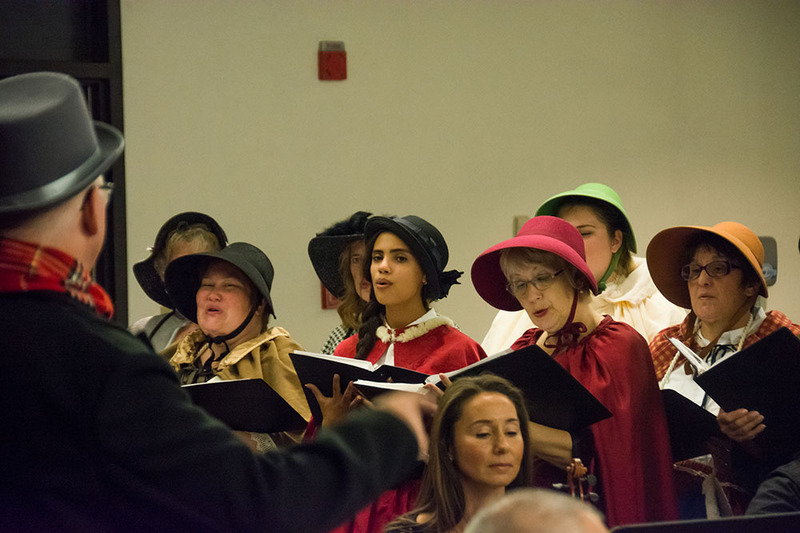 The herald angels sing,” “The Christmas Song,” “Jingle Bells” in ragtime and, of course, several movements from Handel’s monumental “Messiah.” The concert will close with a sing-along to the Hallelujah Chorus – so bring your music and be ready to join in. 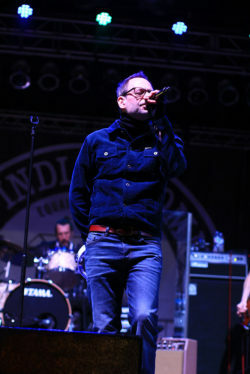 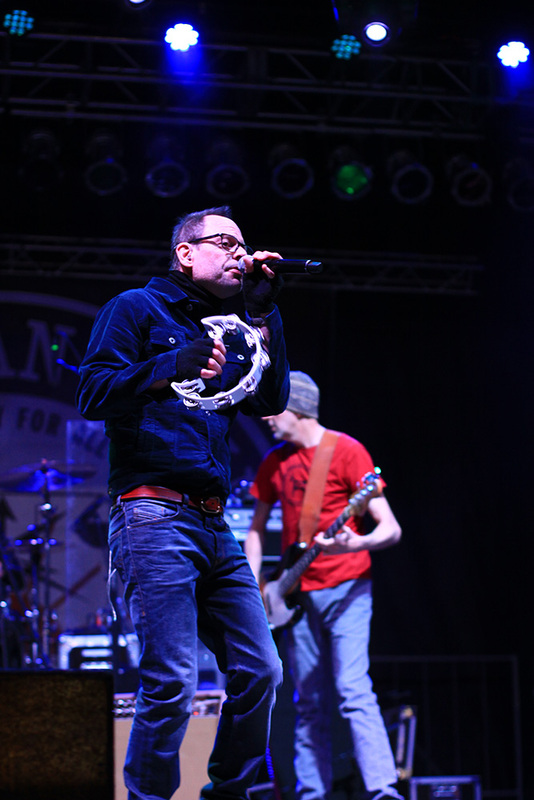 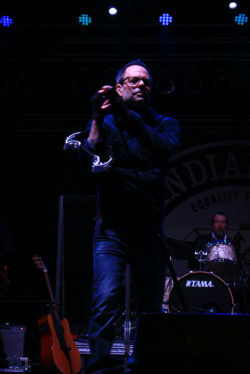 Gin Blossoms headline a free concert at Ak-Chin Circle for Masik Tas. 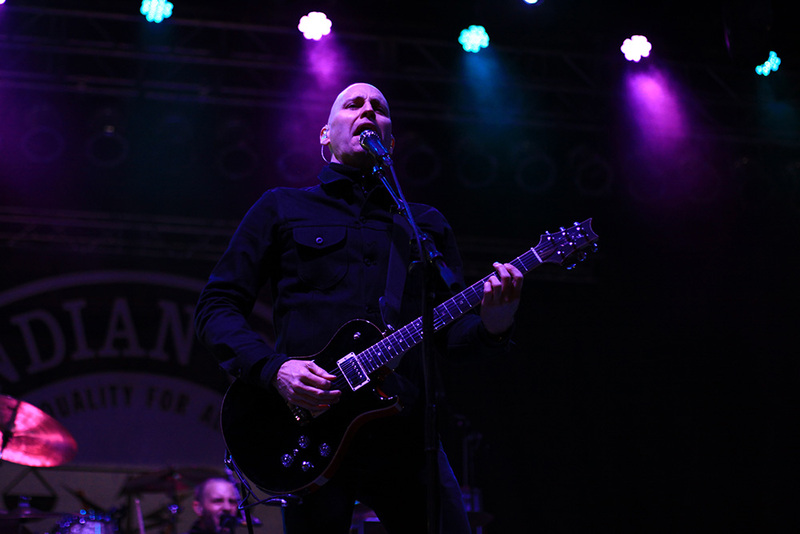 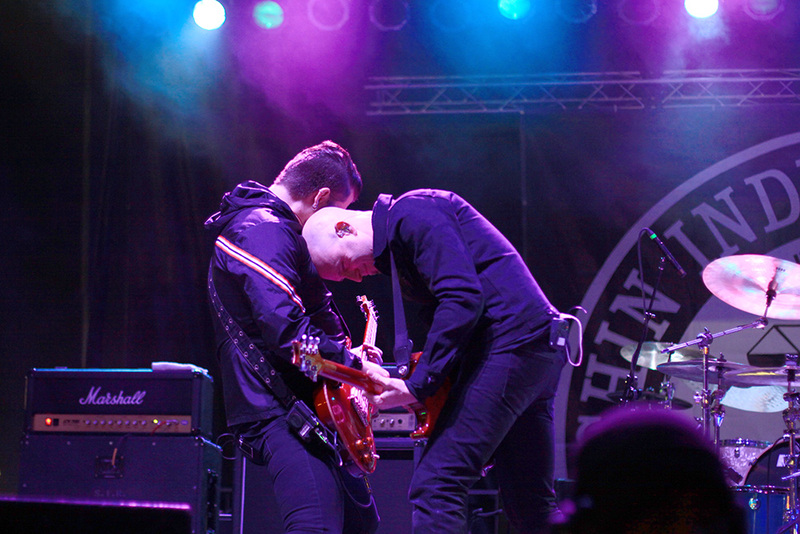 Gates open at 6 p.m. Vertical Horizon opens the show. When: Nov. 4, 3 p.m.
Maricopa’s premier music ensemble ushers in its 10th season with a free special event Nov. 4. 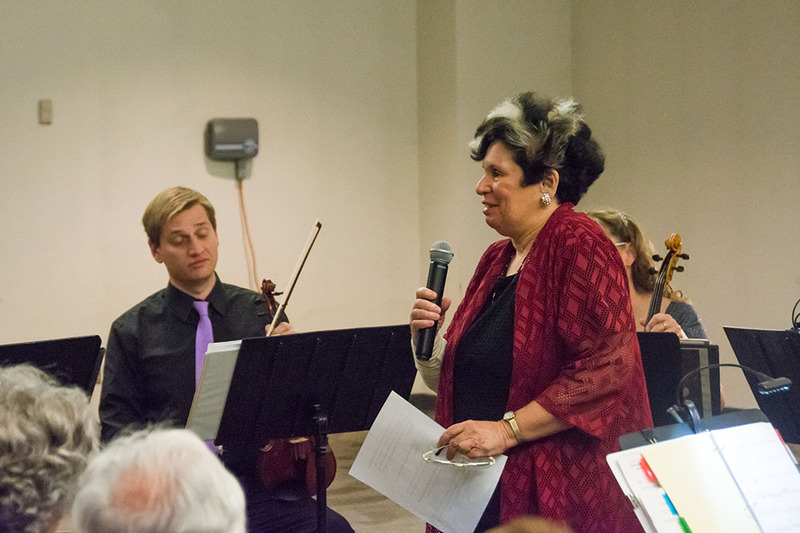 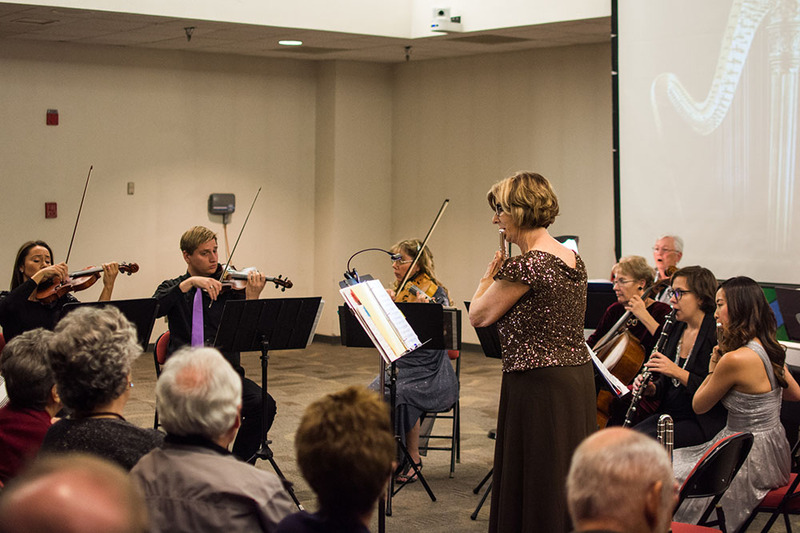 Maricopa Music Circle chamber orchestra’s “Autumn Musicale” is a fundraising event for the orchestra and includes both a concert and a silent auction of fine-art works on paper and canvas. 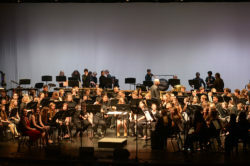 The concert’s theme riffs on the foliage’s perennial change of colors in fall. 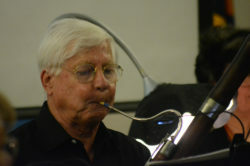 Composers often think of individual orchestral instruments in painterly terms, like expressions of a palette of colors with each instrument possessing its own color and degree of transparency or opaqueness (along with high or low range and other features). 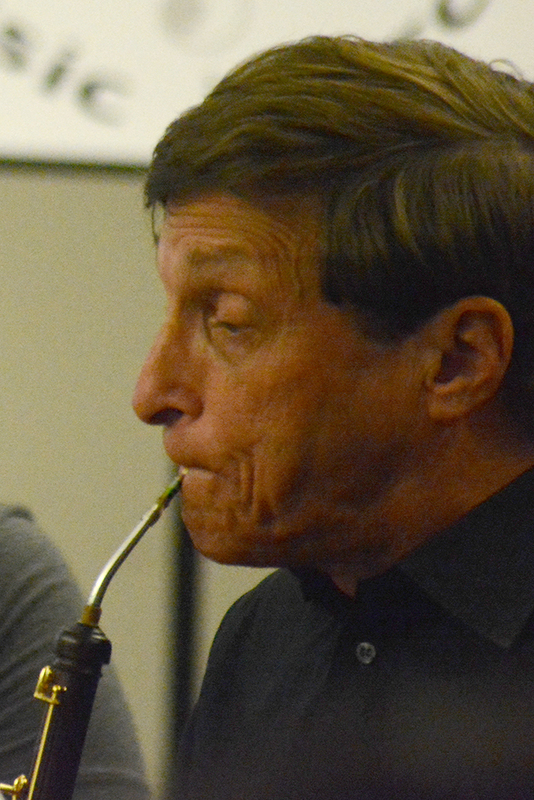 MMC’s “Autumn Musicale” will shed its spotlight on music for solo instruments and smaller ensemble combinations, along with music for the full ensemble. 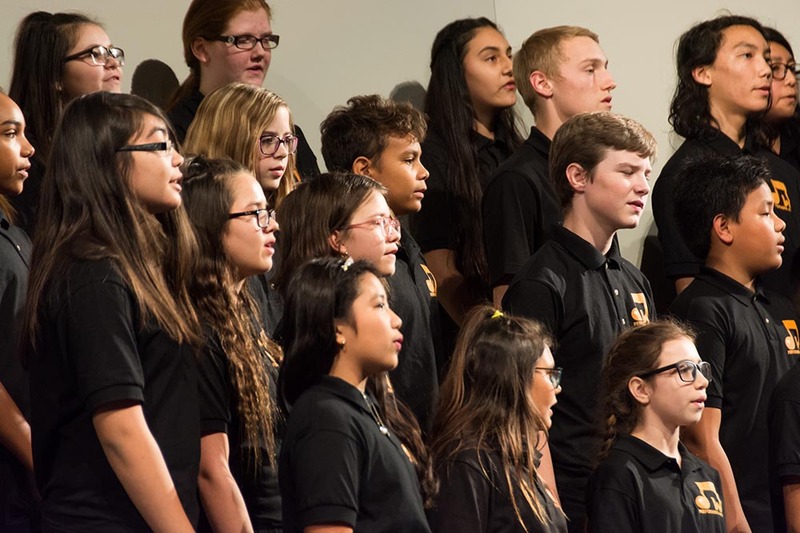 The natural pairing with the music will be the silent auction of fine-art works by established artists such as Colorado’s Sandy Day Selbert and several Maricopa-based artists. 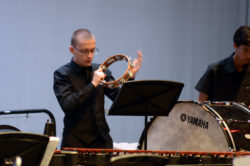 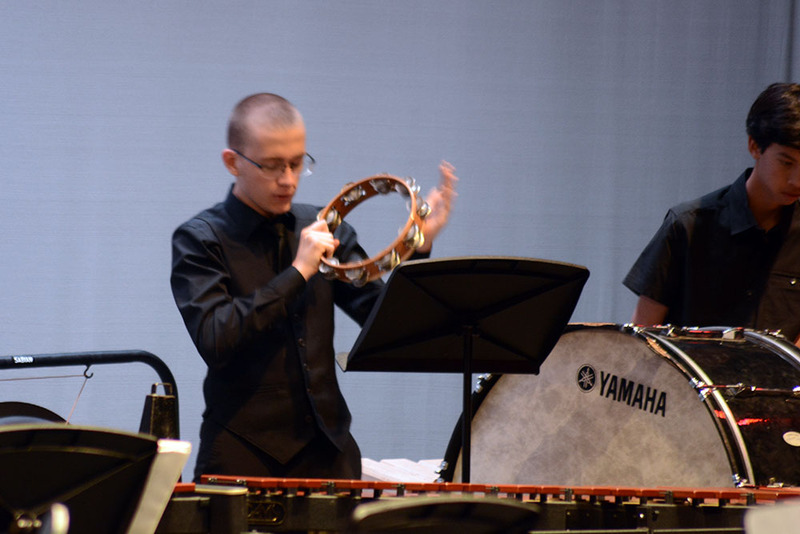 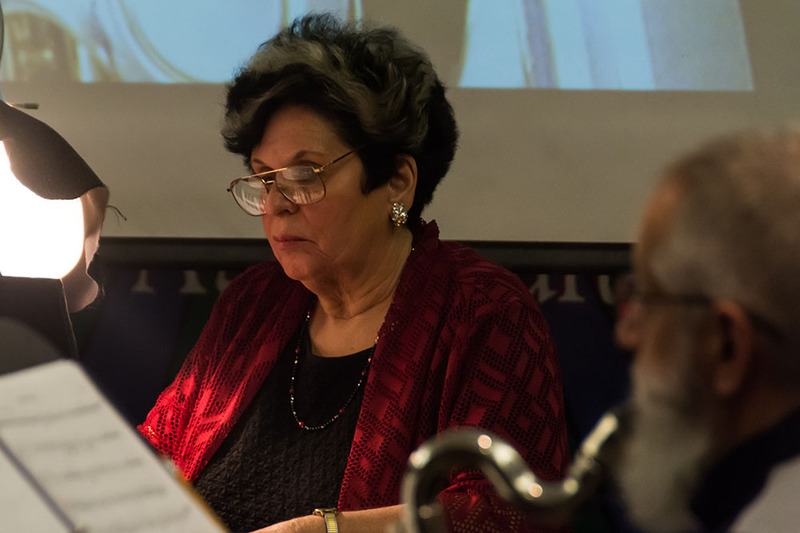 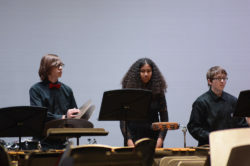 The concert highlights the individual artistry of MMC’s own dedicated musicians and includes several rarities – a newly-discovered work for viola and piano by Russian master Dmitri Shostakovich (an Arizona premiere) and a Mozart piece for glass harmonica now arranged for mixed quartet. 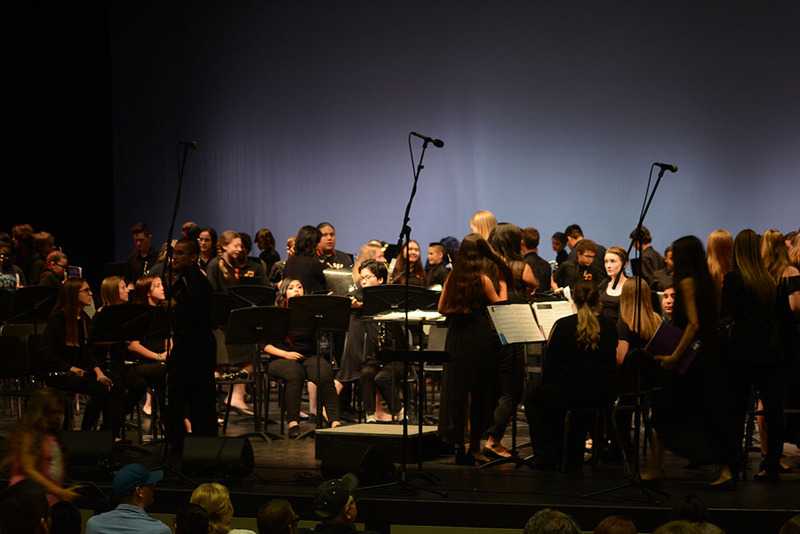 Other program music is by Glazunov, Bartok, Tchaikovsky, Bach and U.S. composers Edward MacDowell and Scott Joplin, the ragtime king. The free event includes a light reception. 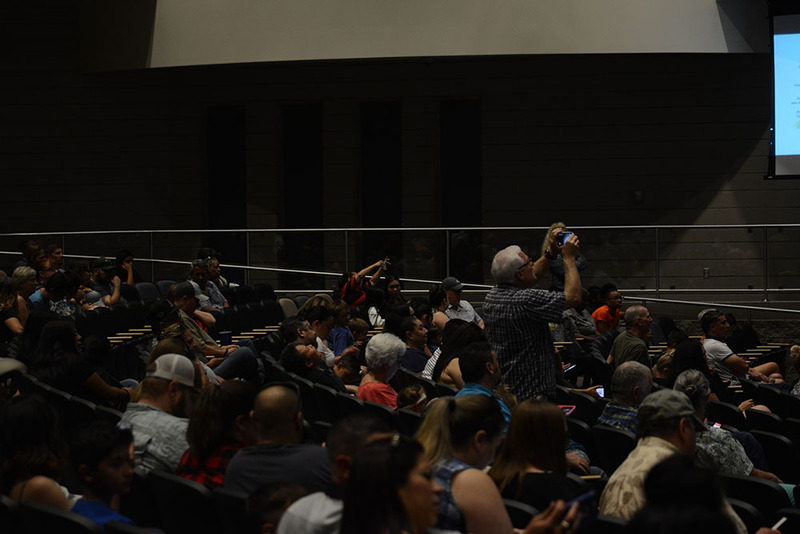 It will take place from 3 to 4:30 p.m. in Rancho El Dorado at 43356 W. Courtney Drive, where there is ample on-street parking. 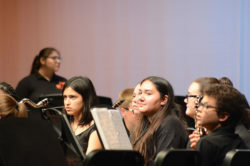 Desert Wind Middle School Orchestra participated for the first time in the ABODA (Arizona Band and Orchestra Director’s Association) Fall Orchestra Festival on Friday. 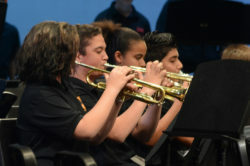 The event was at Campo Verde High School in Gilbert. 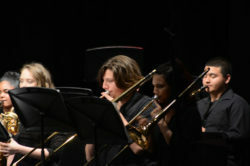 Desert Wind Orchestra gave a quality performance and earned praise for their fundamental skills and energy. 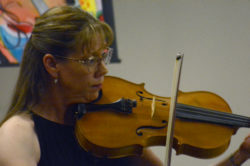 They received excellent feedback for continuing to develop technique for beginning and intermediate players. These sixth, seventh and eighth grade students followed their performance with a clinic from Cindy Petty, the artistic director and conductor of the East Valley Youth Symphony, artistic director and conductor of the Oregon Arts Orchestra, and managing director of Concert Productions for Music Celebrations International. The clinic focused on continuing to develop fundamental skills in intonation and styles of bowing. 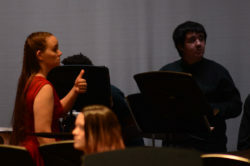 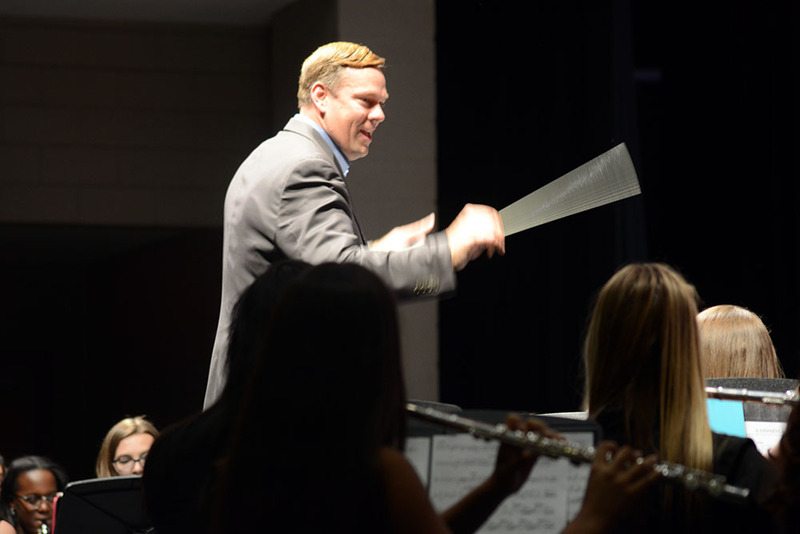 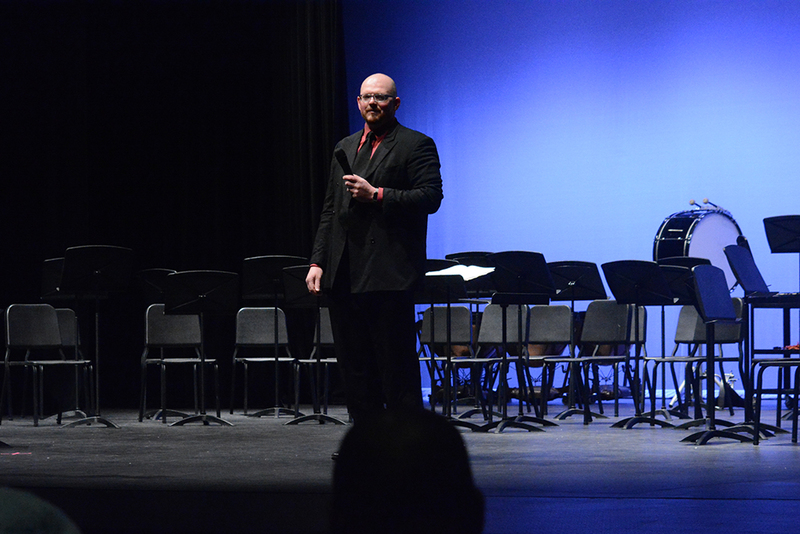 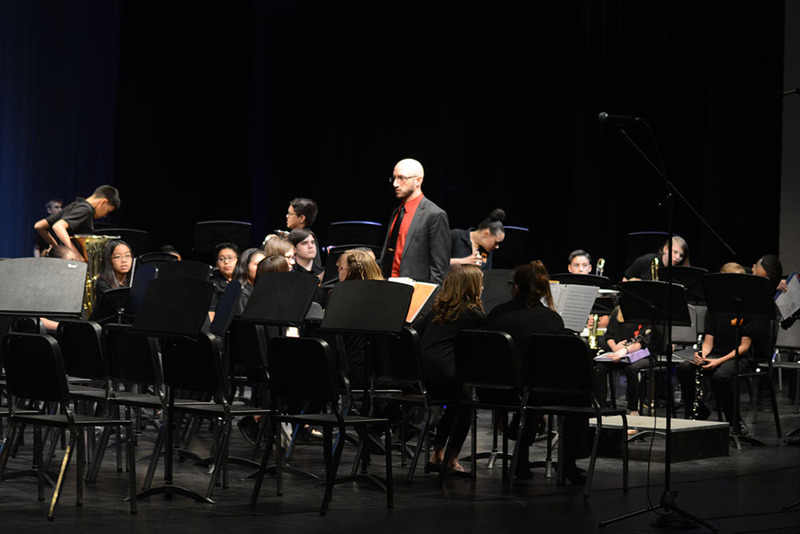 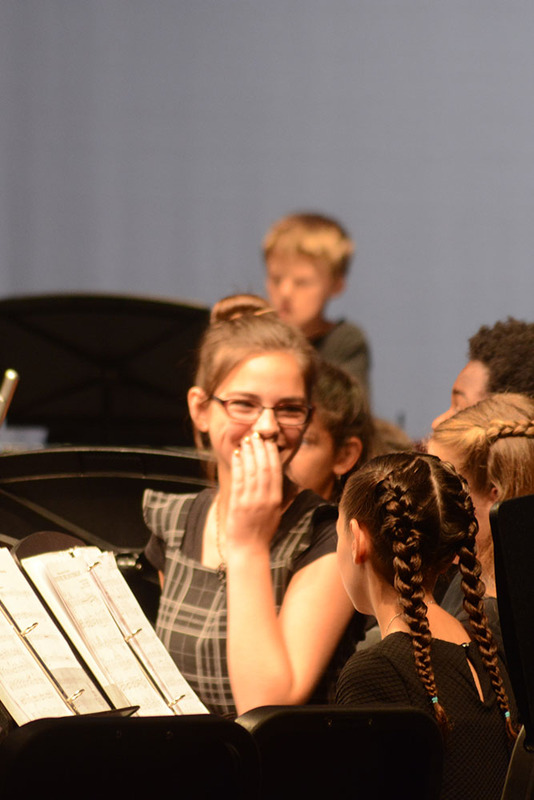 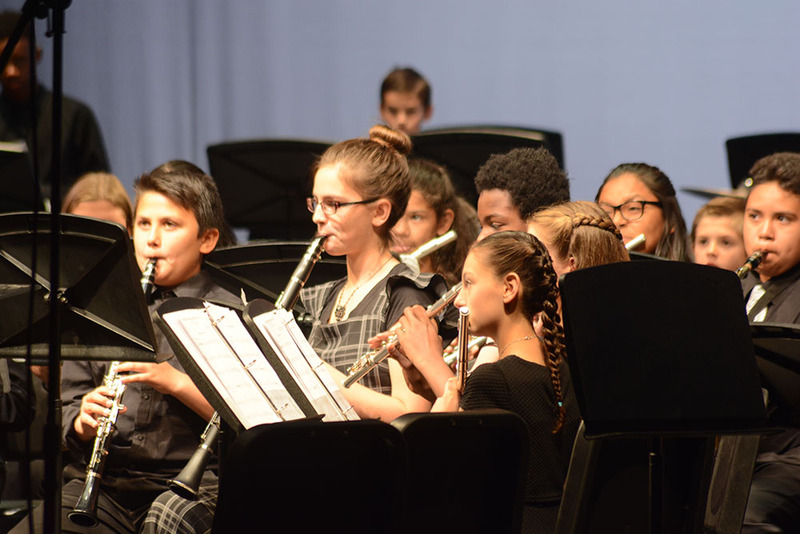 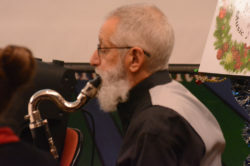 Roger Wagner, Desert Wind Orchestra director, received direct feedback on what students were doing well and what to continue to focus instruction on. In addition to their performance, Desert Wind Orchestra was able to listen to Maricopa High School Chamber Orchestra’s performance. 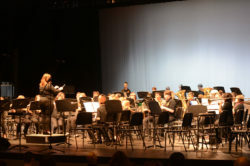 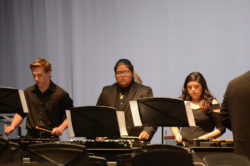 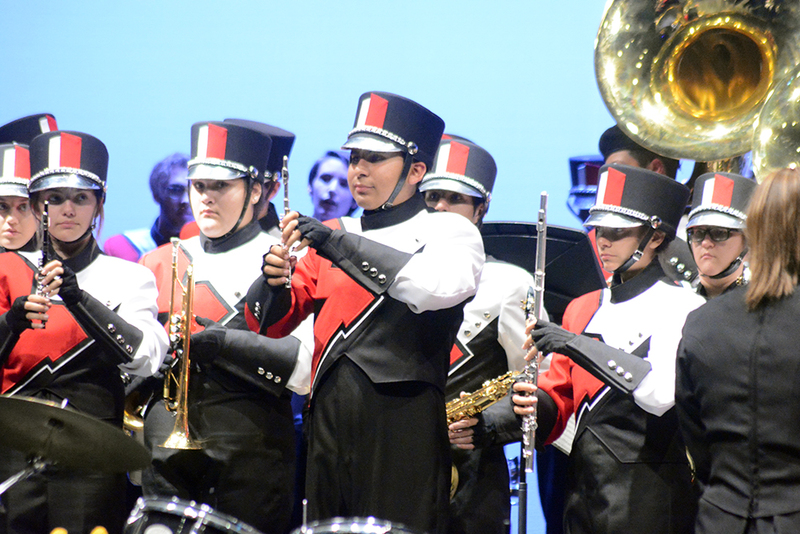 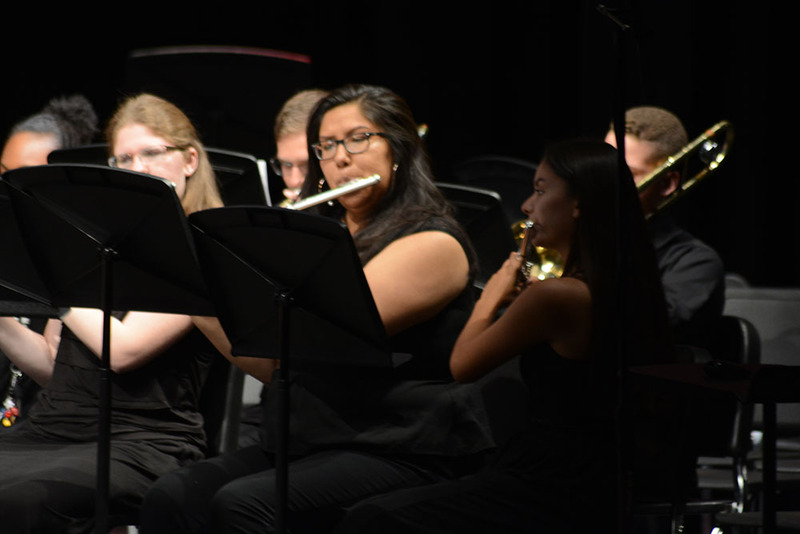 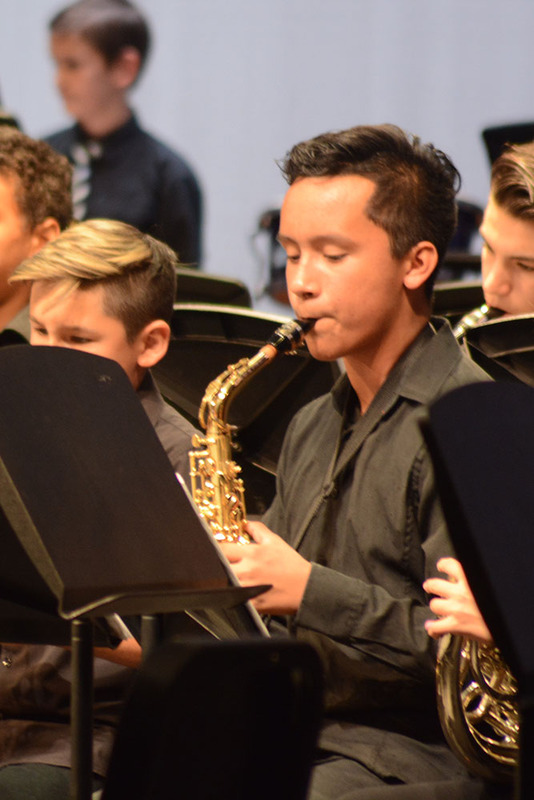 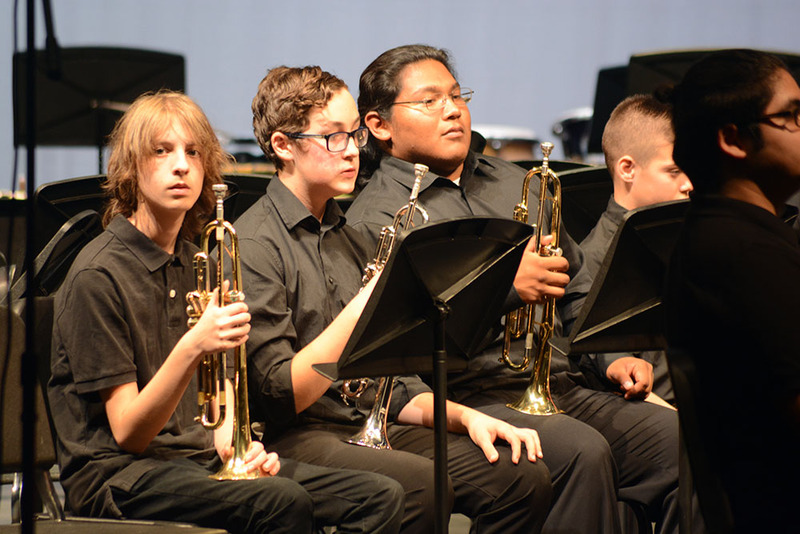 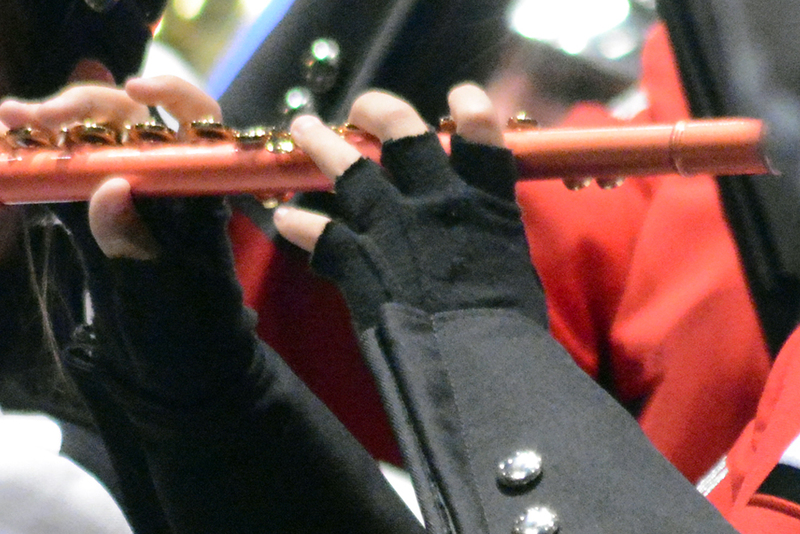 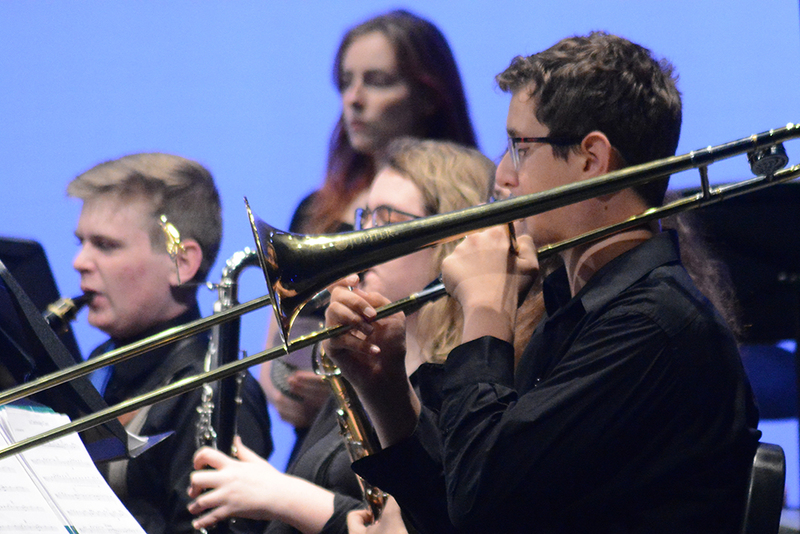 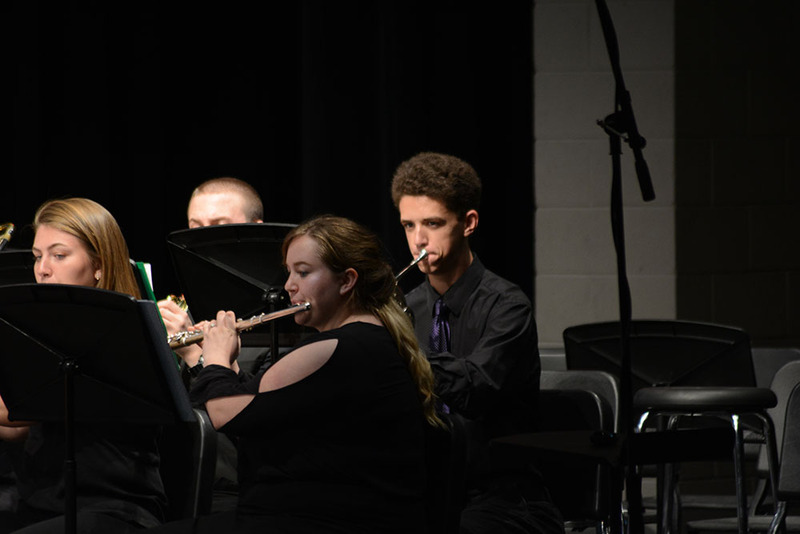 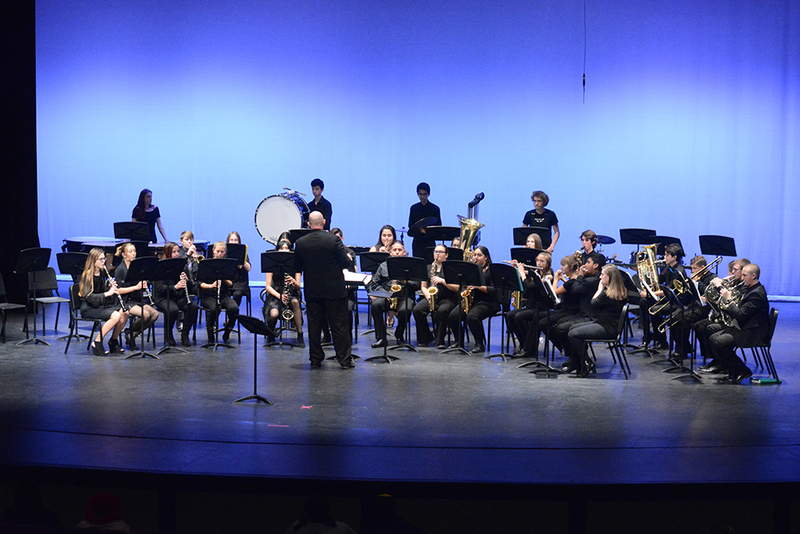 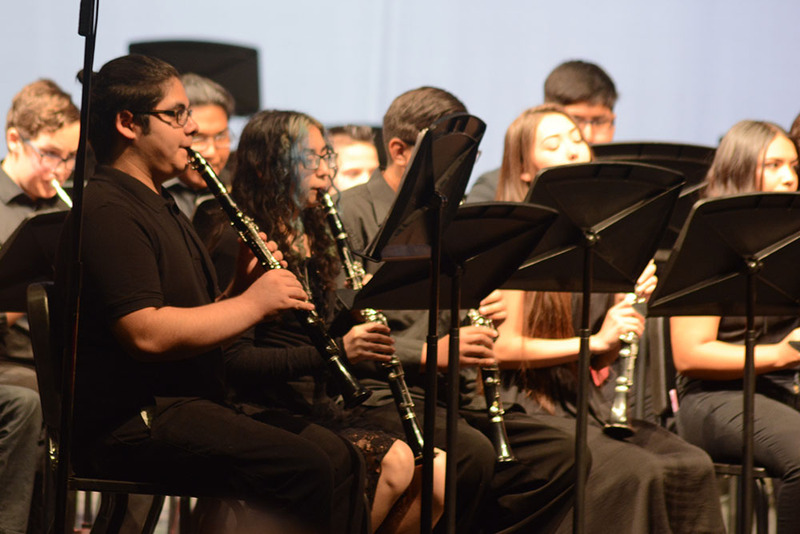 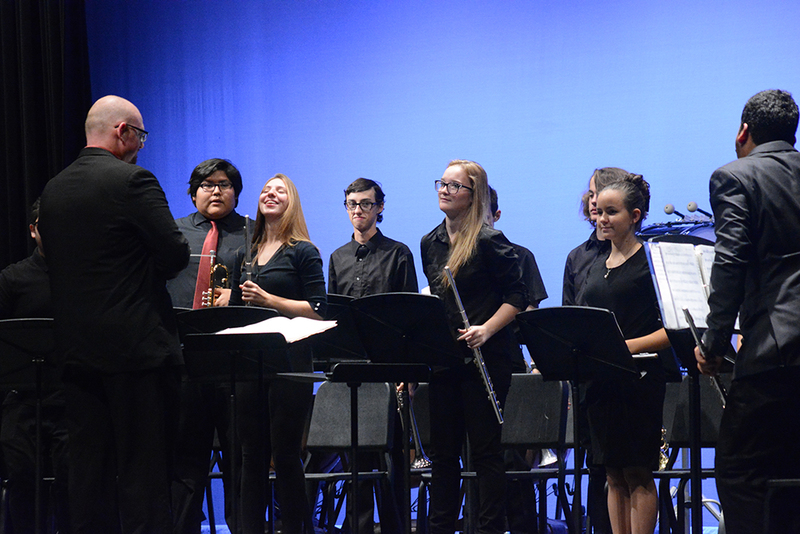 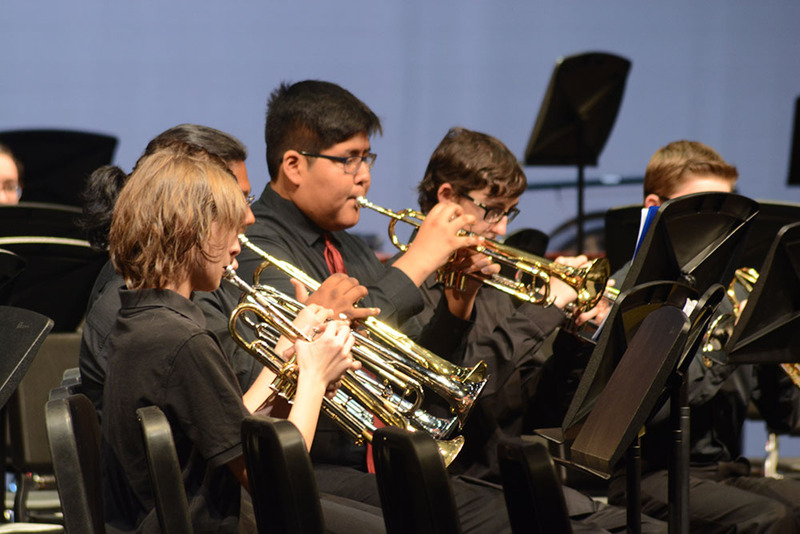 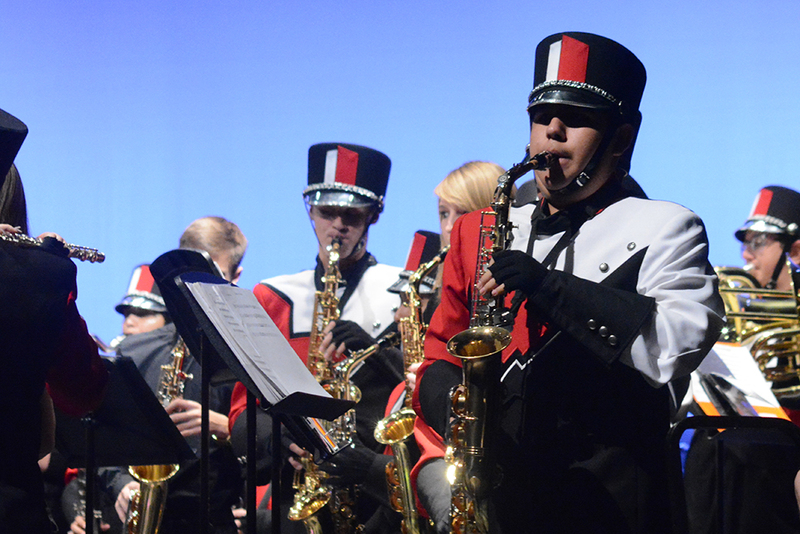 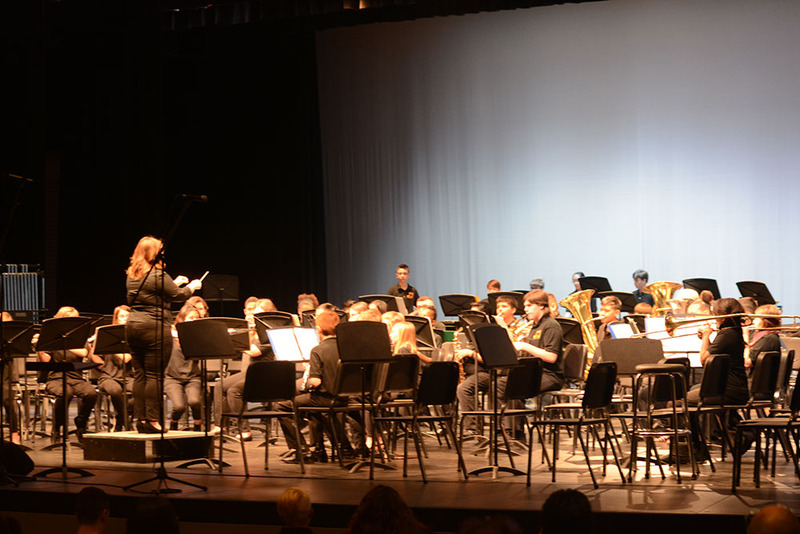 Orchestra will be joining Tiger Band and Symphonic Band for the Desert Wind Winter Instrumental Music Concert on Thursday, Nov. 15, at 7 p.m. in the Maricopa High School Performing Arts Center. 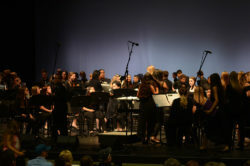 The first concert of the year will feature a reprise Orchestra’s music prepared for Fall Festival. 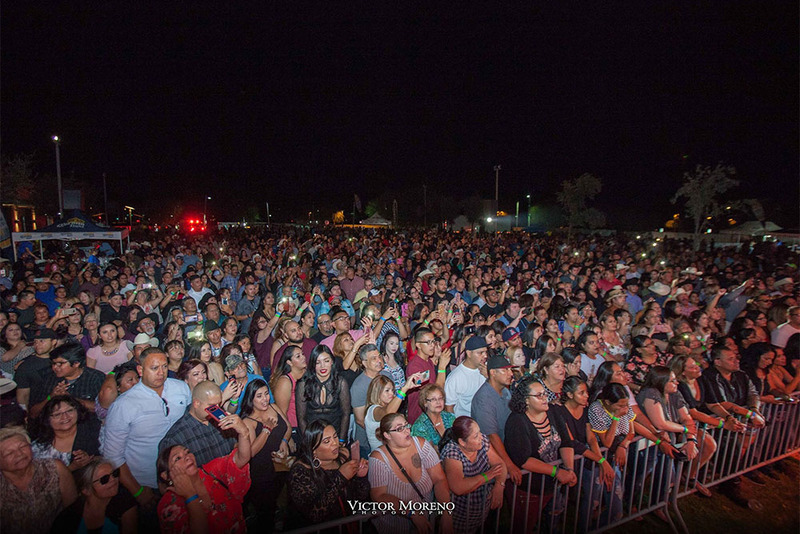 Admission is free, but the memories are priceless. 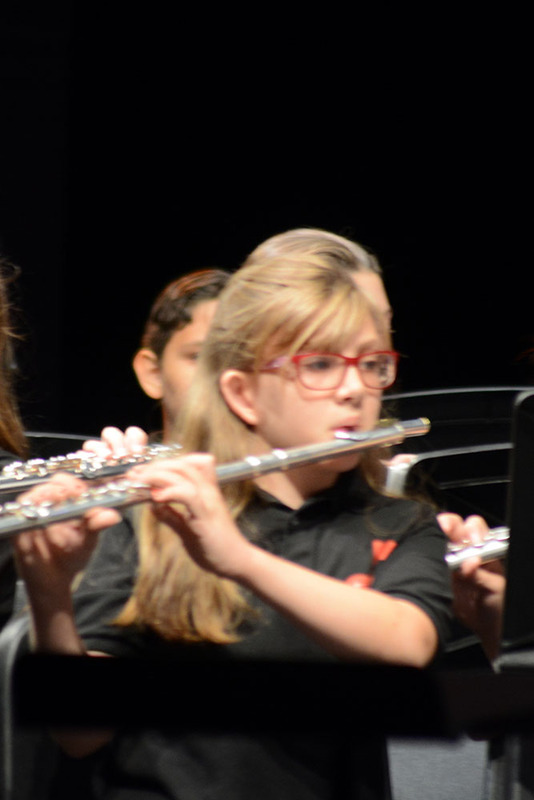 Thank you for supporting Desert Wind Performing Arts. 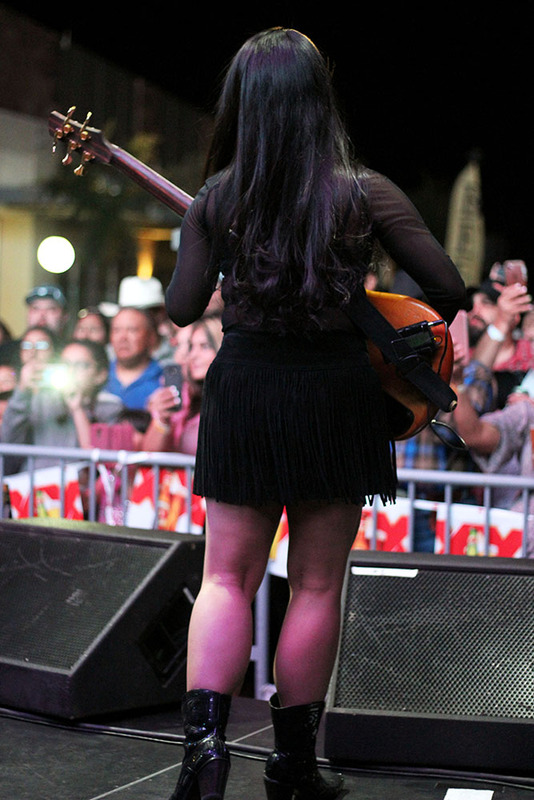 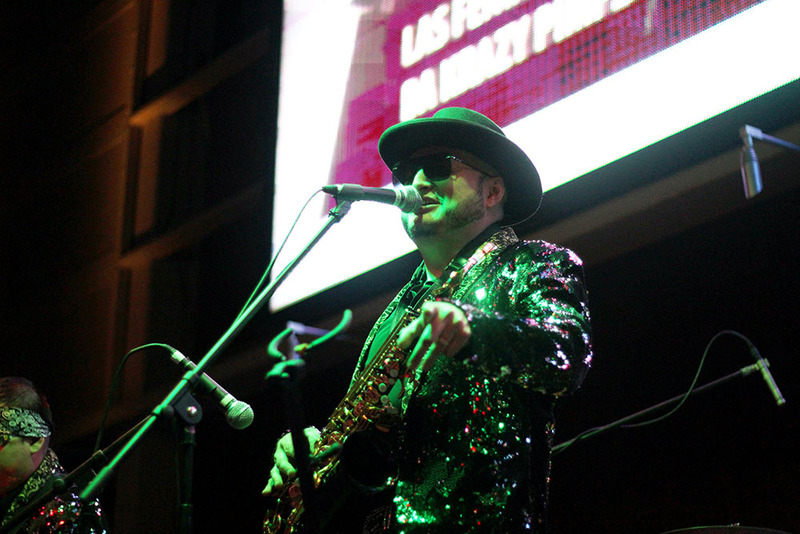 There was a packed amphitheater for Grammy-winner Ramón Ayala on Saturday, but his oldest fans may have been his most enthusiastic. 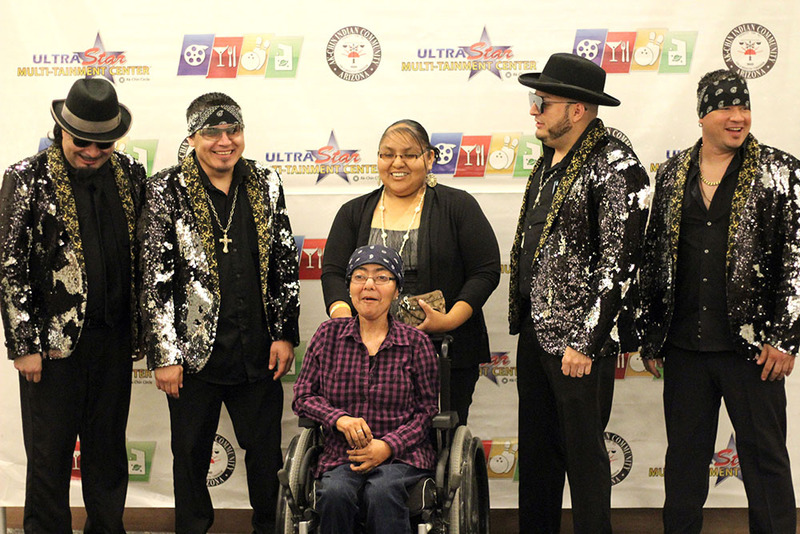 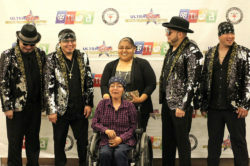 Joseph and Jeni Zozaya of Cottonwood were surprised with a trip to the concert at UltraStar Multi-tainment Center by daughter Veronica Martinez, who lives in North Phoenix. 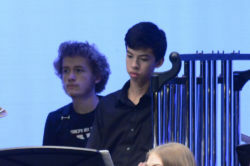 But it was more than just attending a concert. 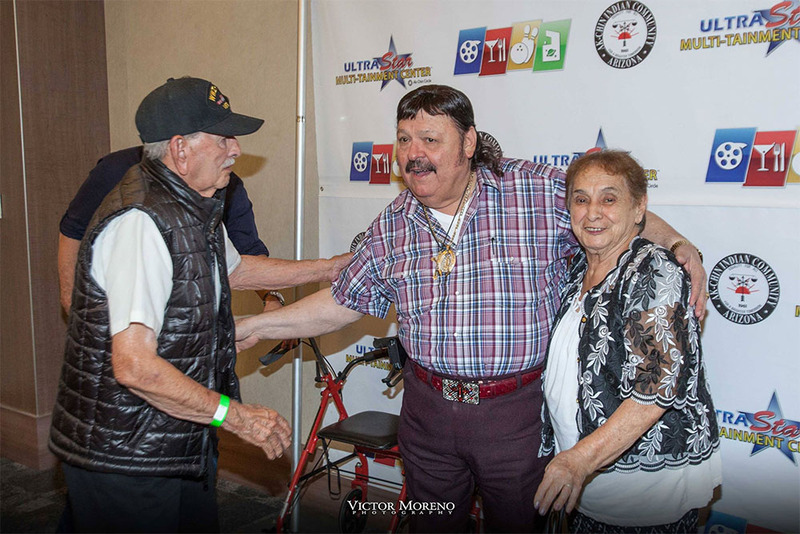 Jeni, 88, and Josef, 92, were invited to a personal meet-and-greet with the Norteño star. 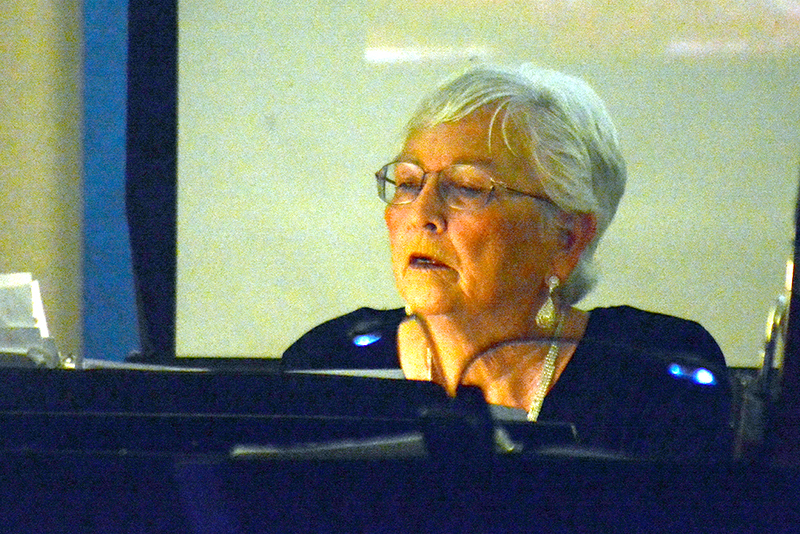 A fan of his music since he came on the scene in the 1960s, Jeni said her favorites are among his new music. 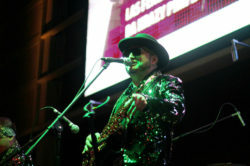 He has recorded more than 100 albums. 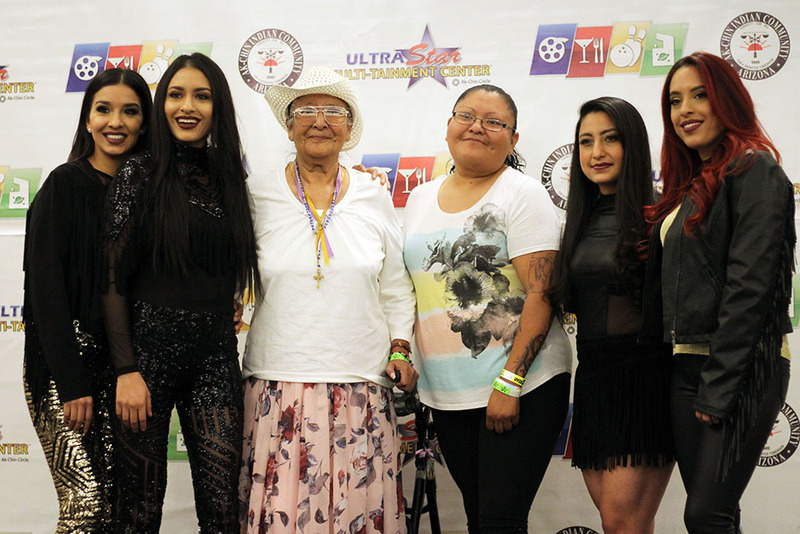 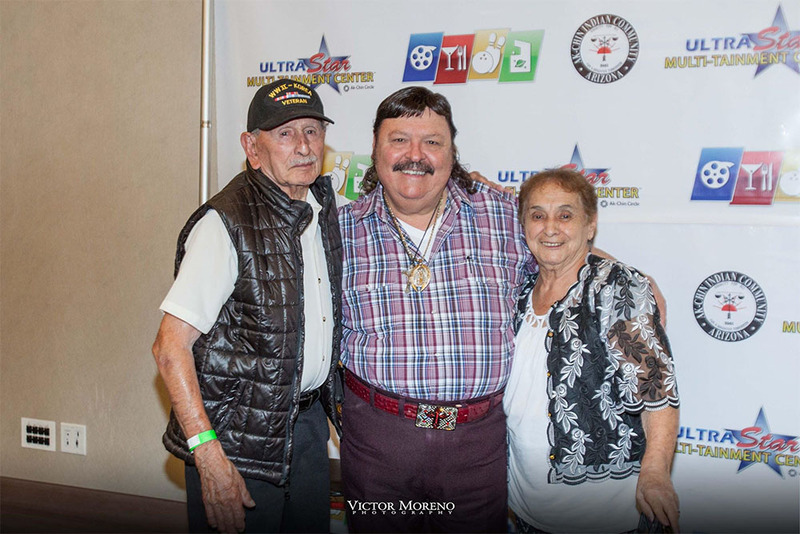 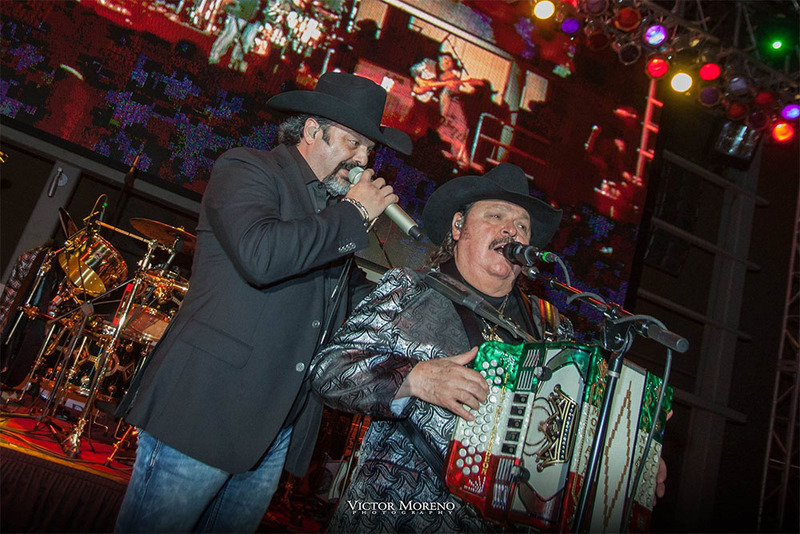 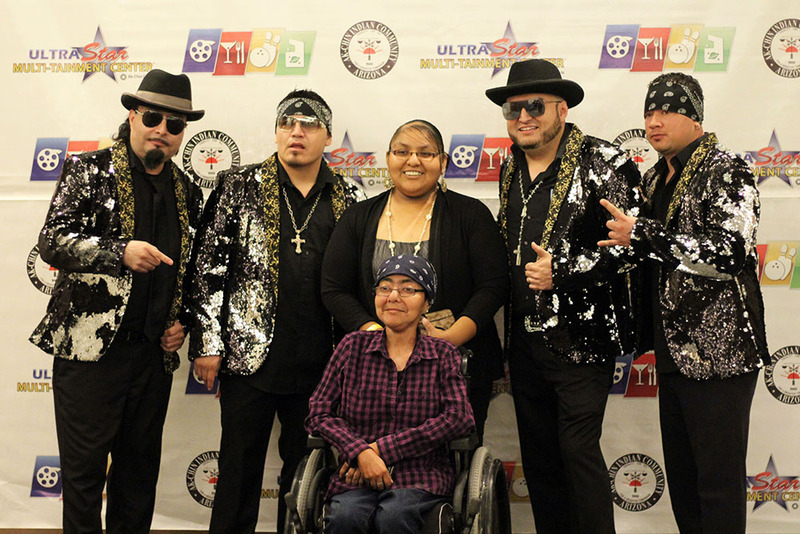 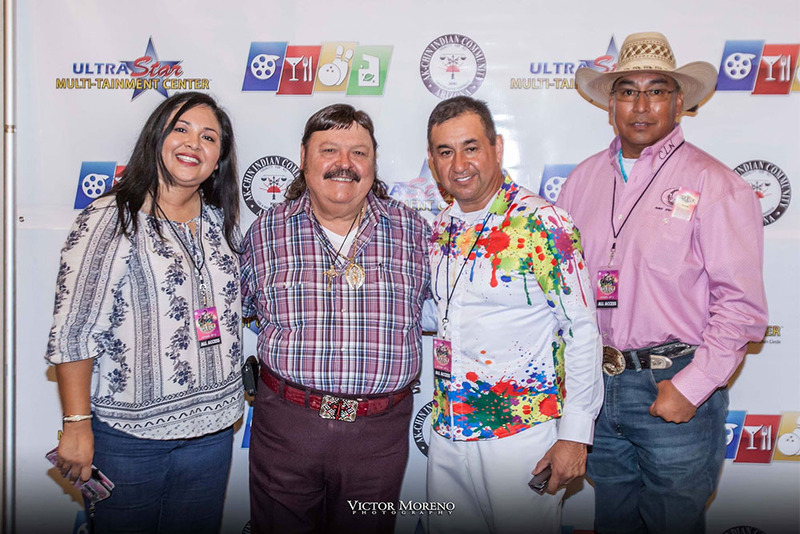 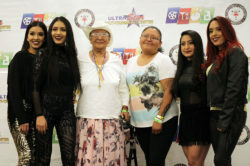 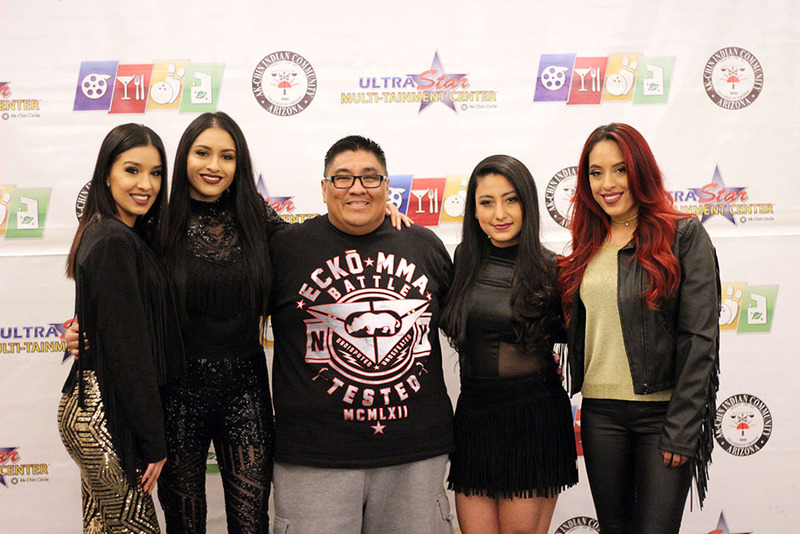 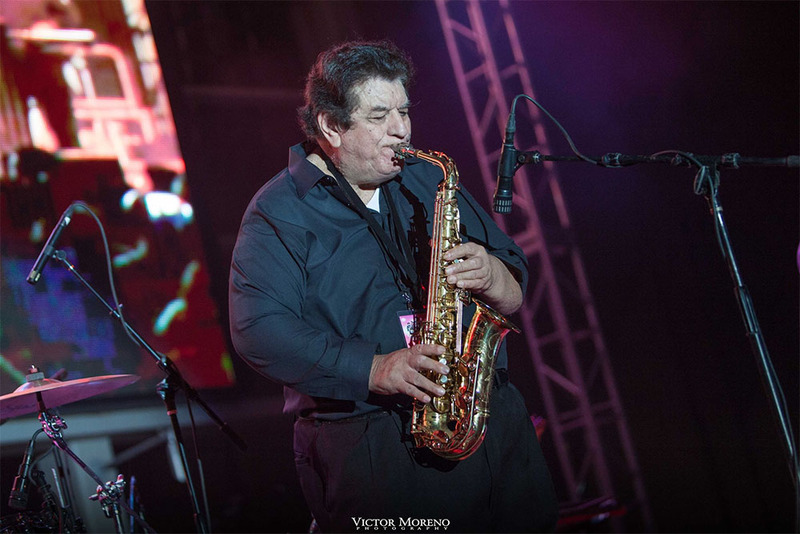 Delia Velasco, a human resource training specialist at UltraStar, had given Martinez information about the concert and then told the marketing department the Zozayas’ story to see if something special could be arranged, especially because Josef is a World War II veteran. 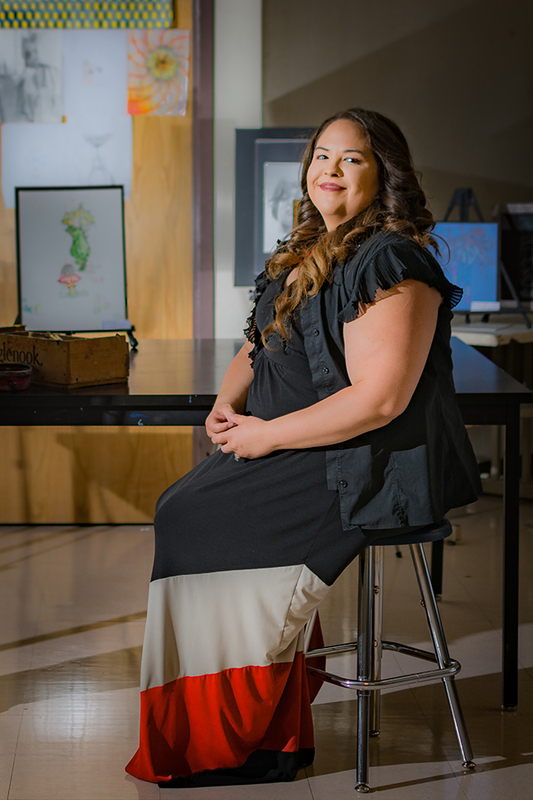 Originally from Flagstaff, Jeni met Joseph there after the war, when he came to town looking for a job. 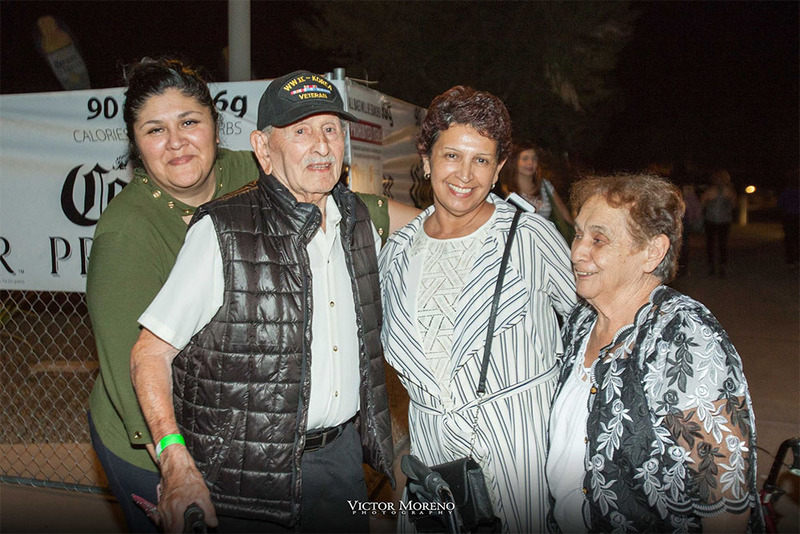 They wed in 1947 and have been married 71 years. 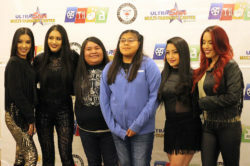 Martinez said she was “in shock” when she received a phone call telling her a meet-and-greet had been arranged with the Mexican star. 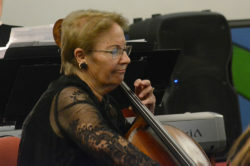 Jeni Zozaya said Josef doesn’t hear well in crowds but enjoyed the whole experience. 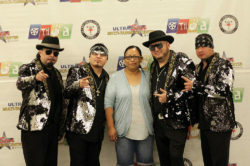 She said Ayala still looks good. 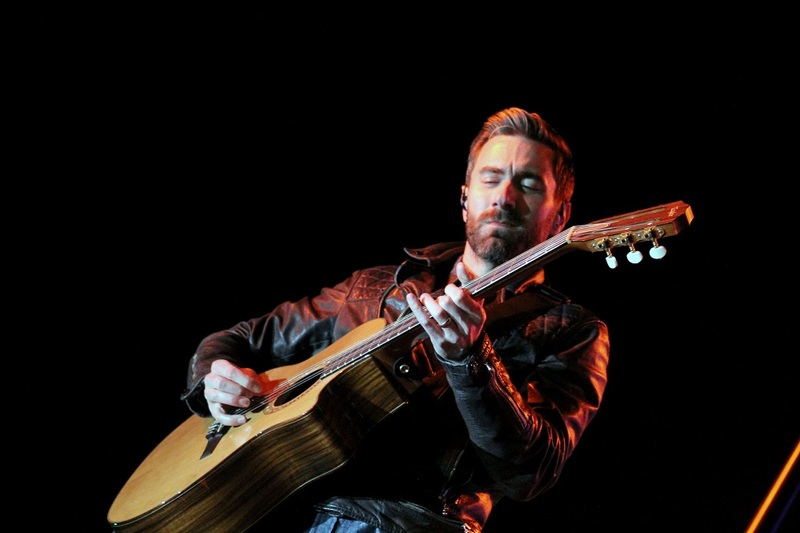 The last time she saw him, she said, was when she lived in California and he had a beard and long hair. 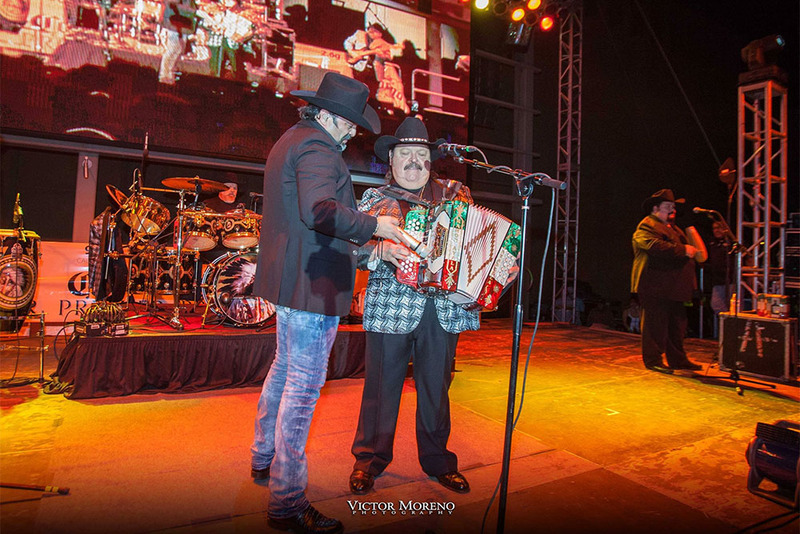 “When he met him, Dad stood there and just talked about his music and how he enjoys it,” Martinez said. 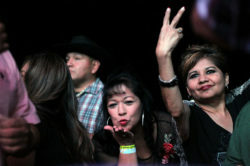 The music of Ayala, who will be 73 in December, is a bonding experience for the family. 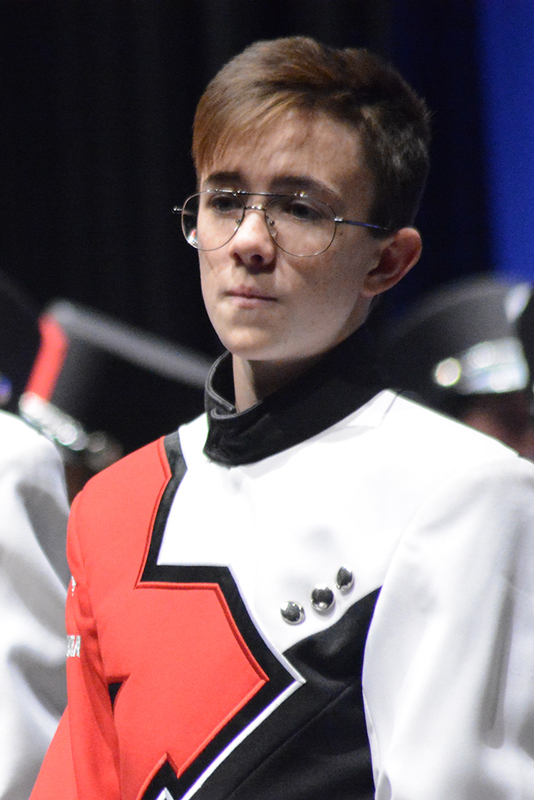 If Jeni’s in the car, there’s a good chance someone has his music playing. Martinez keeps his music on her phone, too. 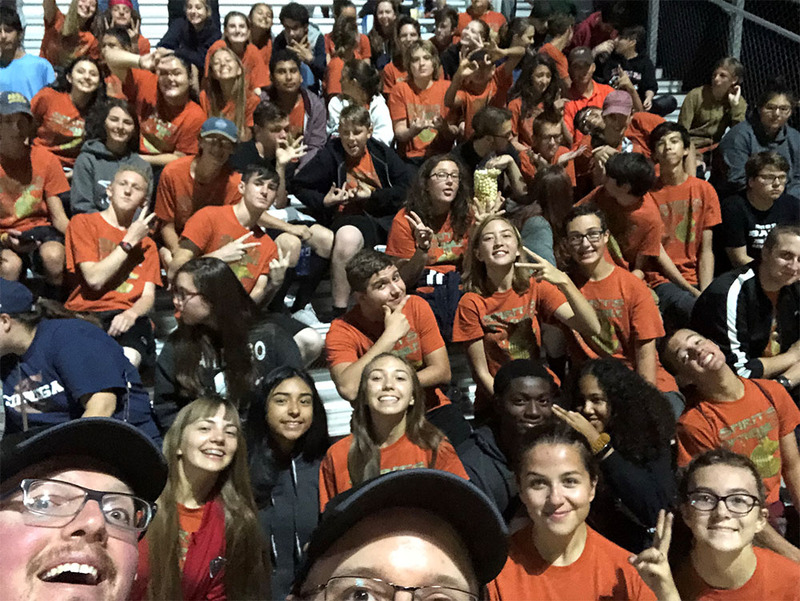 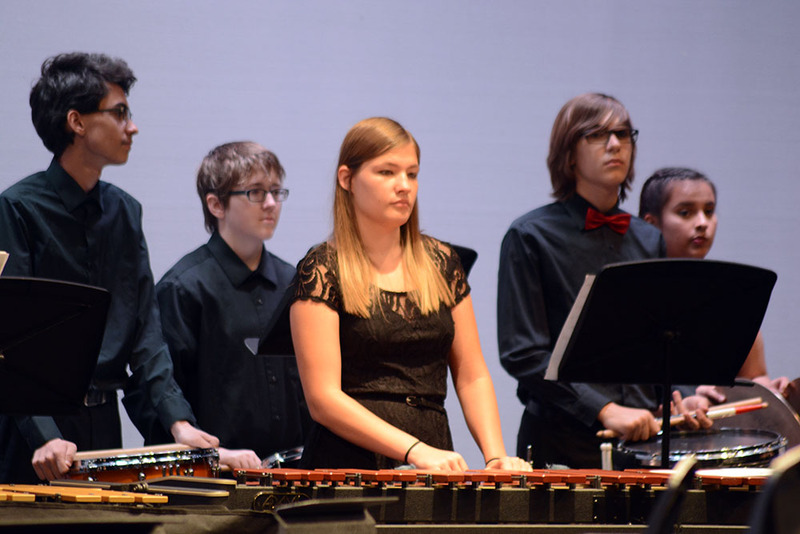 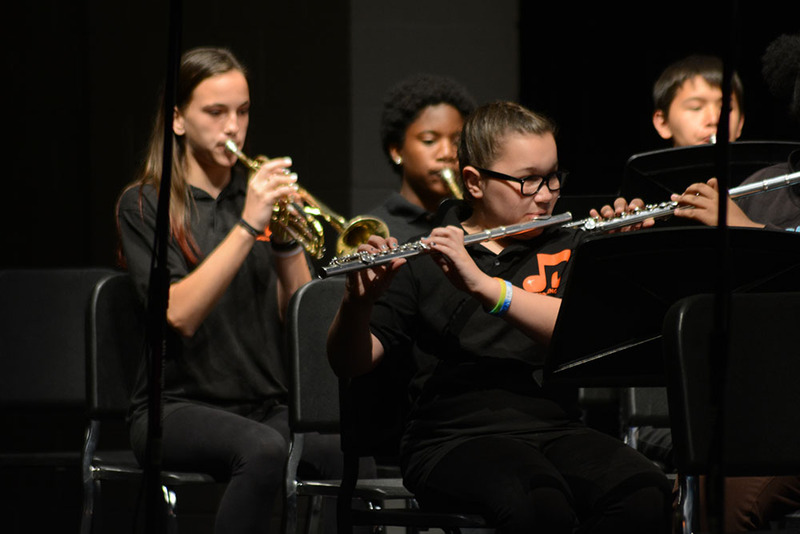 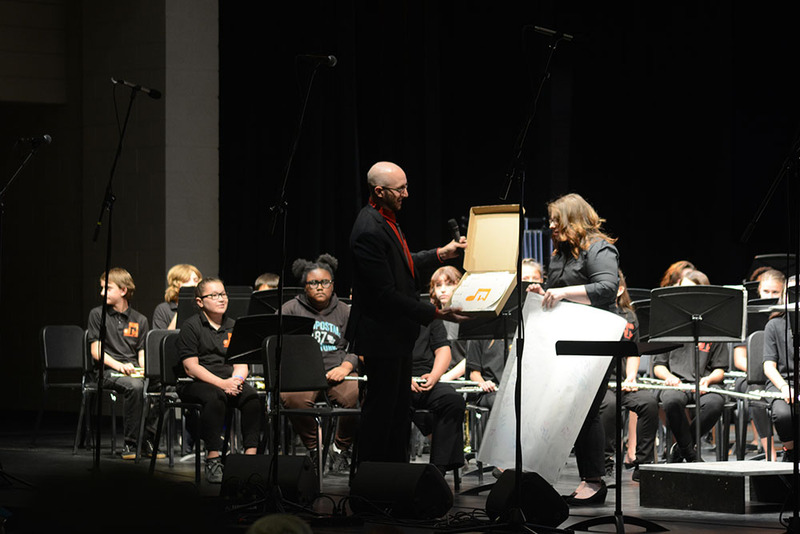 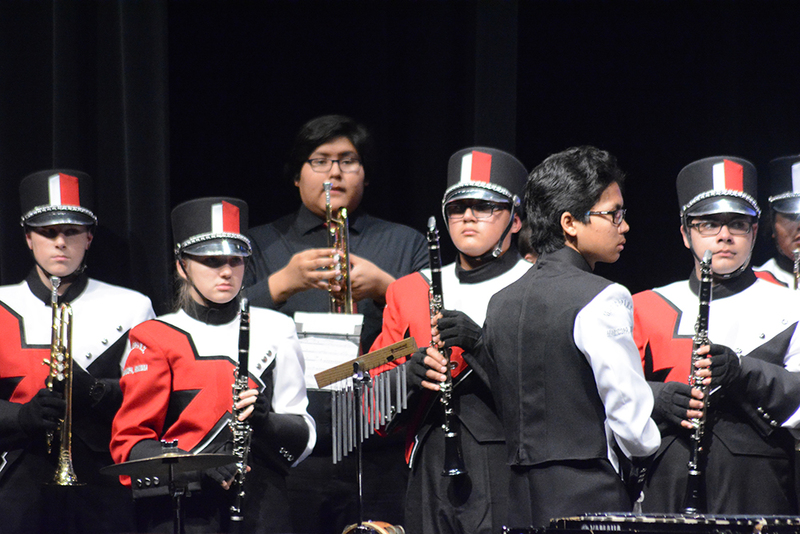 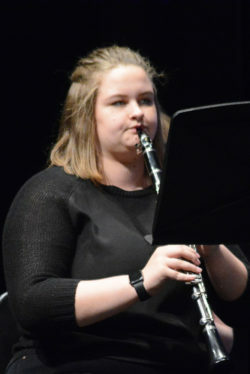 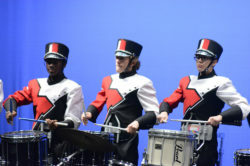 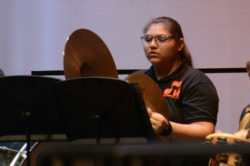 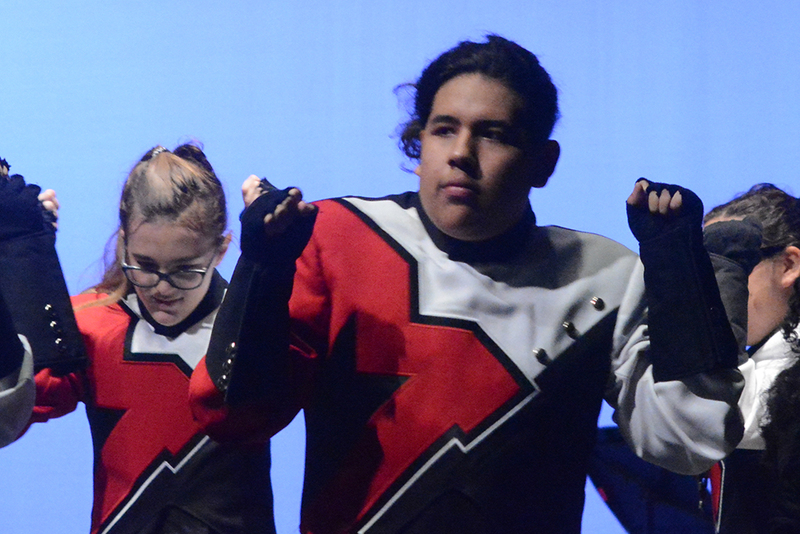 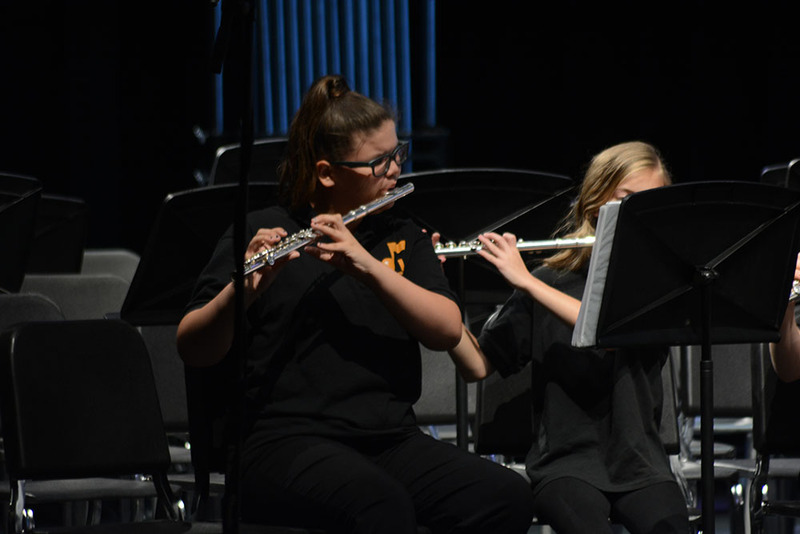 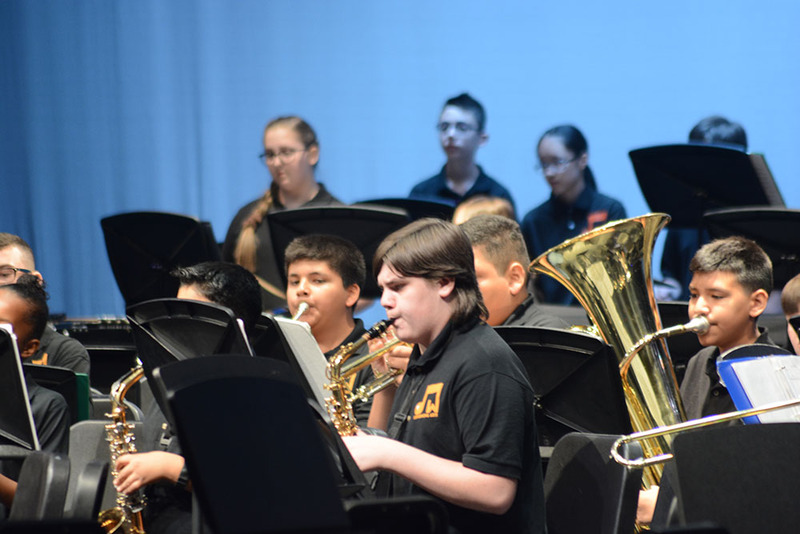 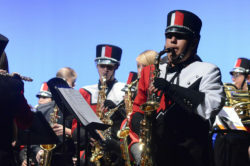 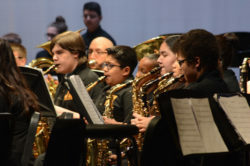 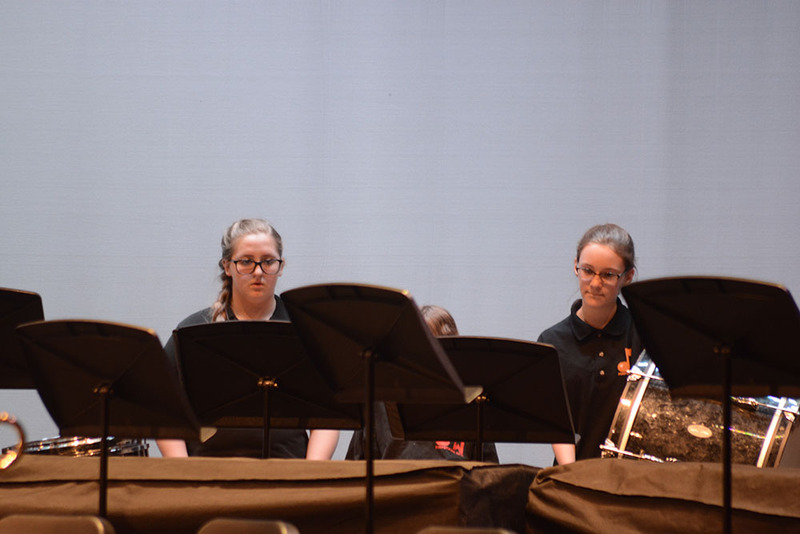 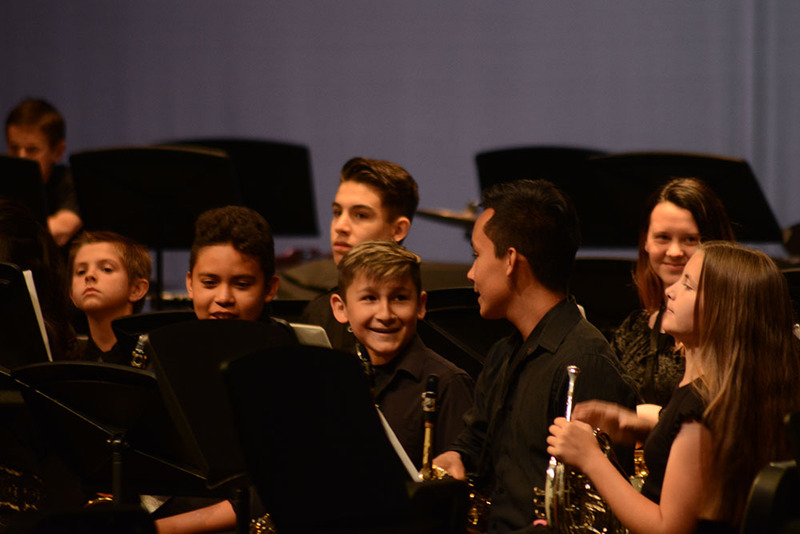 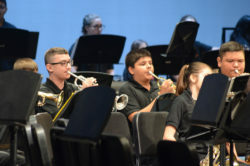 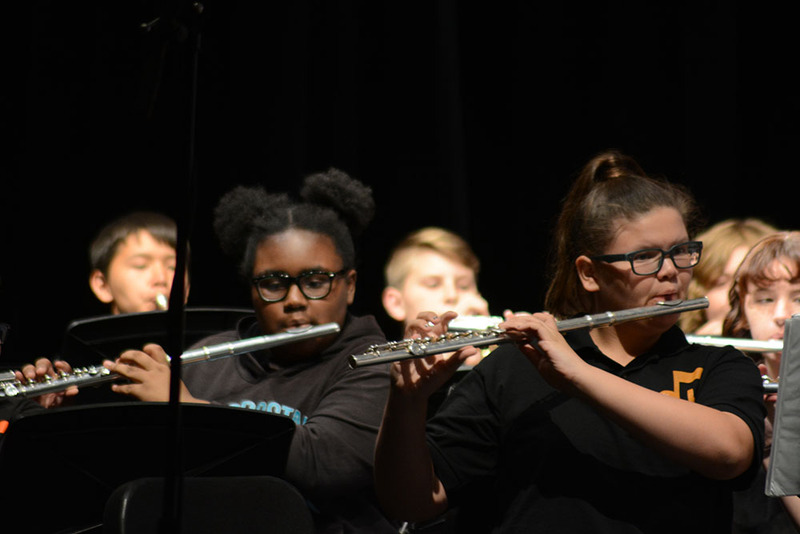 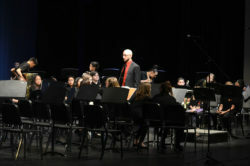 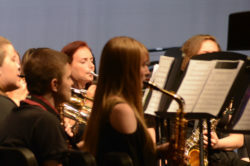 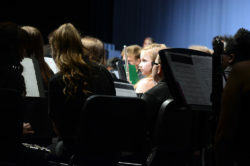 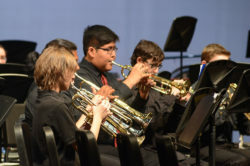 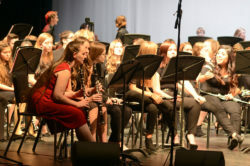 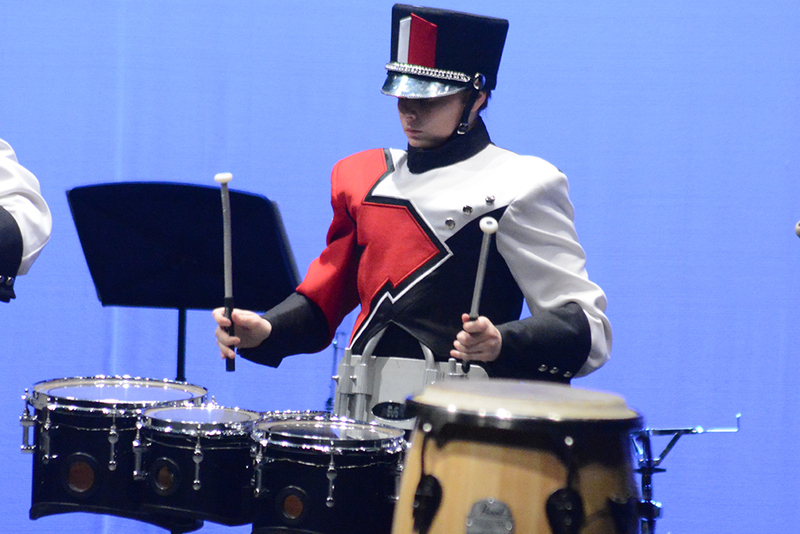 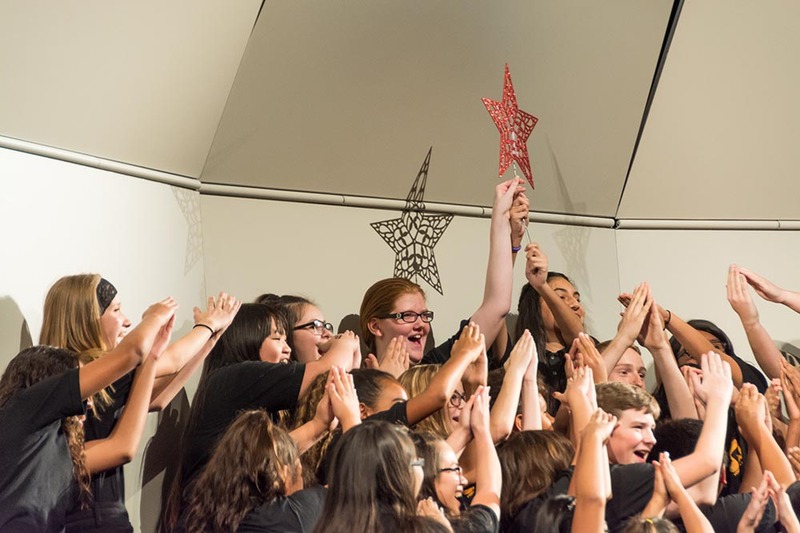 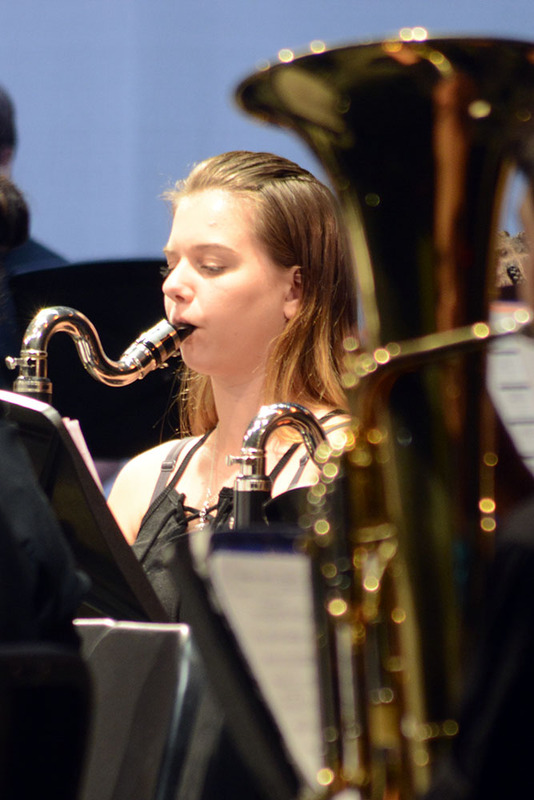 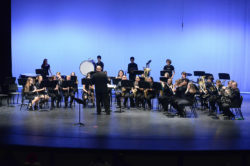 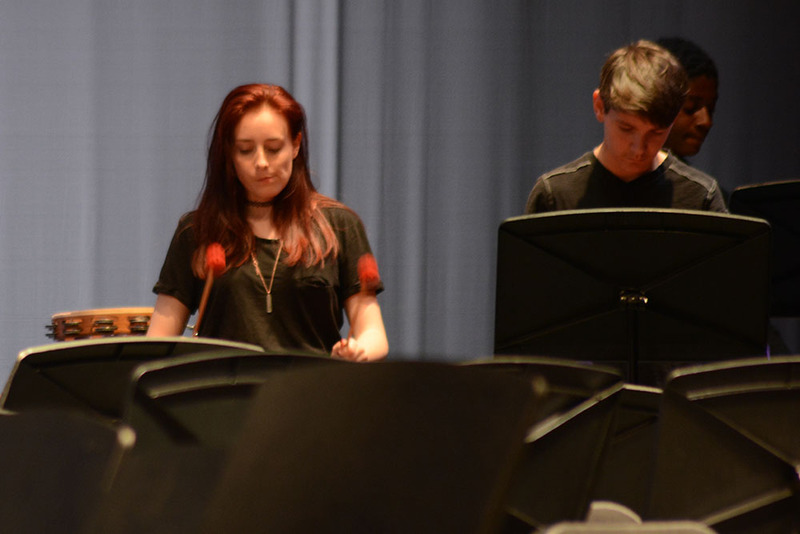 The fourth annual Music-a-Thon at Maricopa Unified School District filled the Performing Arts Center with music for seven hours Saturday. 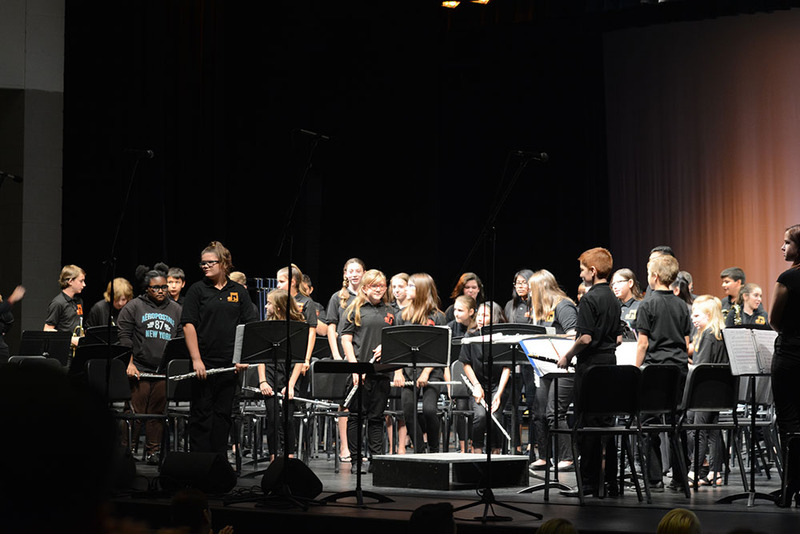 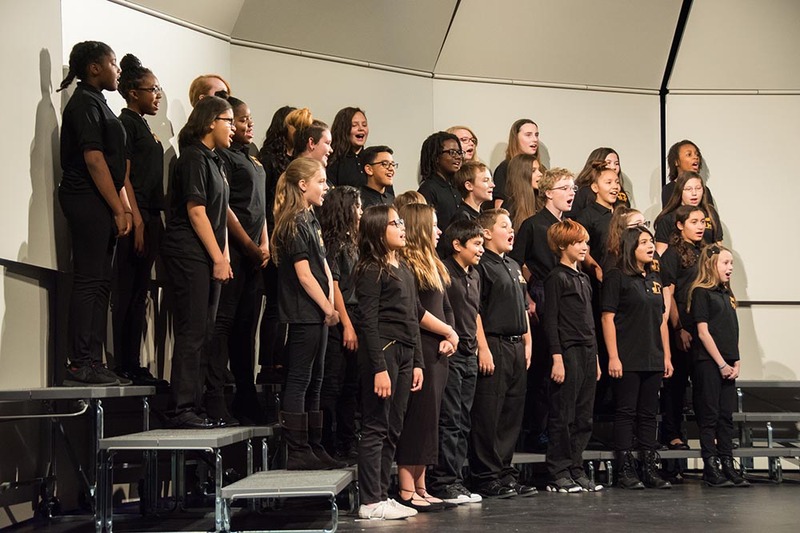 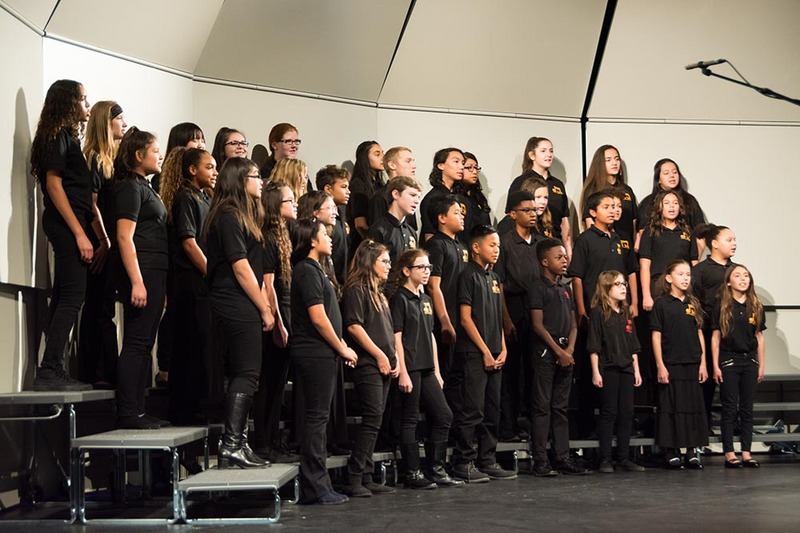 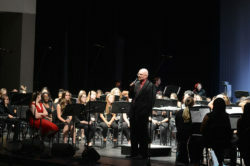 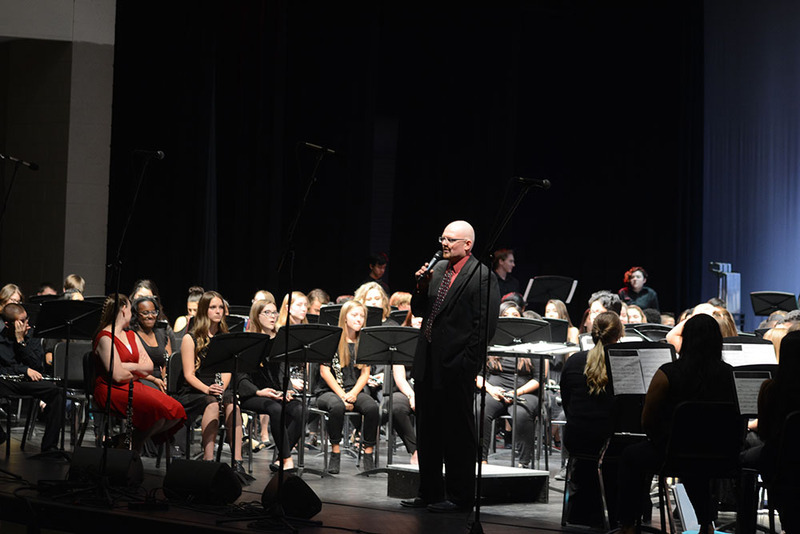 Bands and choirs from Maricopa High School, Desert Wind Middle School and Maricopa Wells Middle School performed from 1 to 8 p.m., directed by Ivan Pour, Tonya Hobt and Roger Wagner, along with guest conductor Mayor Christian Price. 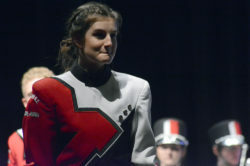 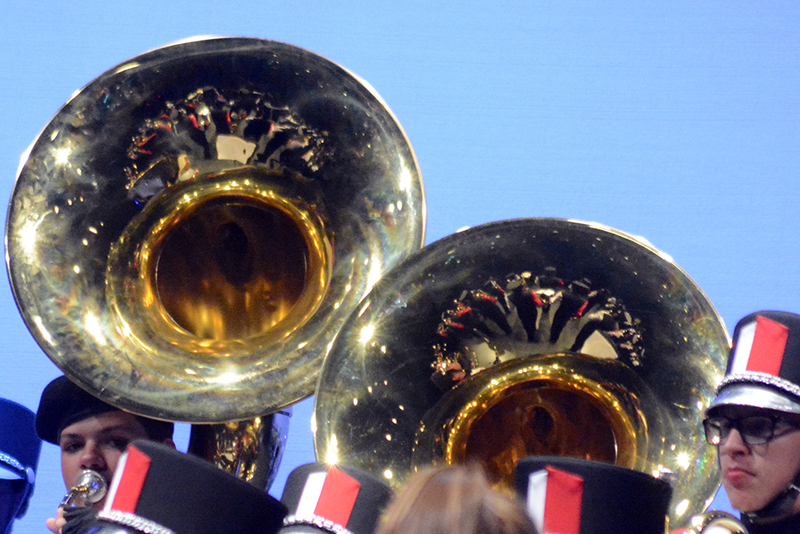 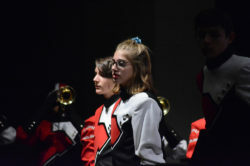 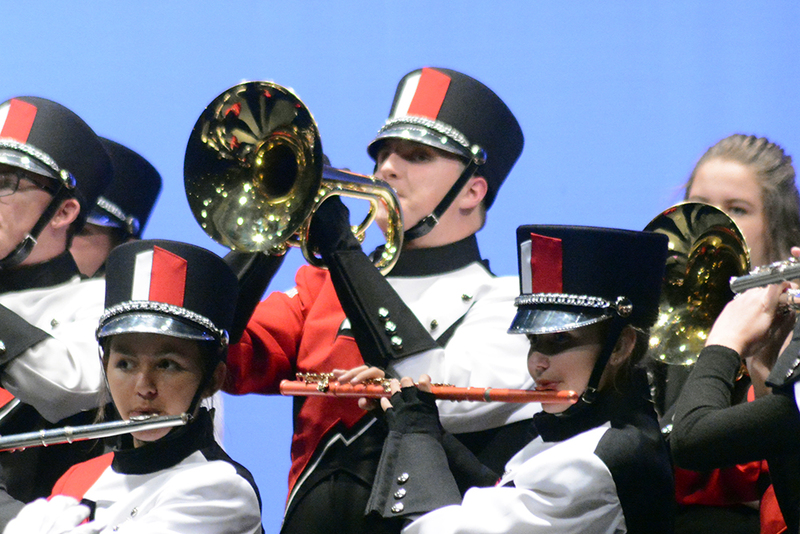 The MHS Marching Band has been invited to perform in the American Veterans Center’s National Memorial Day Parade in Washington, D.C., May 27, 2019. 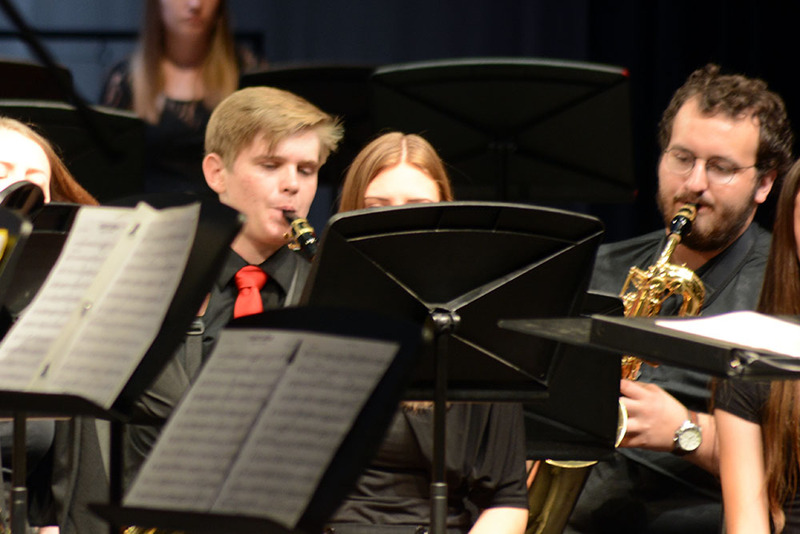 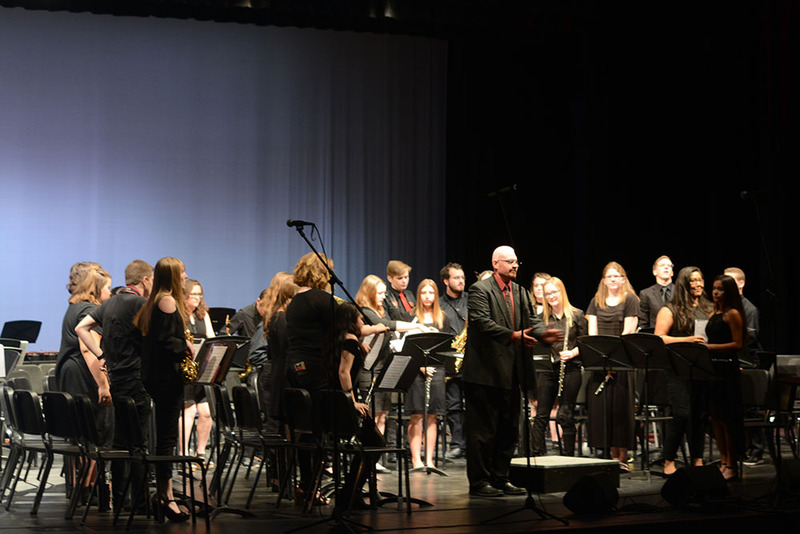 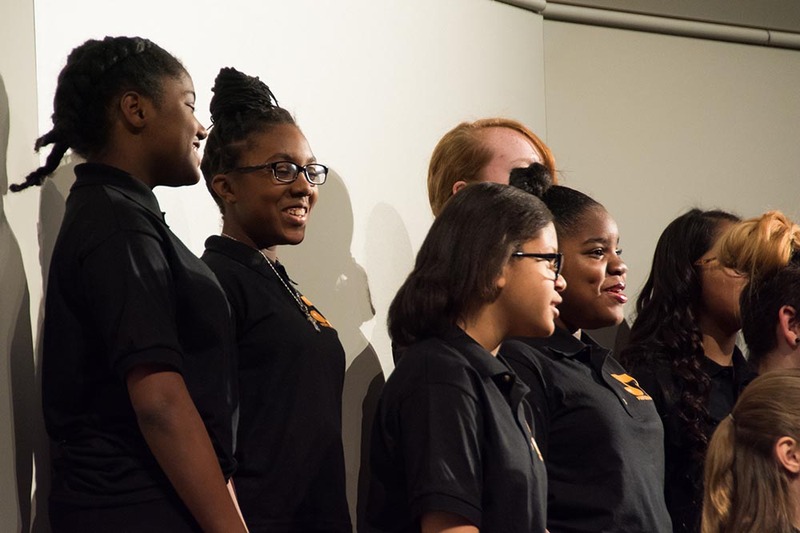 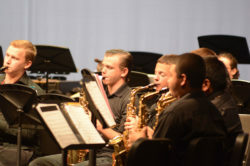 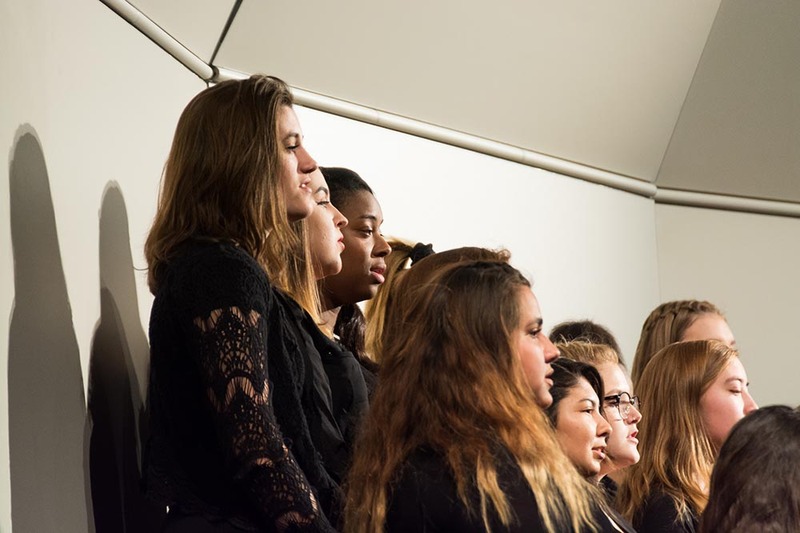 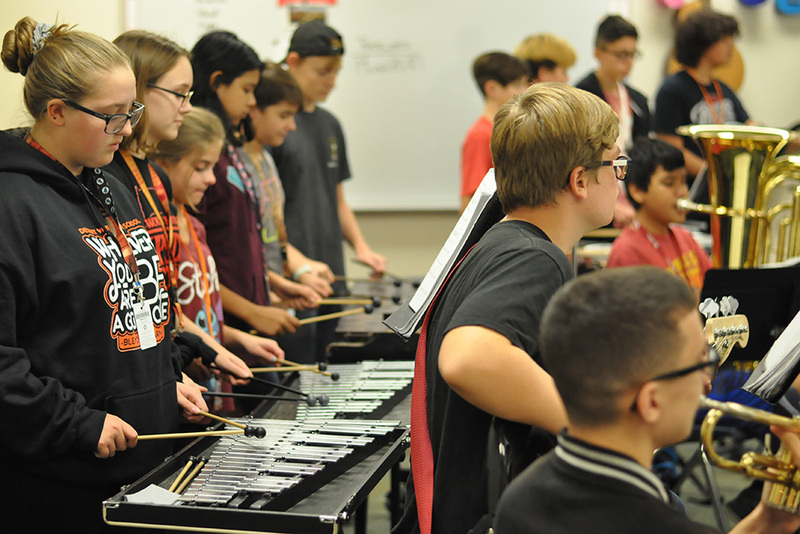 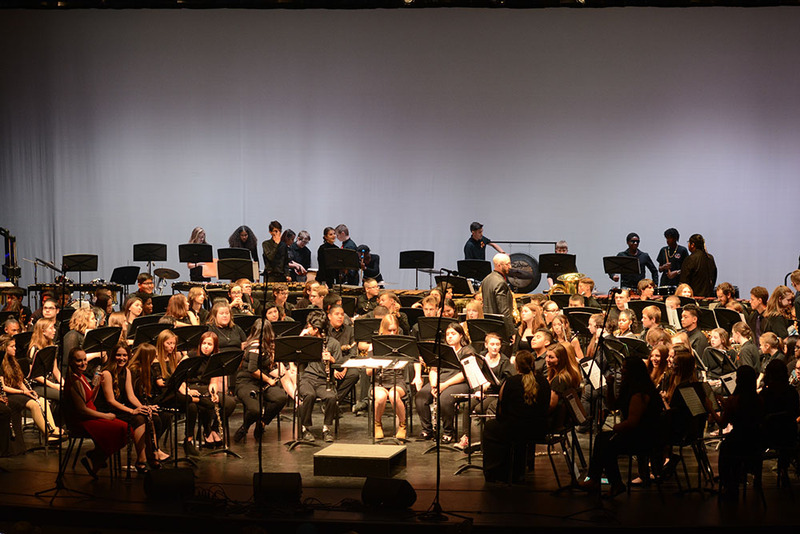 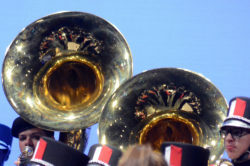 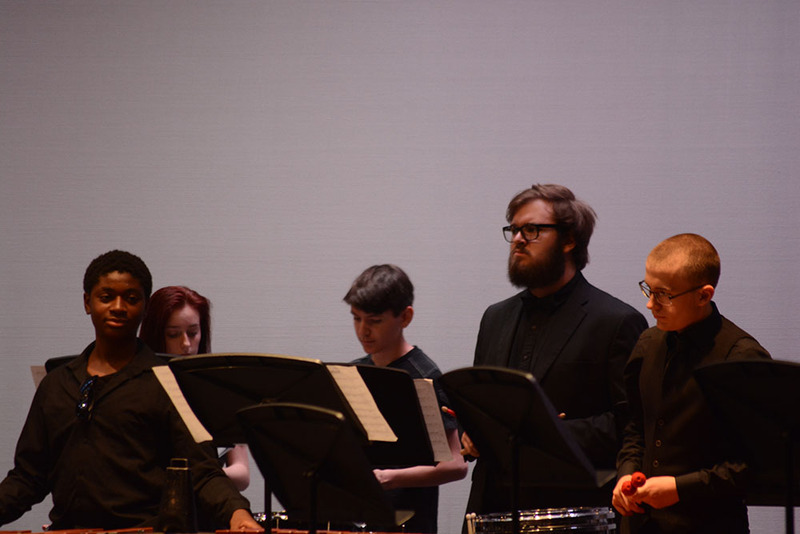 For the following year, the music department will attempt to raise $165,000, especially through the education tax credit program. 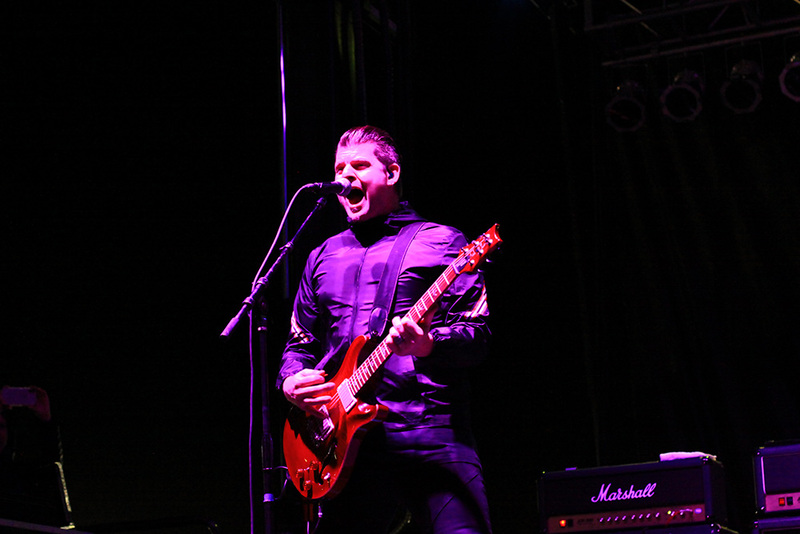 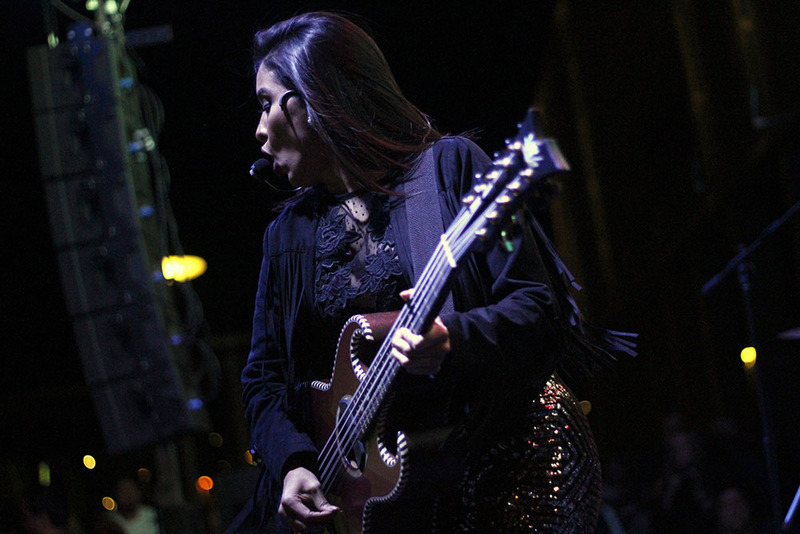 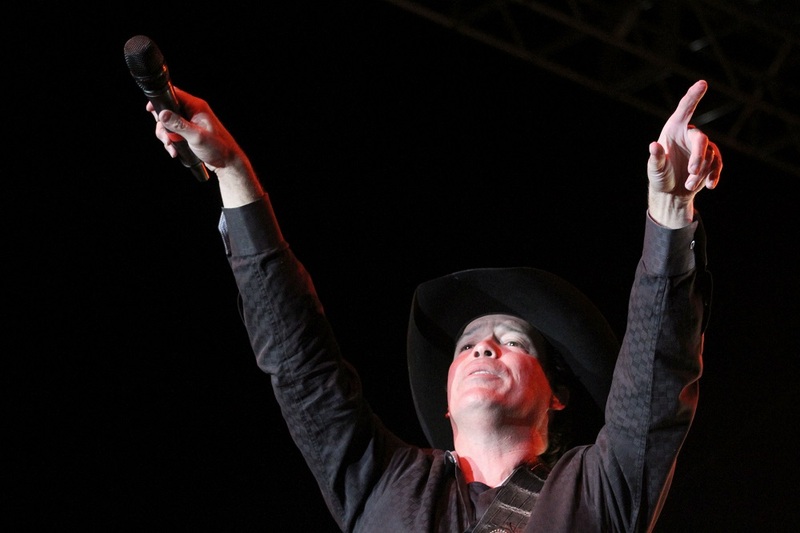 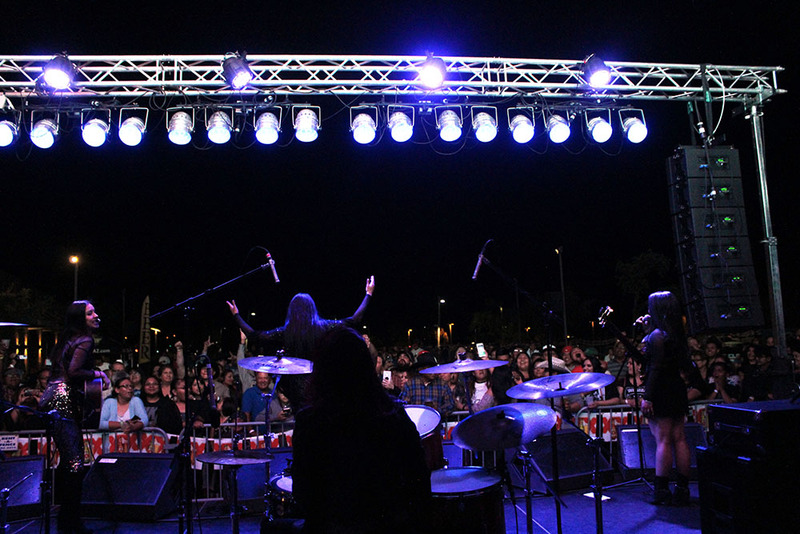 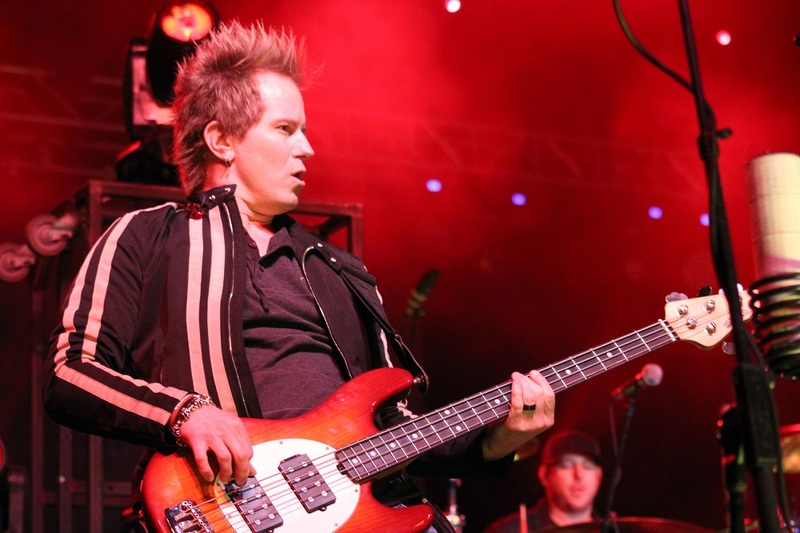 Four years after its debut, Maricopa Music Festival returns on April 7. 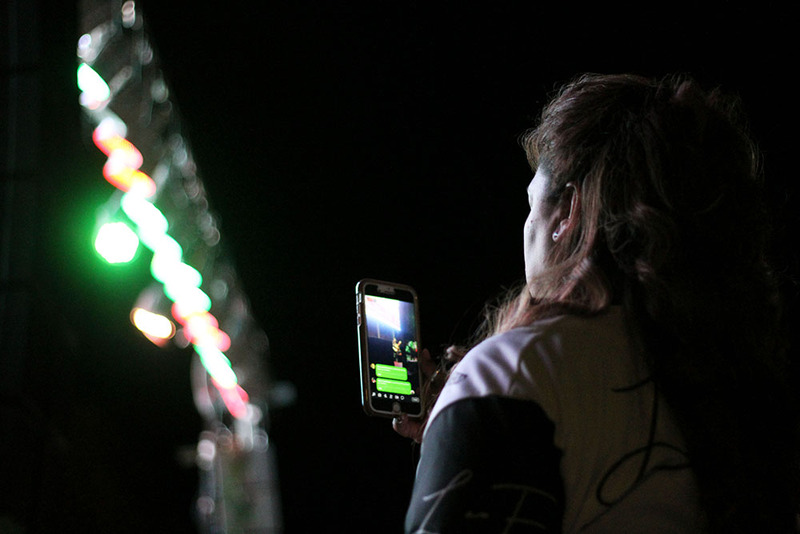 When: April 7, 1-10 p.m. The event, scheduled from 1 to 10 p.m. (and maybe beyond) at Copper Sky Regional Park, spotlights indie music, which itself stretches genres. Founder Chrystal Allen-O’Jon said more than 20 music acts are scheduled as well as other entertainment. 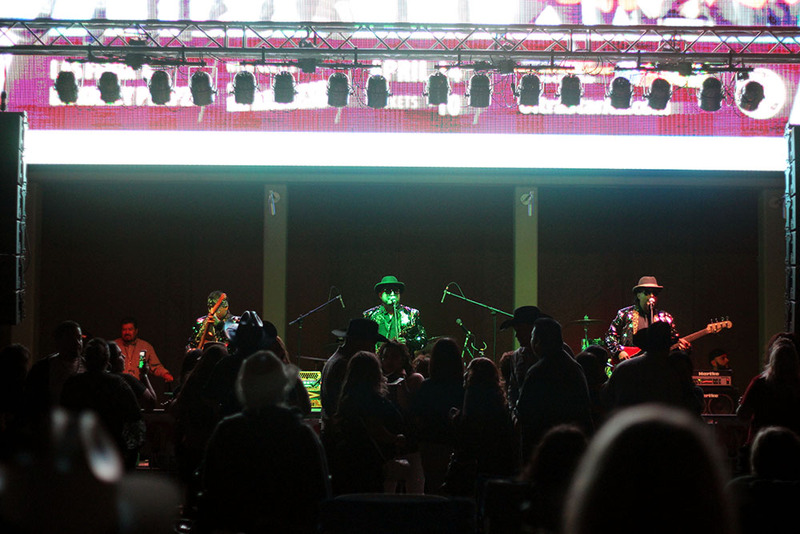 From pop and hip hop to reggae and a Jimi Hendrix tribute, performers are expected to bring the diversity to a concert organizers want to make an annual event. 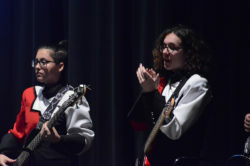 The acts will have a distinct local flavor. 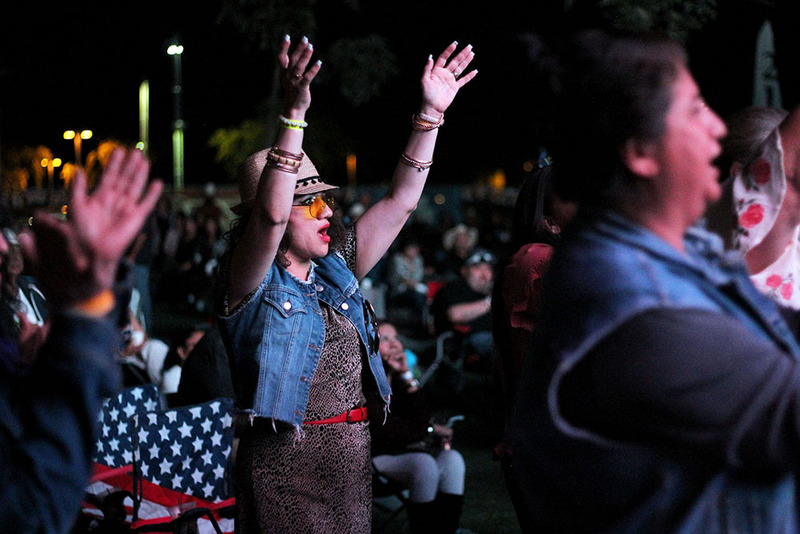 Many are from Arizona with others coming from California, Florida and even one from Sweden. Allen-O’Jon said the musicians have been vetted to ensure quality. 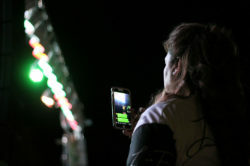 As the music is playing, there will be an art walk, science walk, a glow-in-the-dark face painting contest, festival-wear contest, food and product vendors and a beer garden. “Things will be going on all the time,” Allen-O’Jon said. 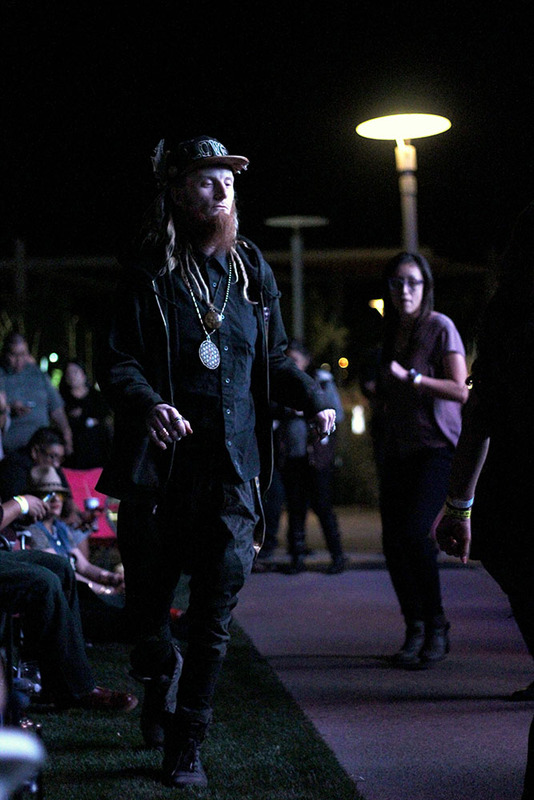 “We would like to build it to be more like Coachella,” referring to a music-and-arts festival in California. 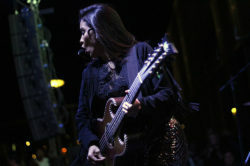 She would like to draw around 1,500 music lovers. 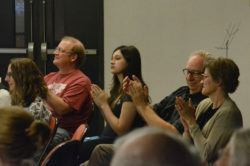 The previous event four years ago was free, with organizers and sponsors footing the substantial bill. 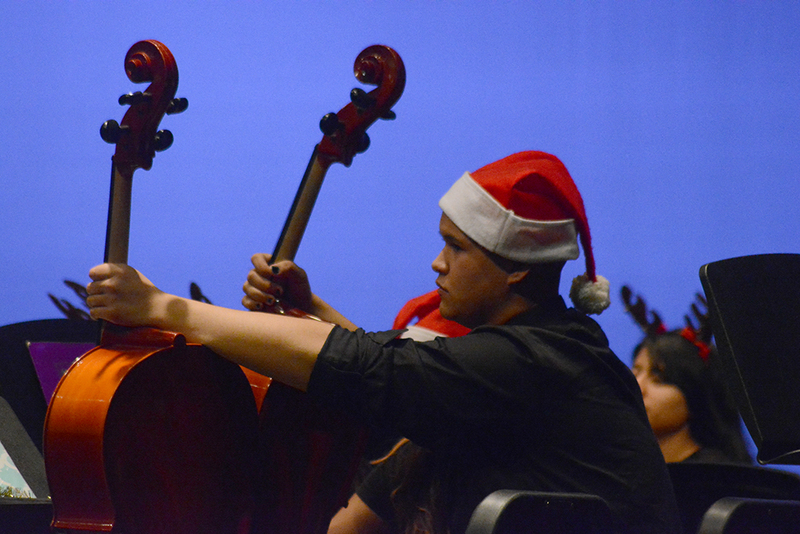 This time, there will be an admission fee. 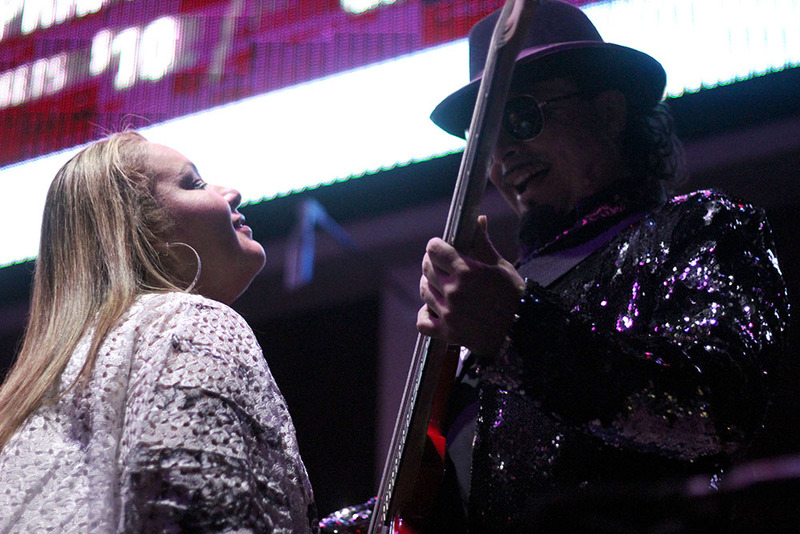 At the gate, attendees pay $20, or they can purchase in advance for $15 from EventBrite. 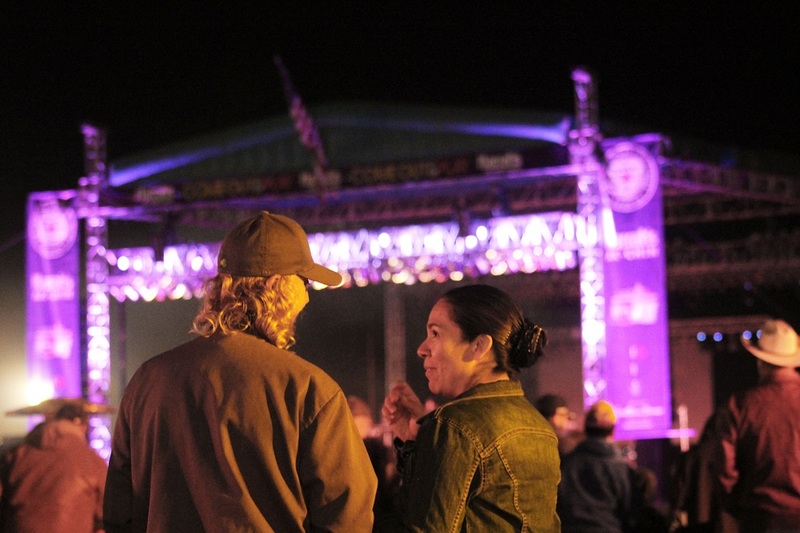 VIP tickets, which include dinner, are $45 in advance and $50 at the gate. 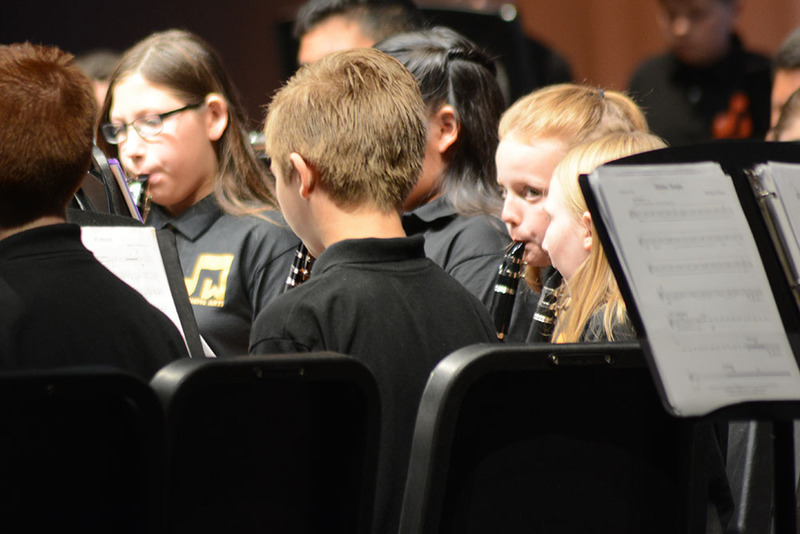 Children under 12 and military veterans get in free. 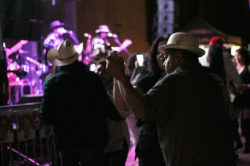 The first 20 low-riders who register their cars get two free tickets. Charging stations will be available for electronic devices. Maricopa Police Department and private security are scheduled to be on site to maintain a safe atmosphere, Allen-O’Jon said. 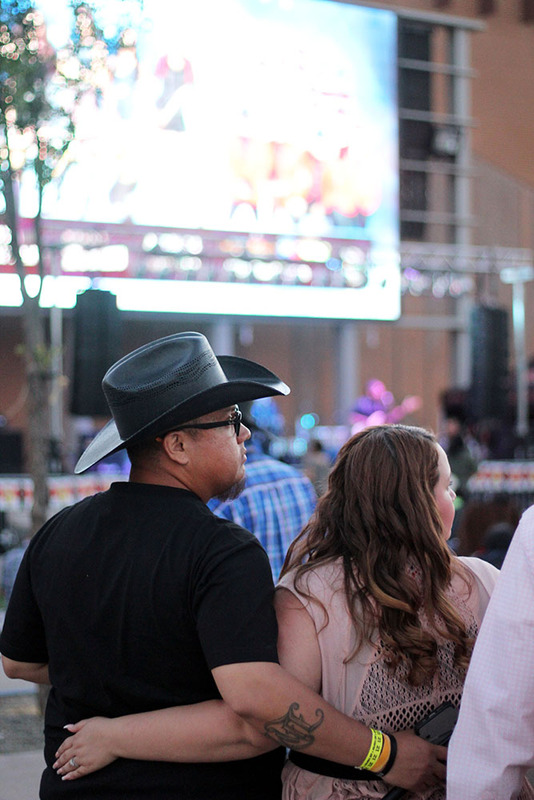 For those wishing to indulge in True Grit Tavern’s beer garden, organizers have a Lyft code for a safe ride home. 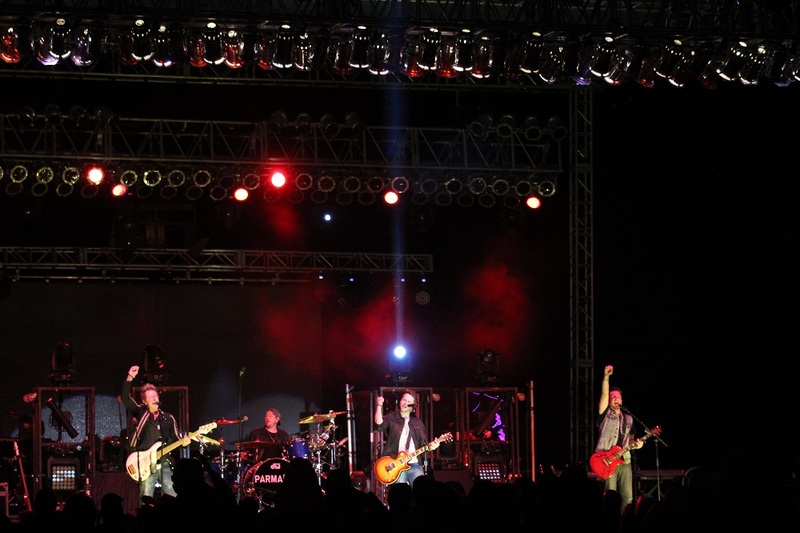 They have also partnered with a hotel for discount prices. 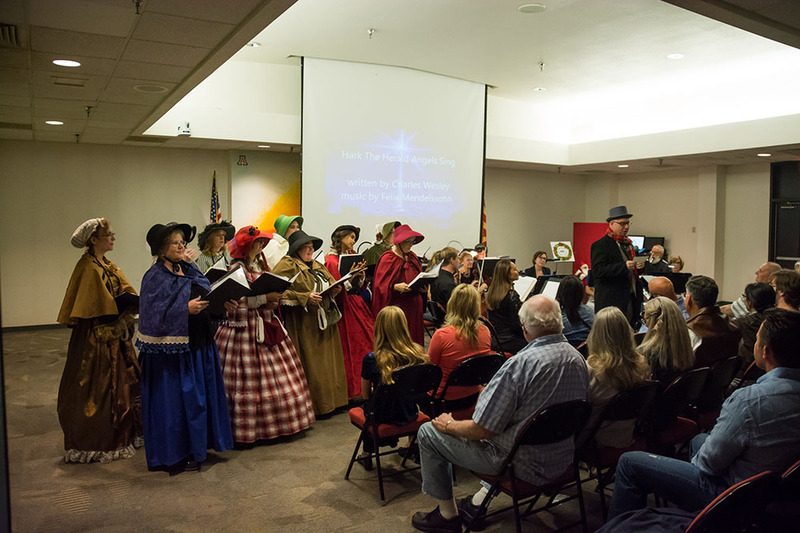 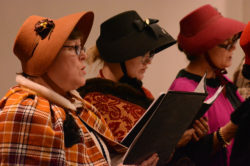 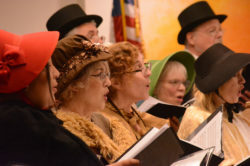 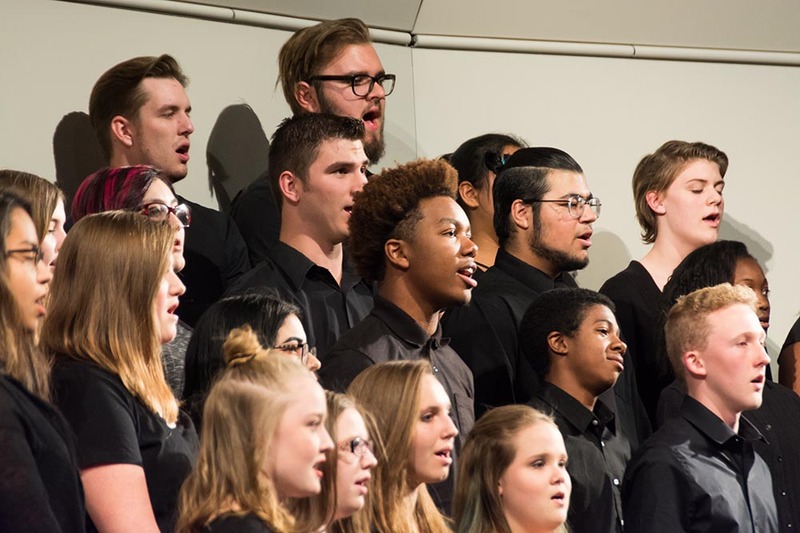 A “Grand Holiday Concert” Dec. 9 was an annual musical event with music, singing and dancing as Maricopa Agricultural Center played host to Maricopa Music Circle, Maricopa Chorus and Desert Sun Performing Arts. 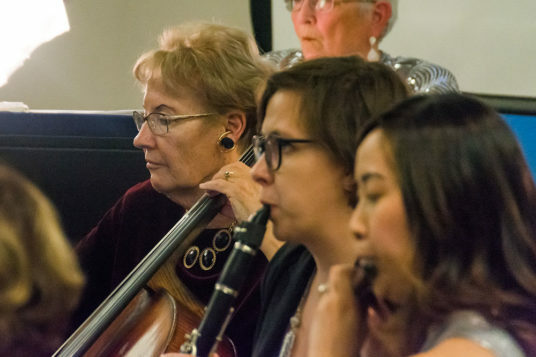 Maricopa Music Circle chamber orchestra will perform an evening of music from around the world March 24. Titled “Springtime Serenade,” the full-length program welcomes spring with a program of works fully expressing MMC’s tagline “Orchestra of Soloists” with music for the full ensemble plus individual and sectional solos. 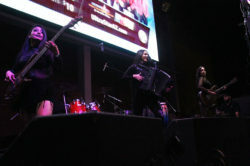 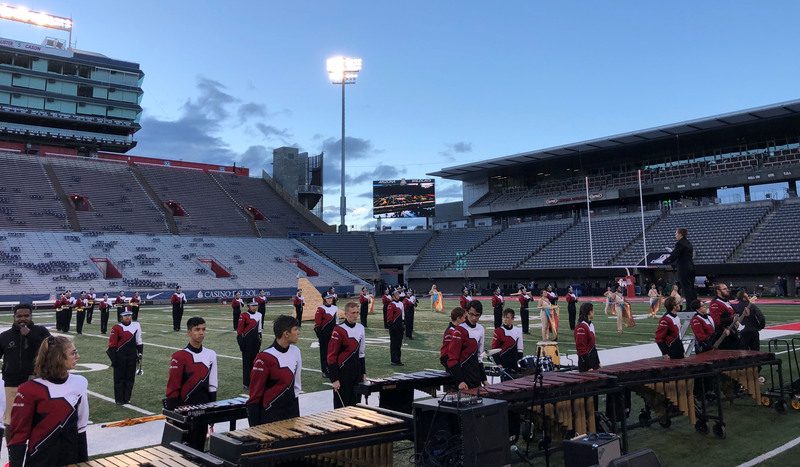 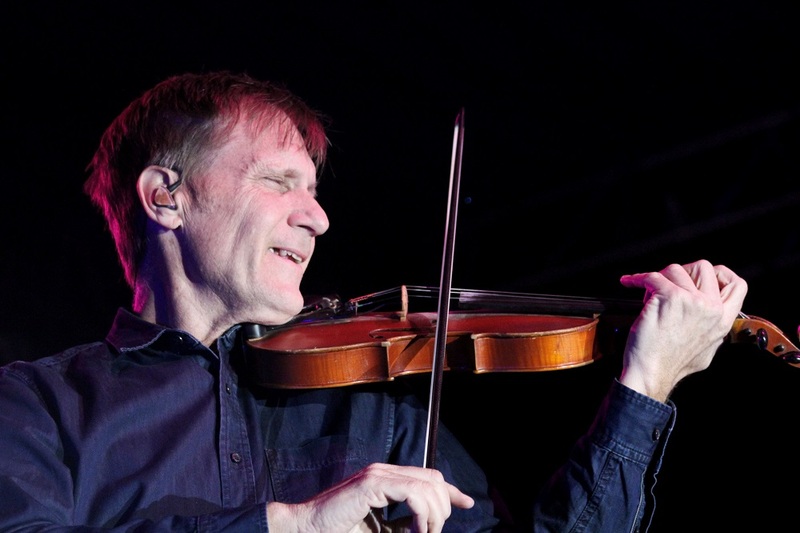 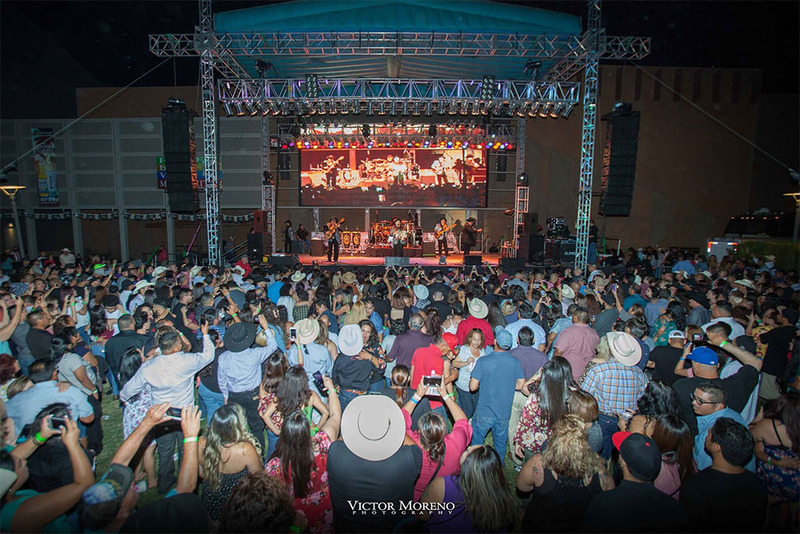 In line with the music’s wide-ranging, adventurous spirit is the concert’s location at a non-traditional performance site, the University of Arizona’s Maricopa Agricultural Center. “Springtime Serenade” explores the wealth of musical riches from four continents and across four centuries in an evening of appealing and inventive music, balancing toe-tapping rhythms and the spirit of exuberance with introspective and peaceful works. 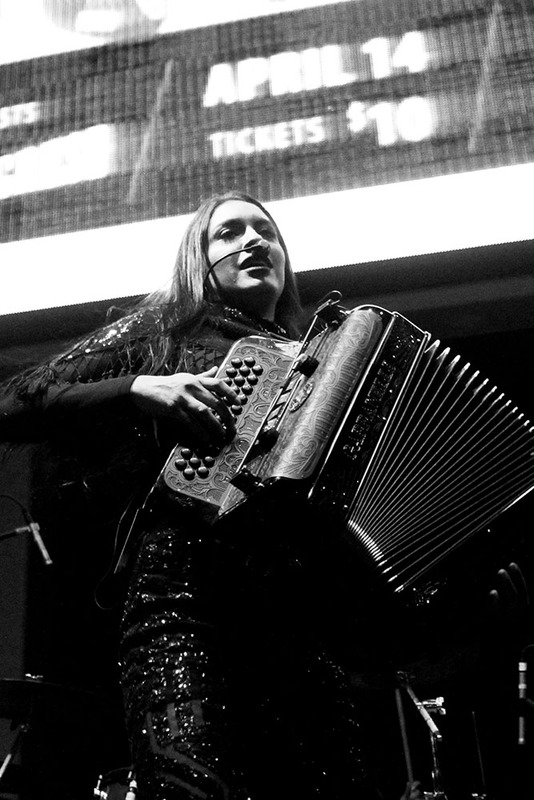 From North and South America come the infectious rhythms of Joplin’s ragtime and Darktown Strutter’s Ball, Piazzolla’s tangos, and Barroso’s Aquarela do Brasil. 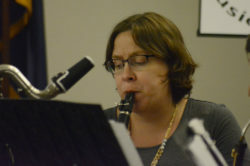 From Asia flow haunting melodies for solo flute. 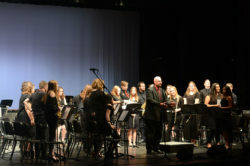 And from across Europe are music by Mozart and Beethoven, Grieg’s Two Elegiac Melodies, Mendelssohn’s Scherzo from “A Midsummer Night’s Dream,” Debussy’s Rêverie and solo viola Beau Soir, and Bizet’s richly depicted orchestral duo from the opera “The Pearlfishers” – “sung” here as a duo for trombone and euphonium. 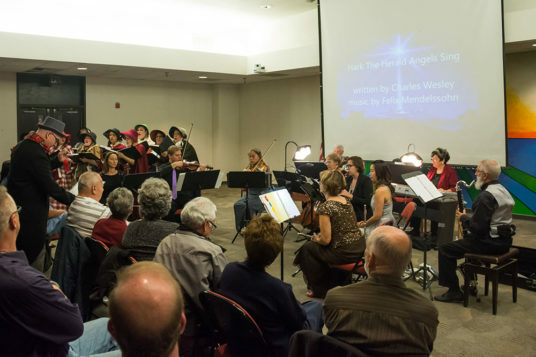 Add to these spirituals, music from film and stage and more, written by inspired composers. 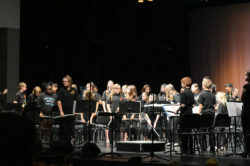 “Springtime Serenade” begins at 7 p.m. at the conference center of University of Arizona Maricopa Agricultural Center. 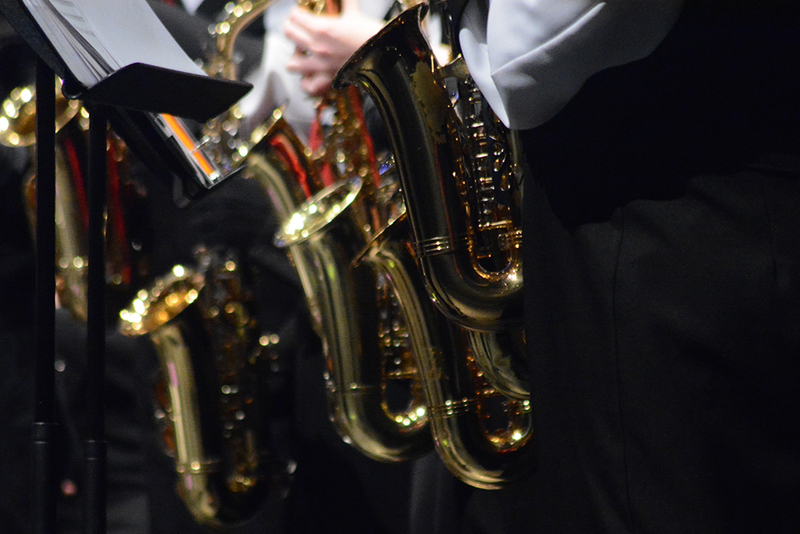 The evening will conclude with light refreshments for the audience and performers, offering a perfect chance to mingle with the musicians.